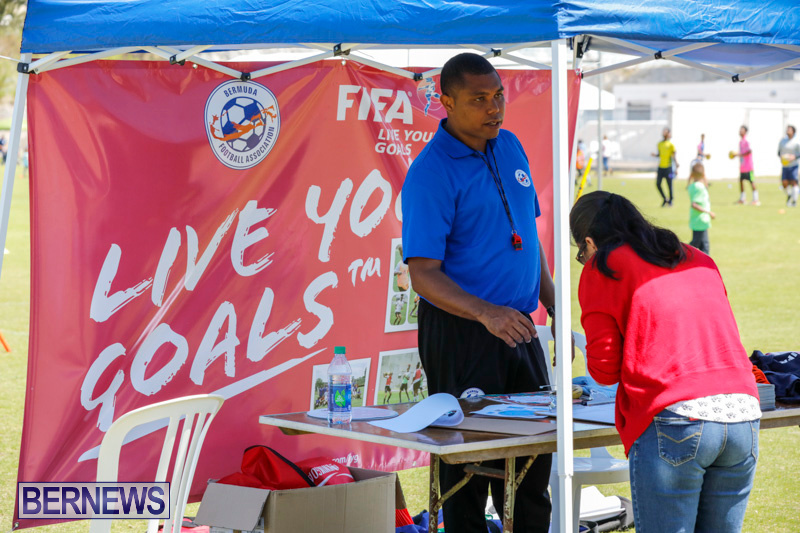 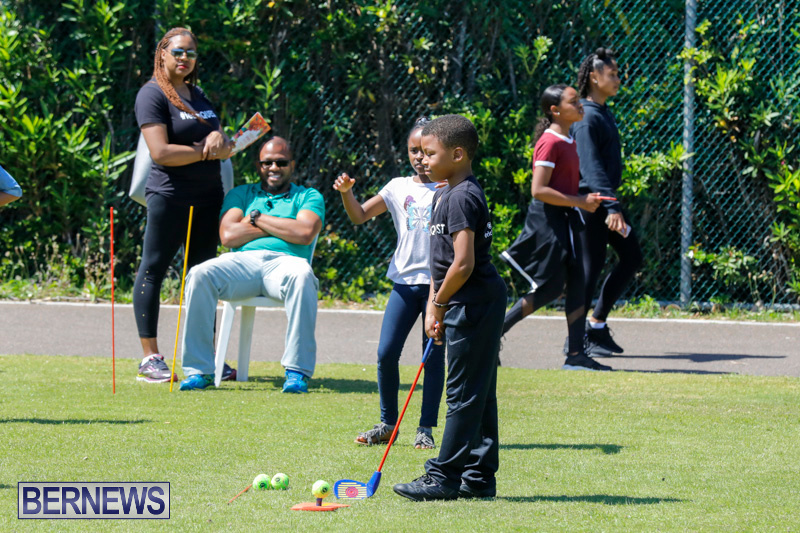 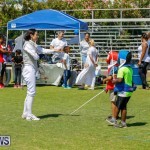 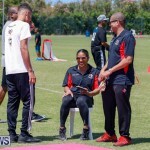 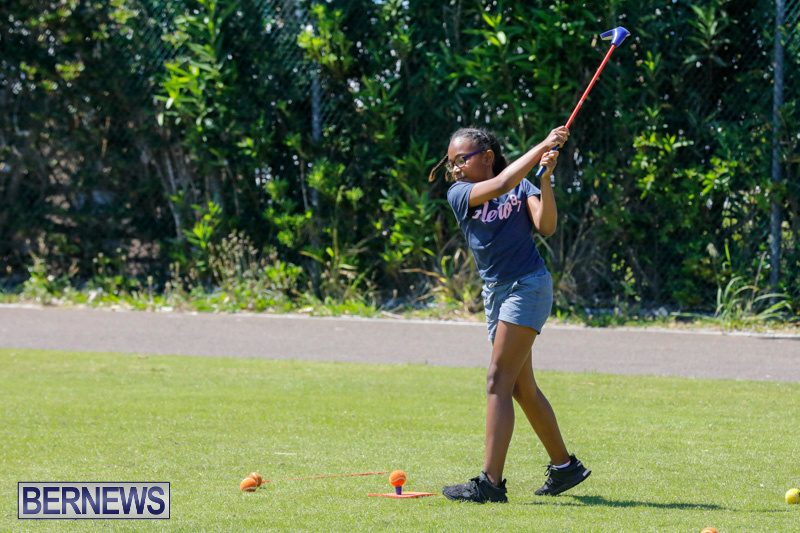 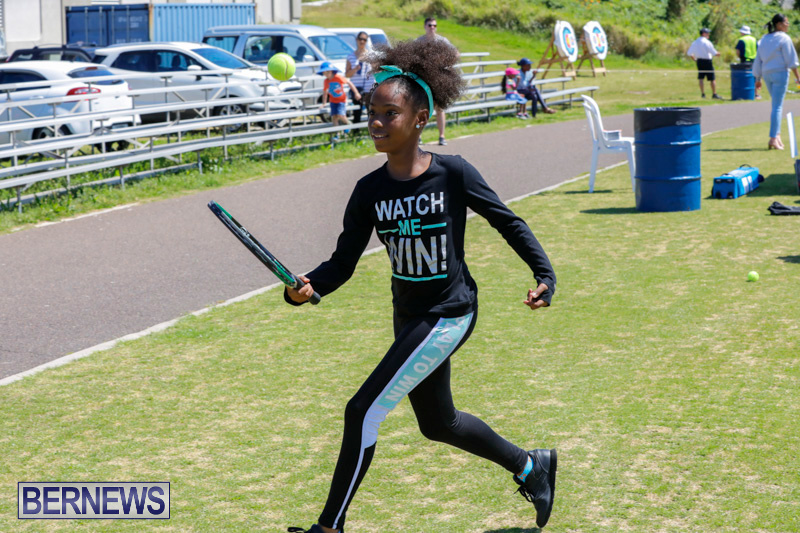 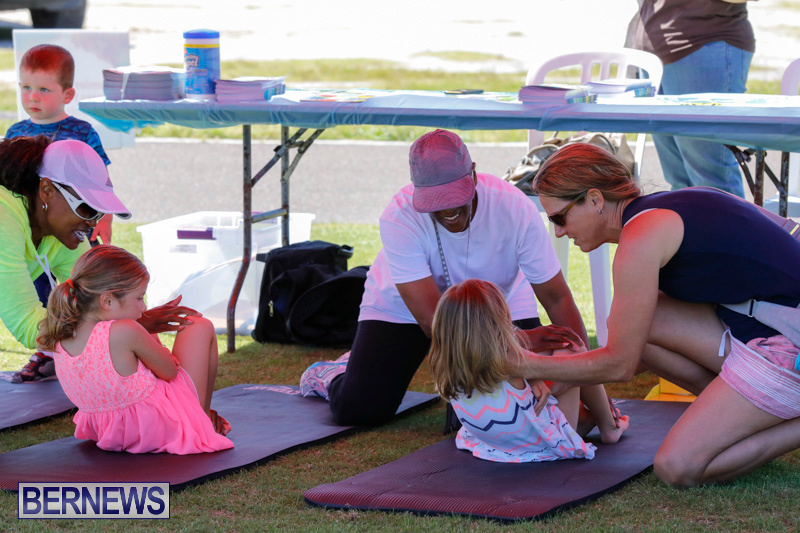 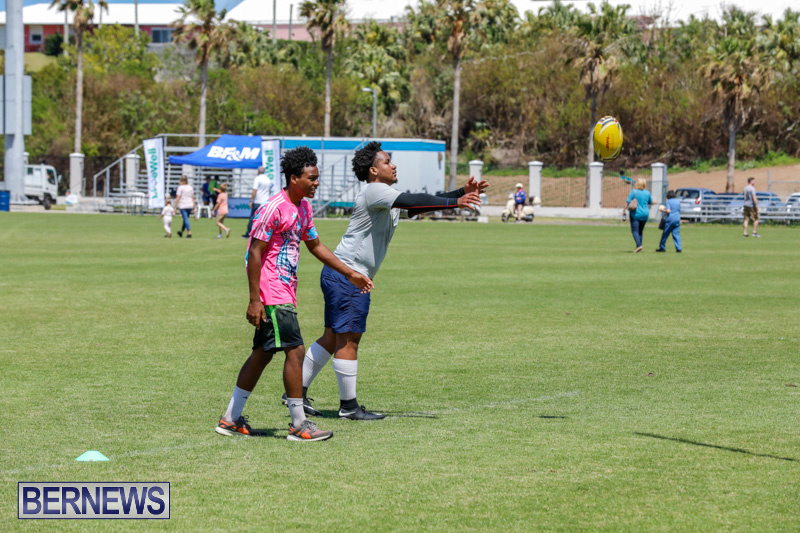 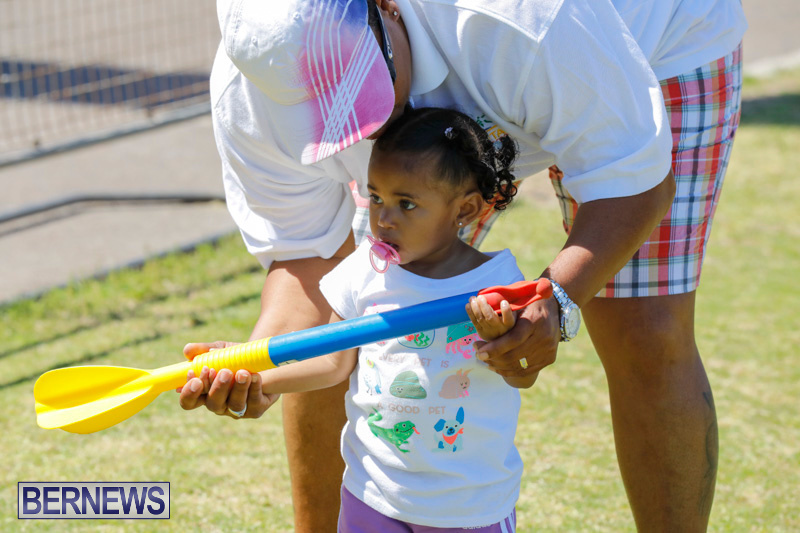 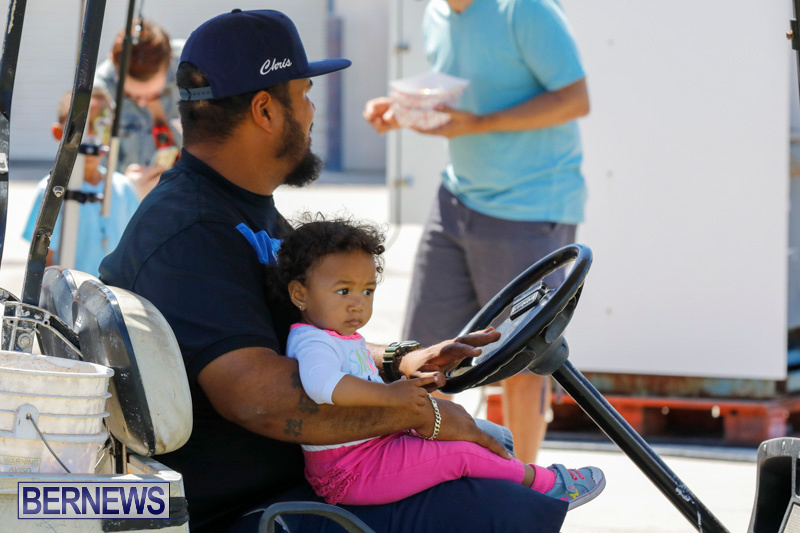 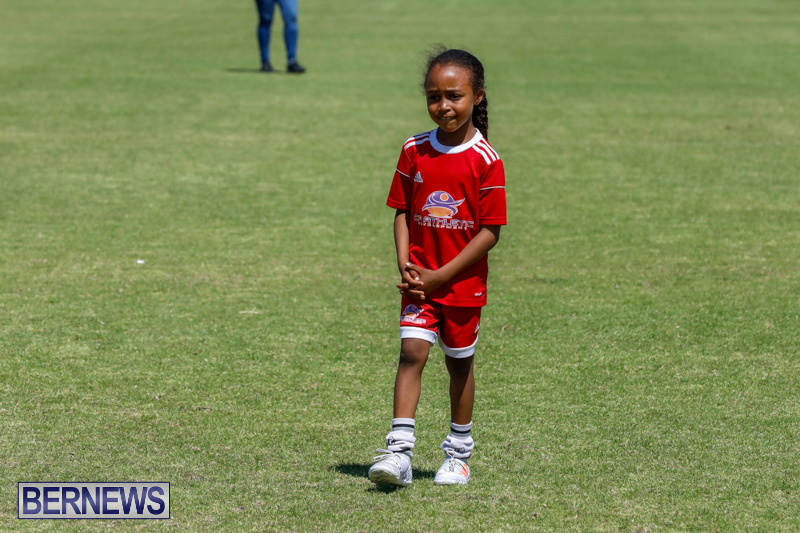 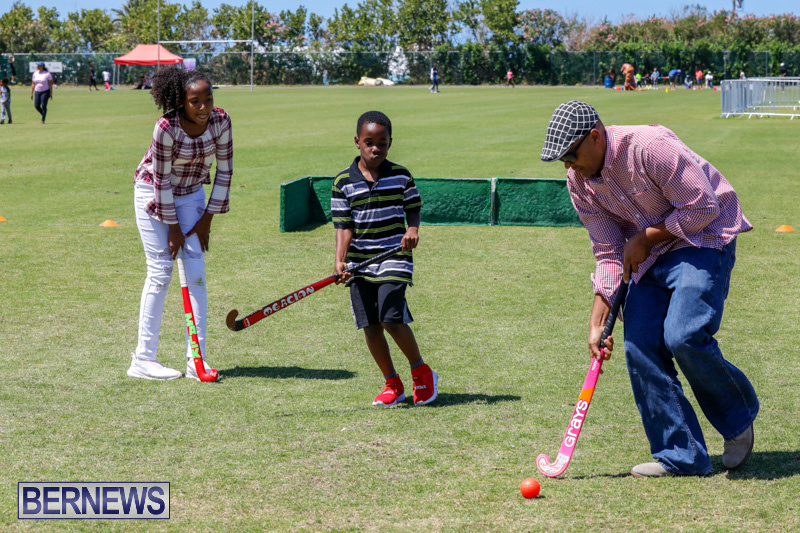 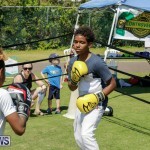 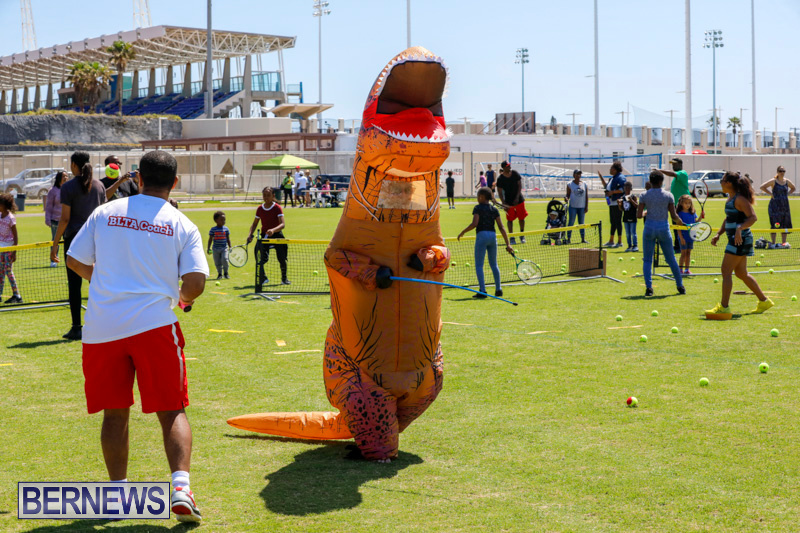 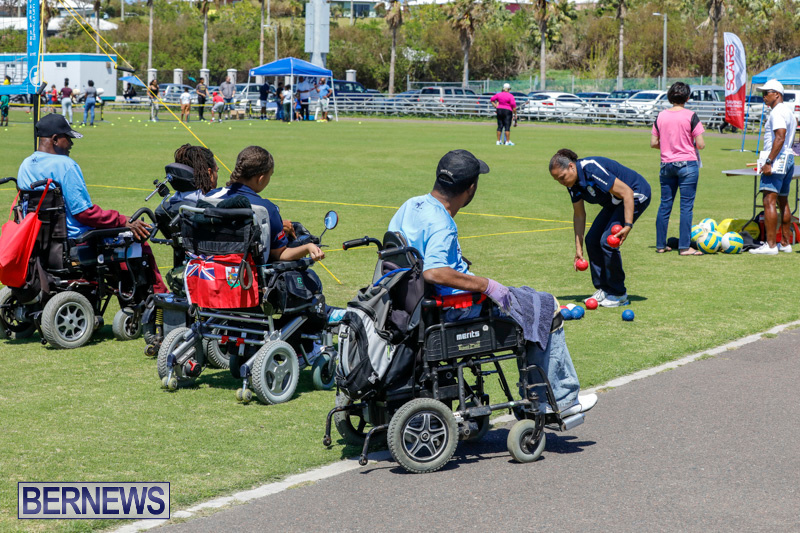 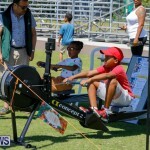 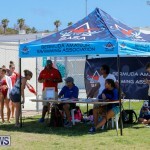 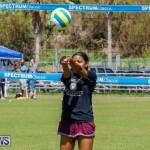 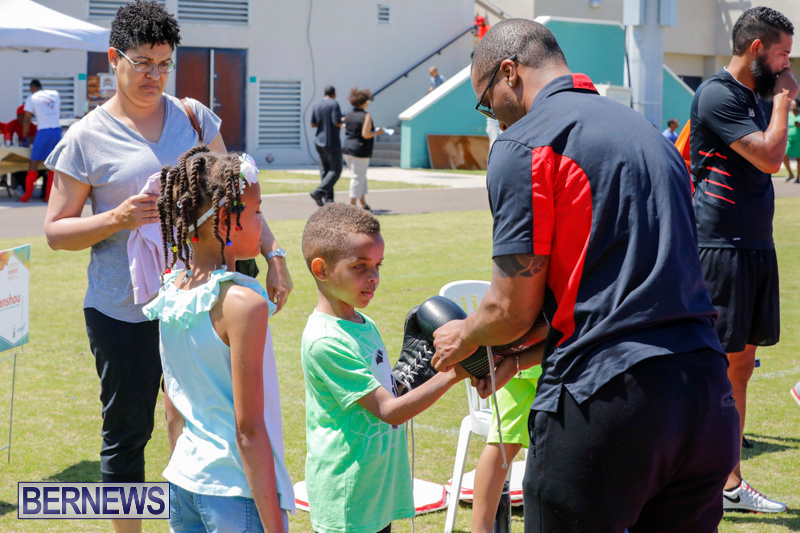 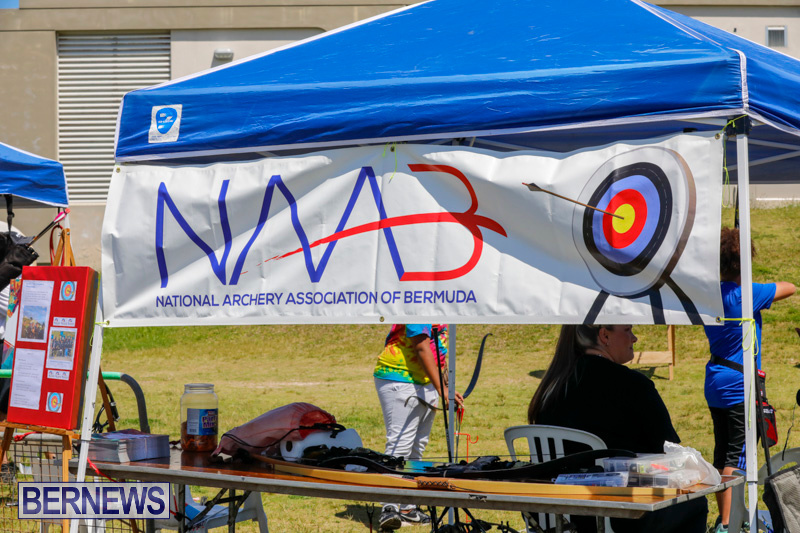 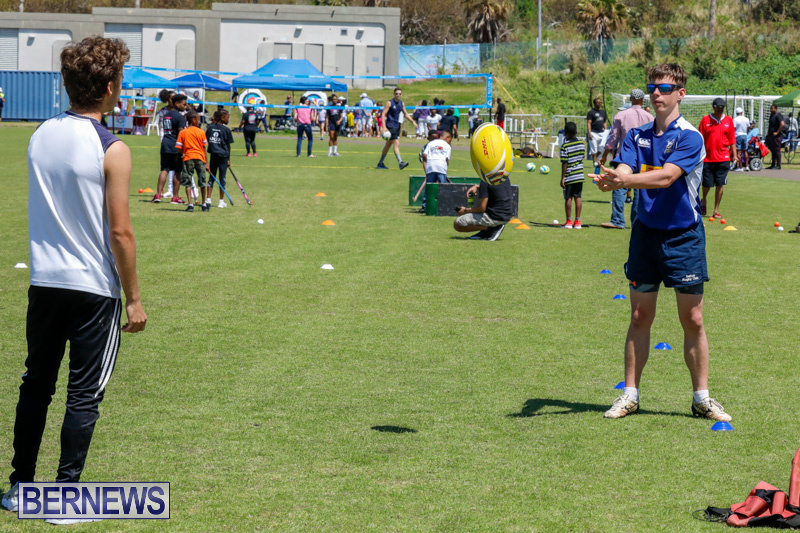 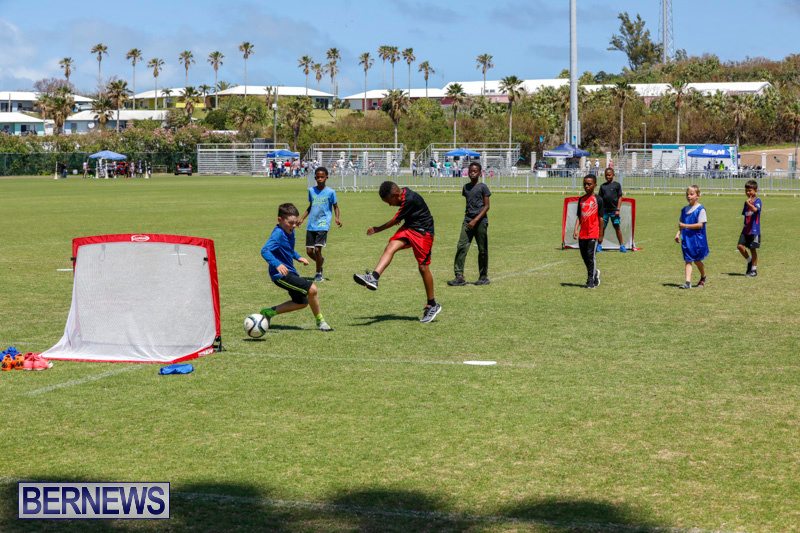 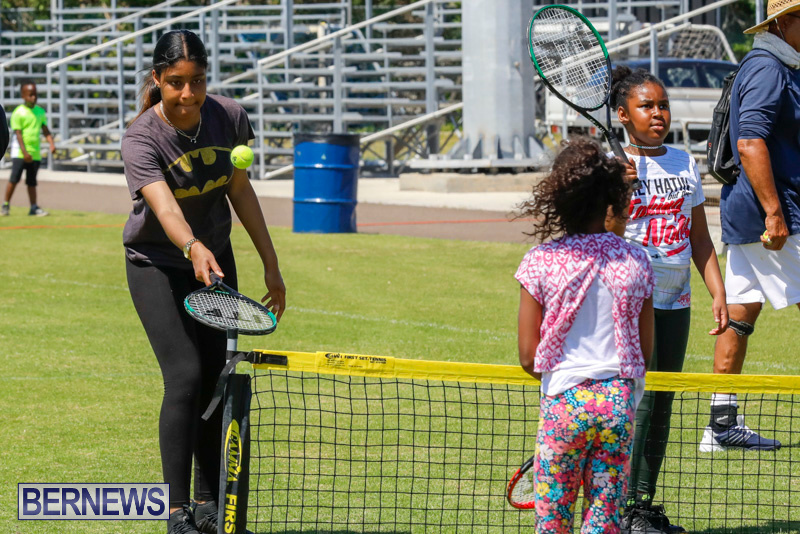 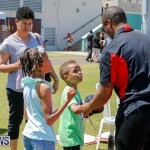 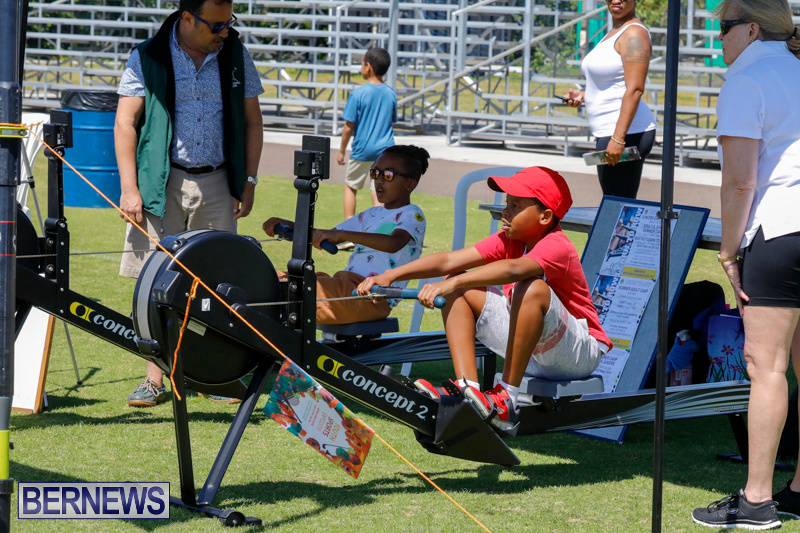 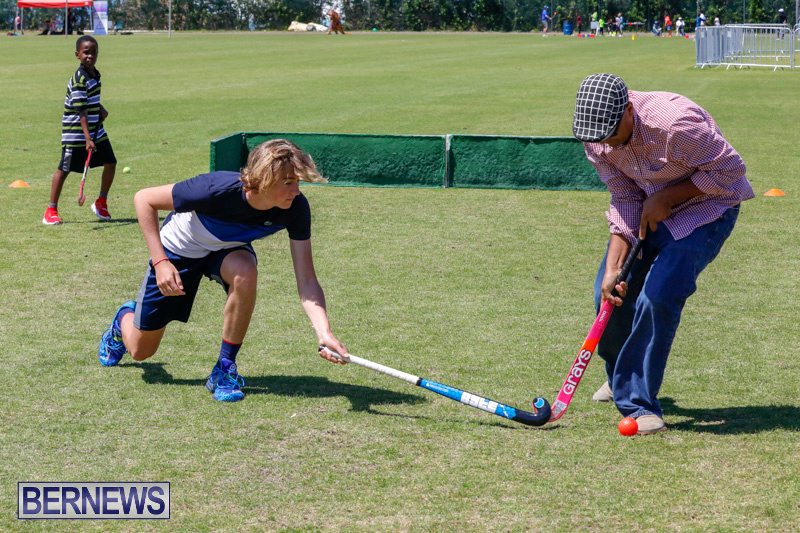 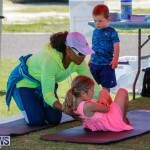 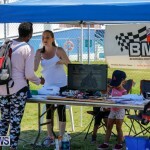 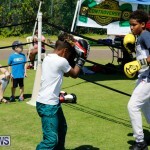 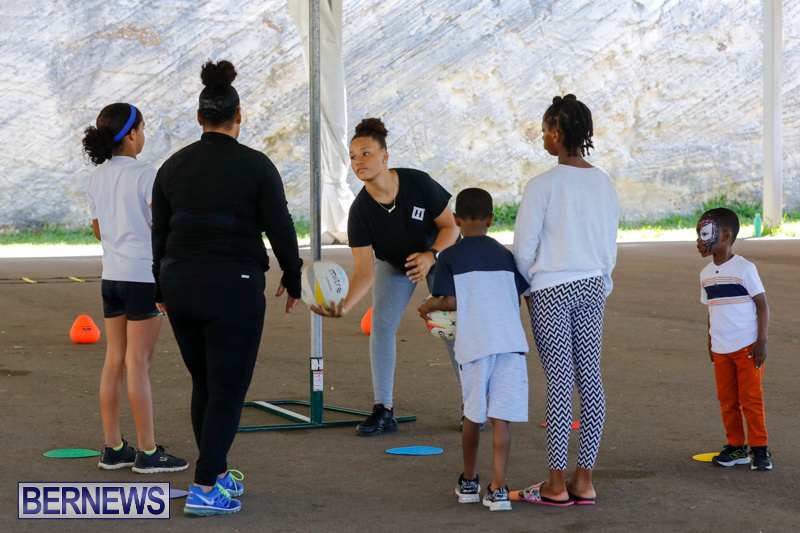 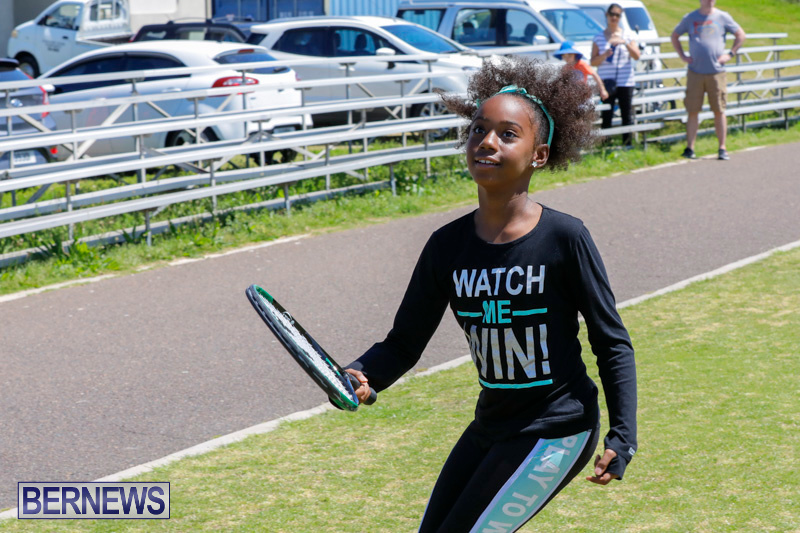 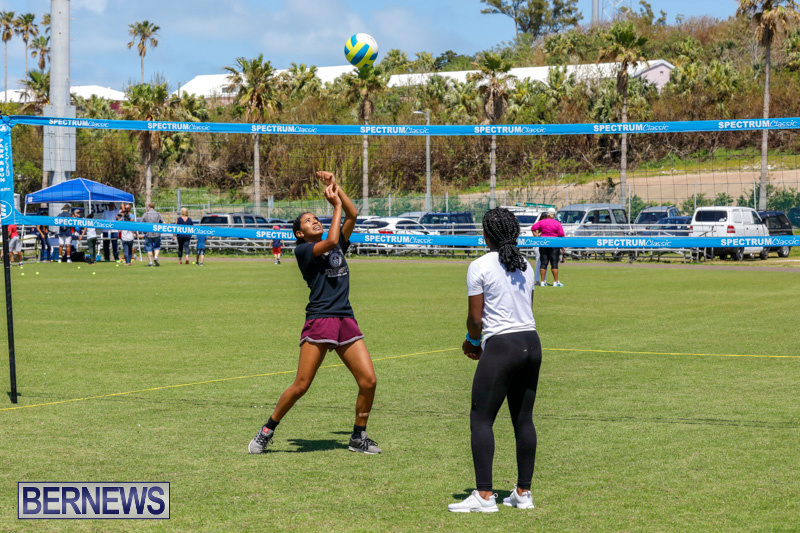 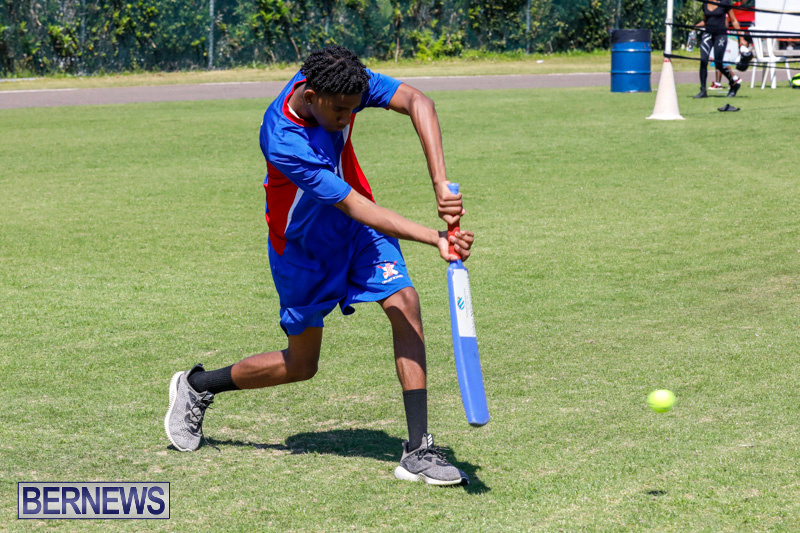 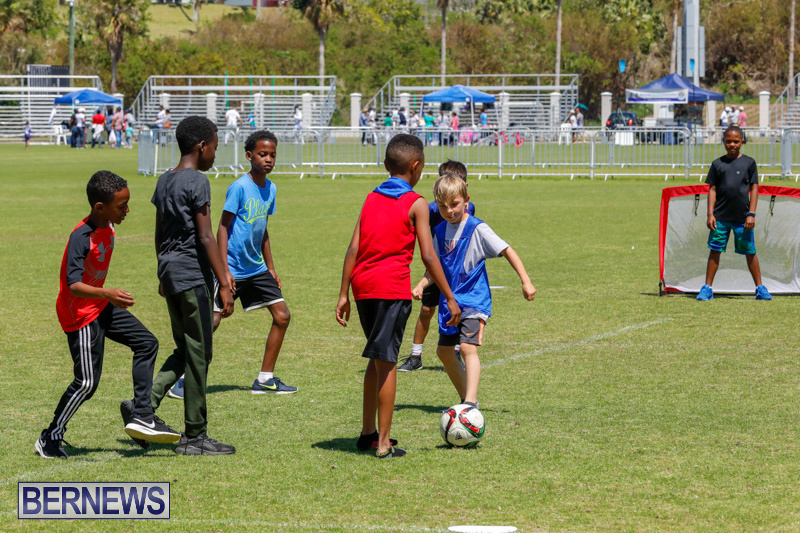 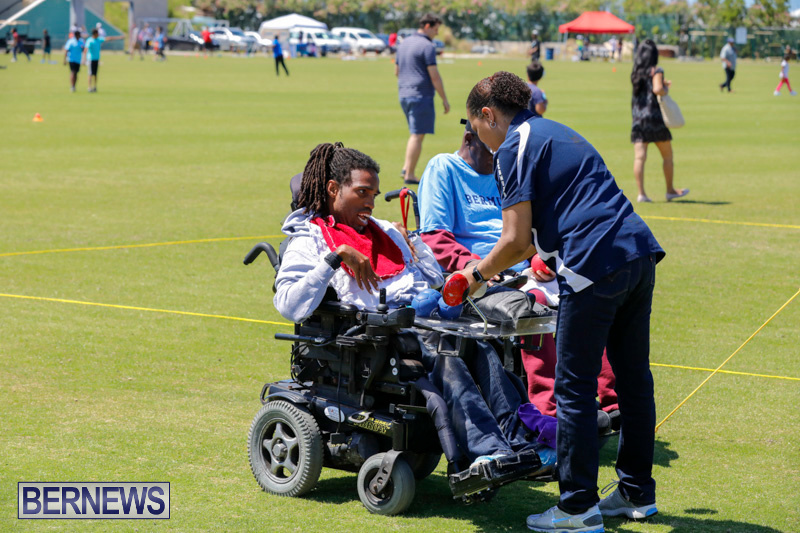 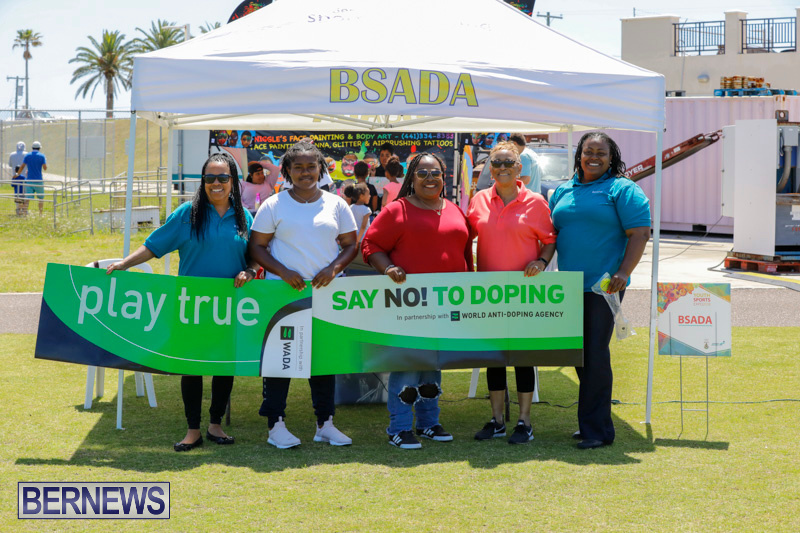 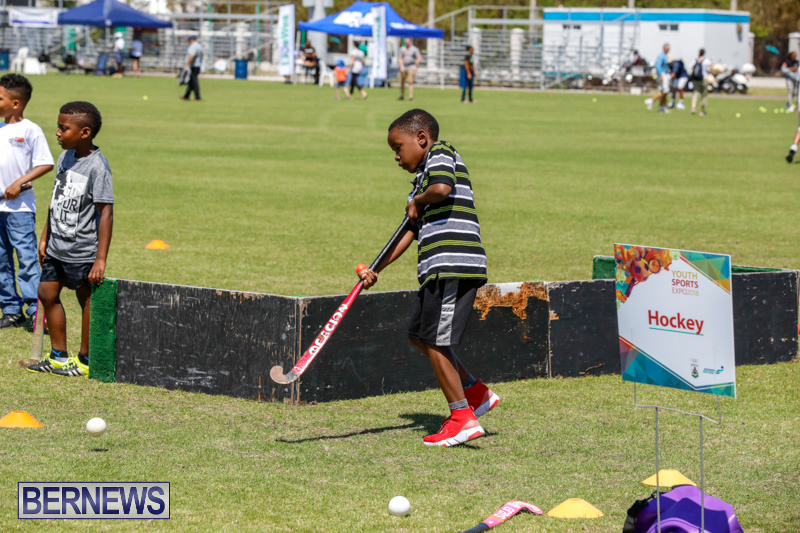 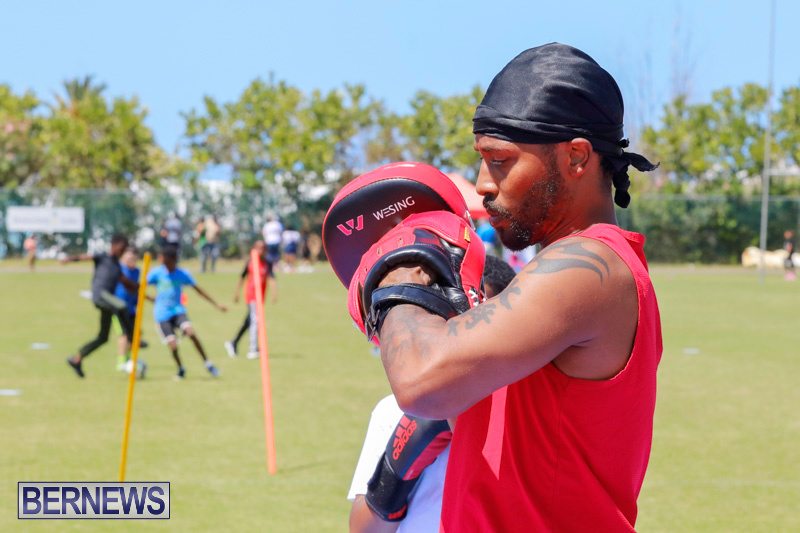 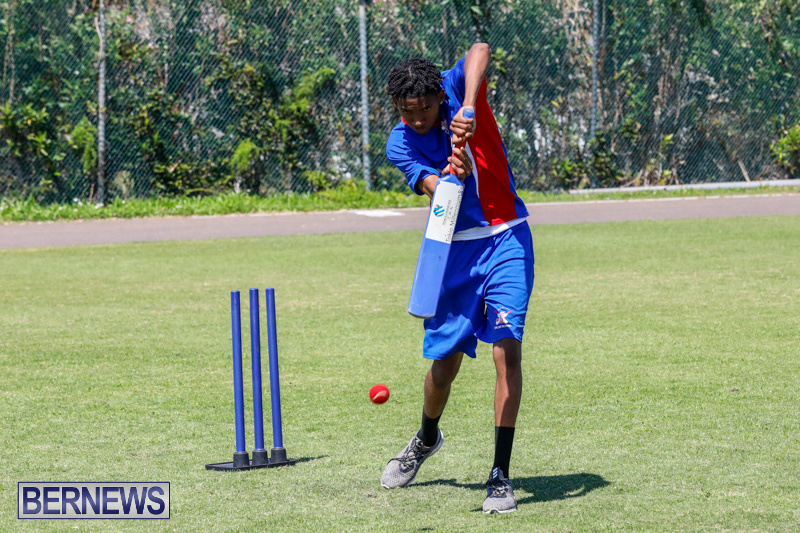 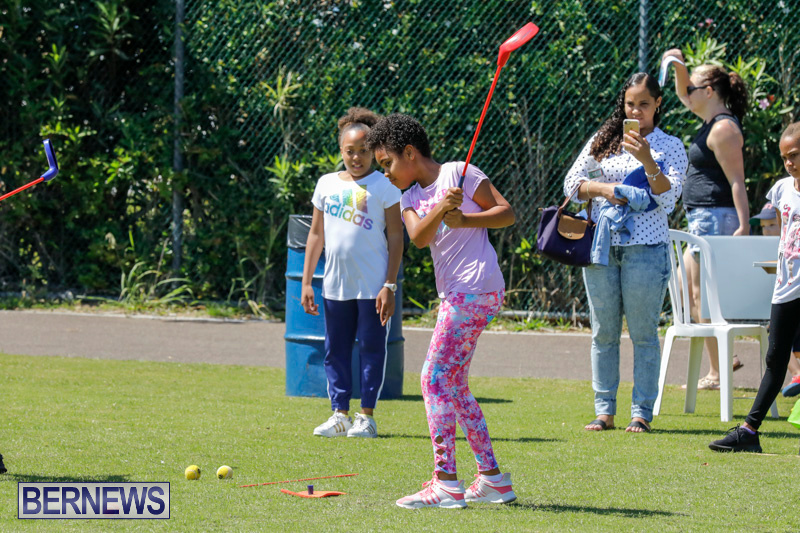 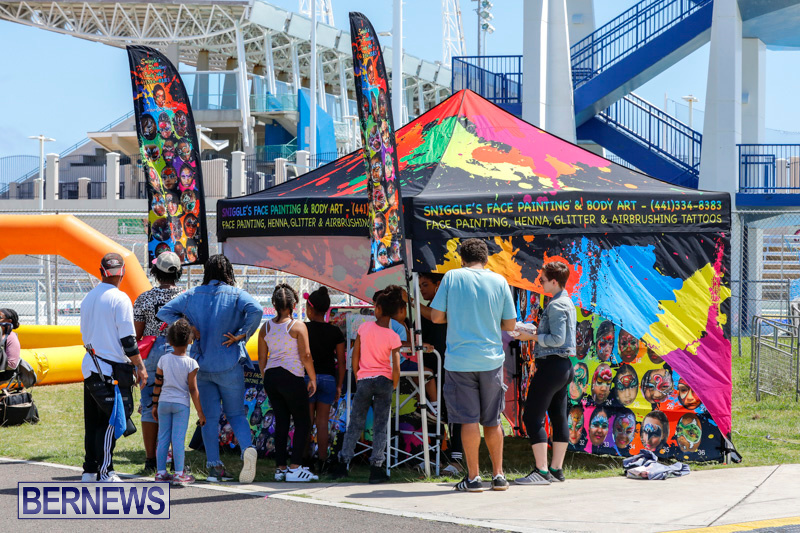 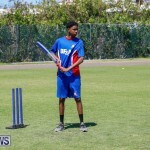 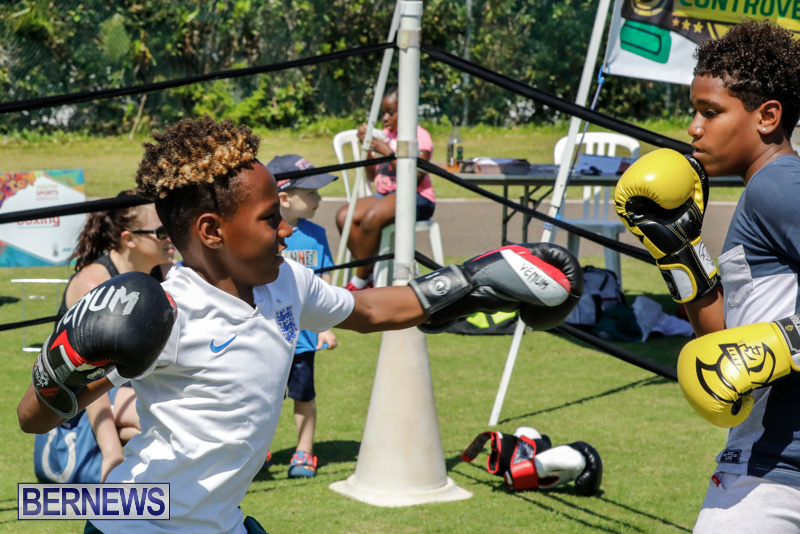 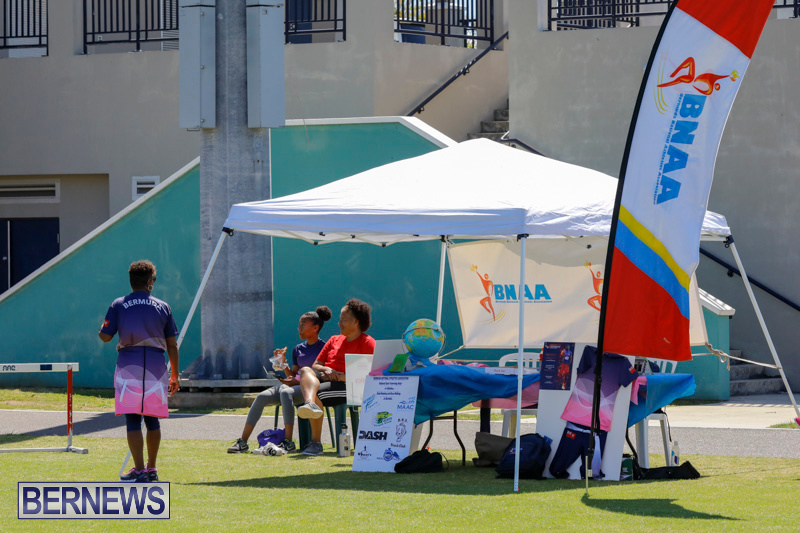 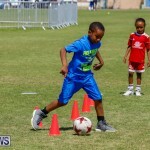 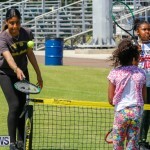 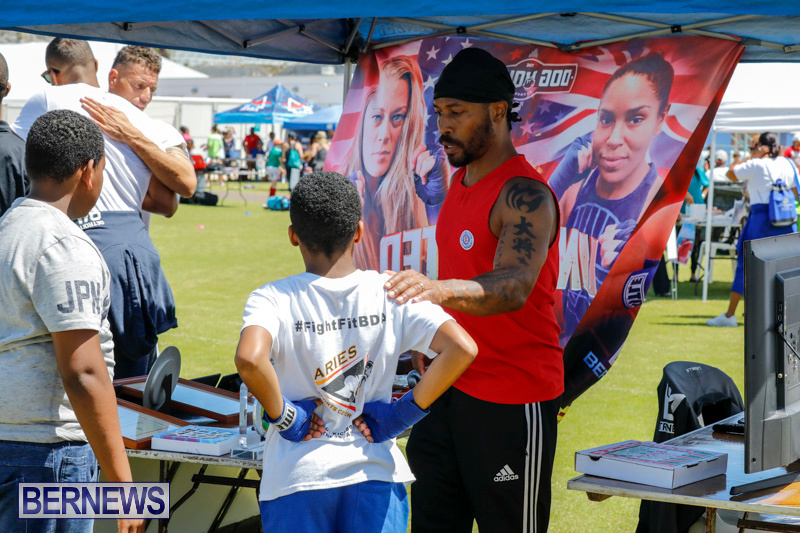 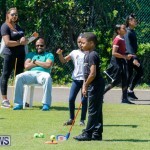 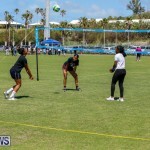 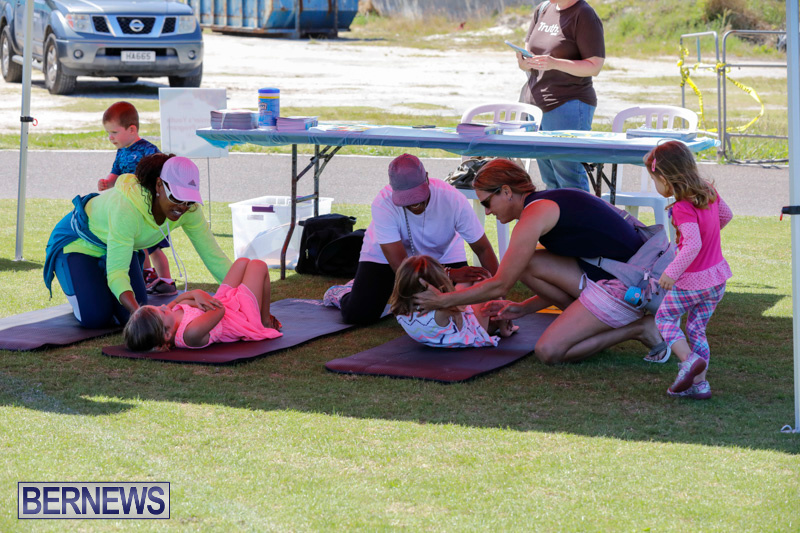 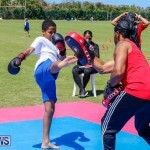 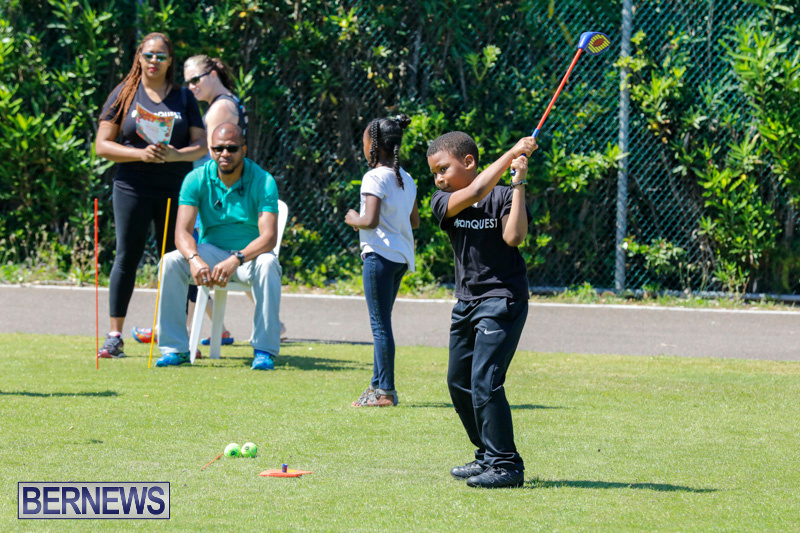 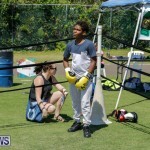 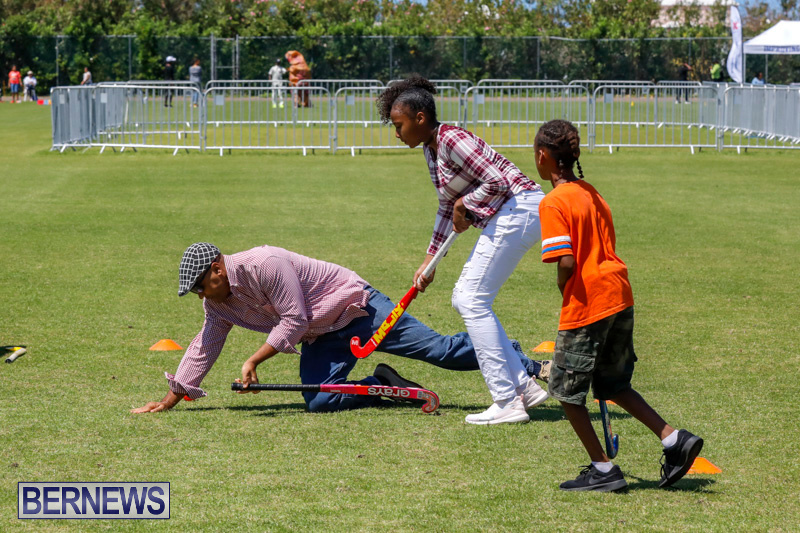 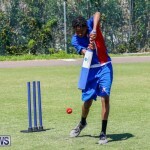 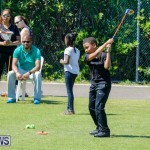 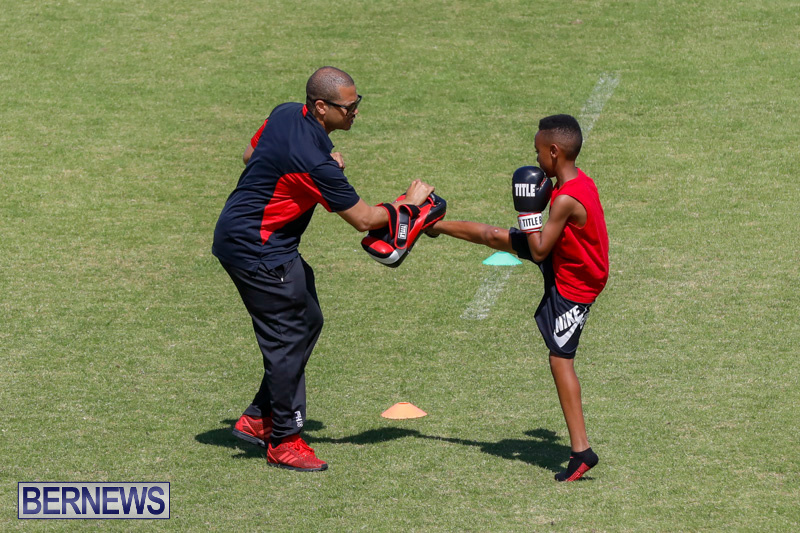 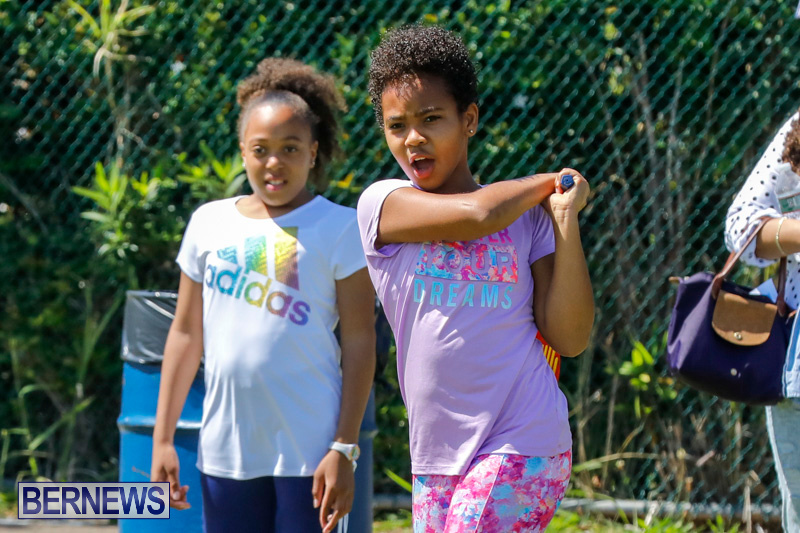 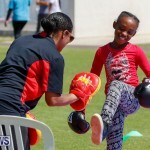 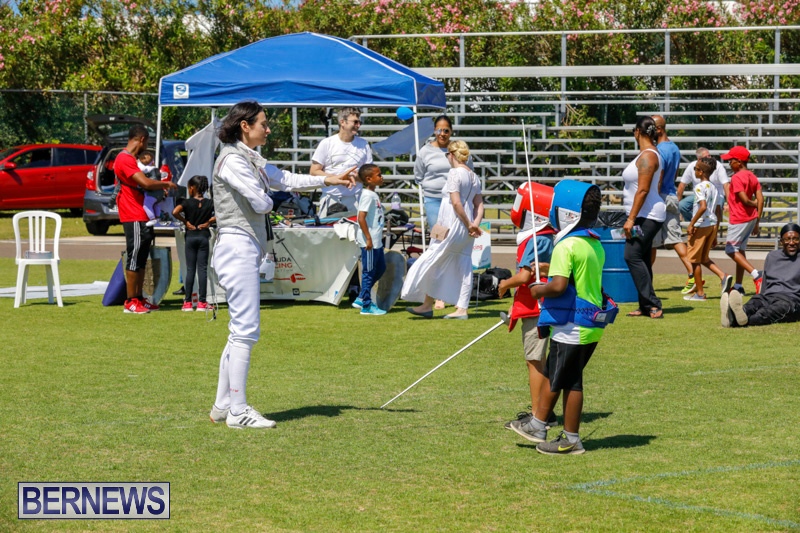 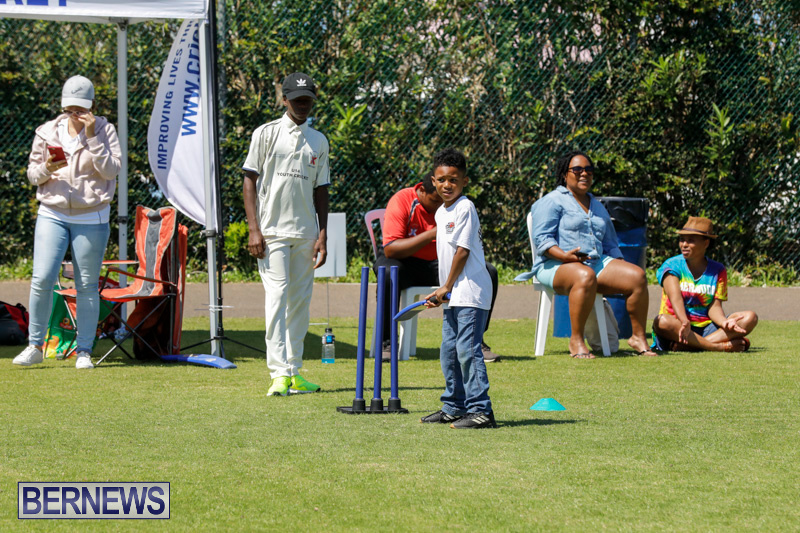 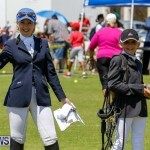 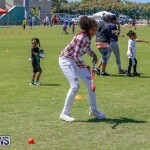 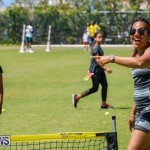 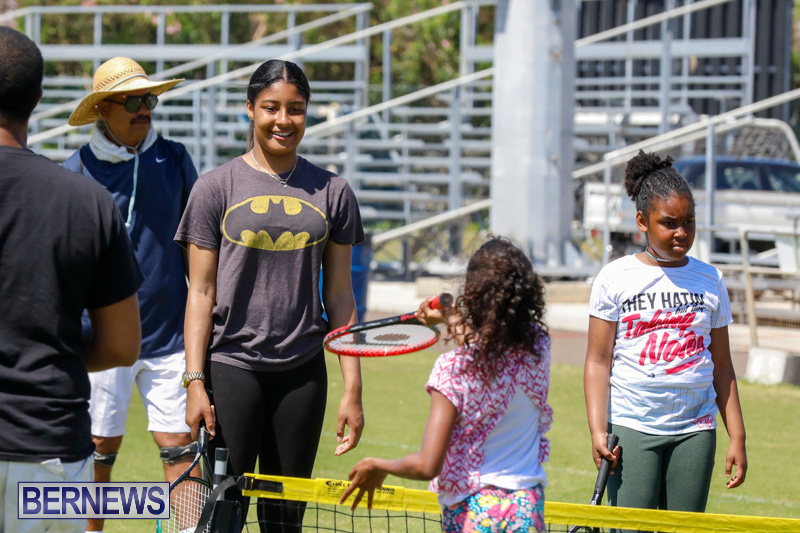 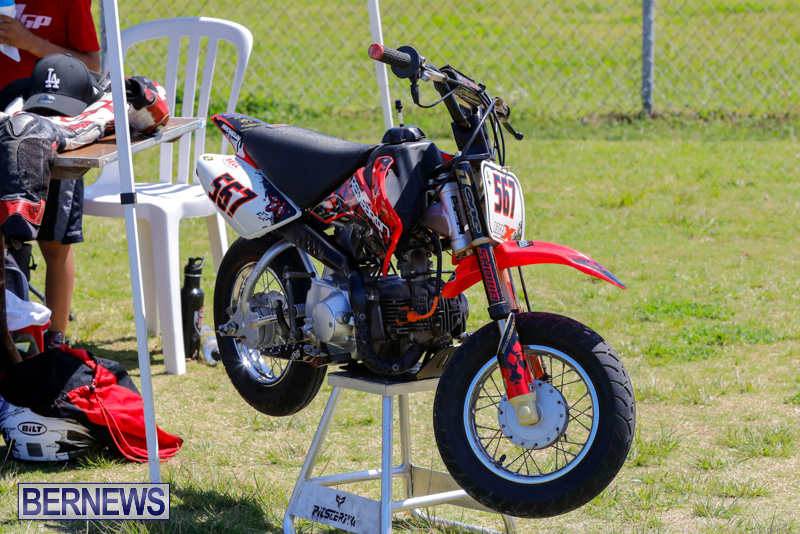 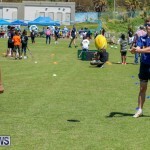 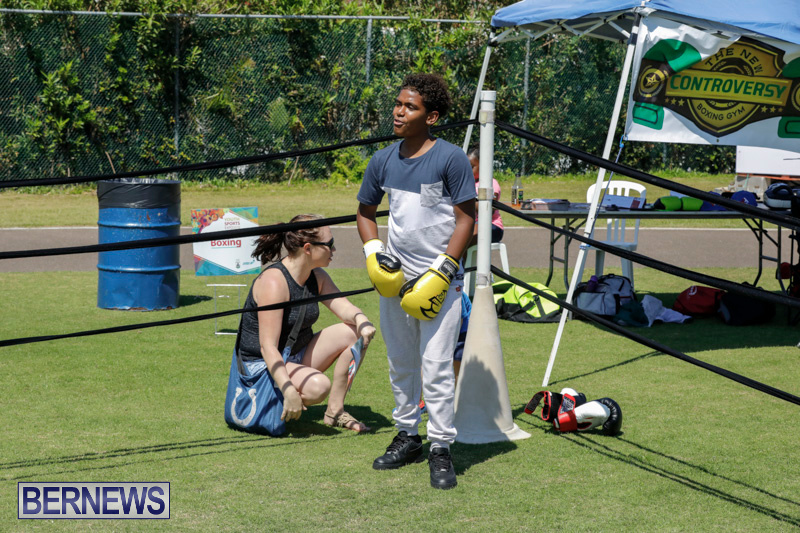 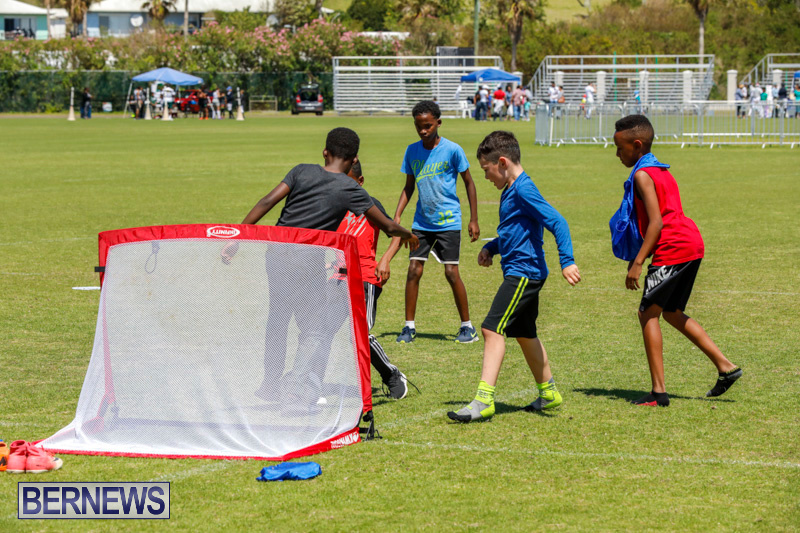 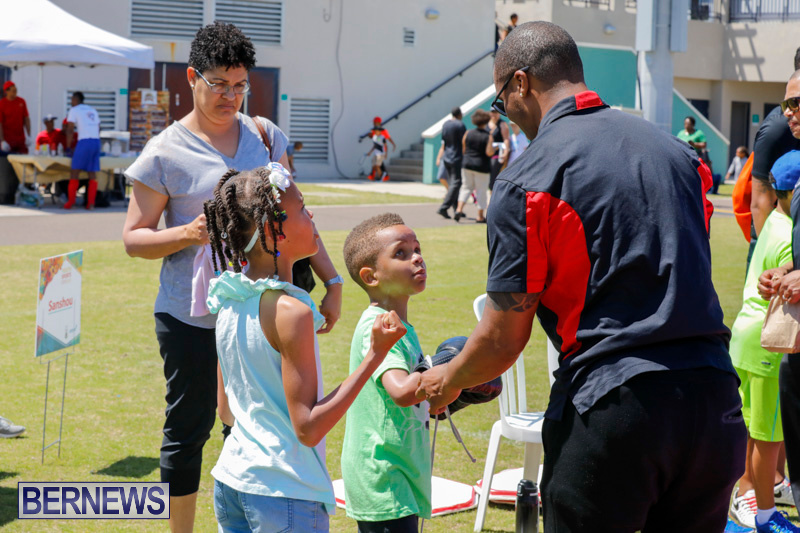 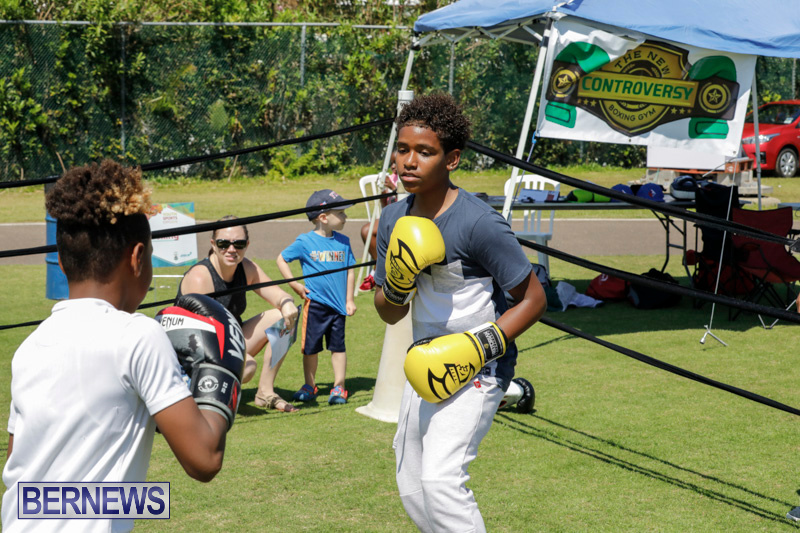 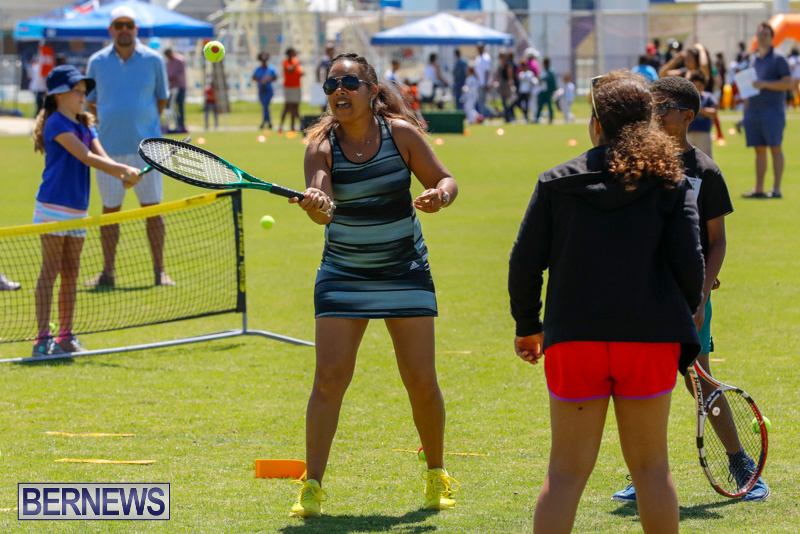 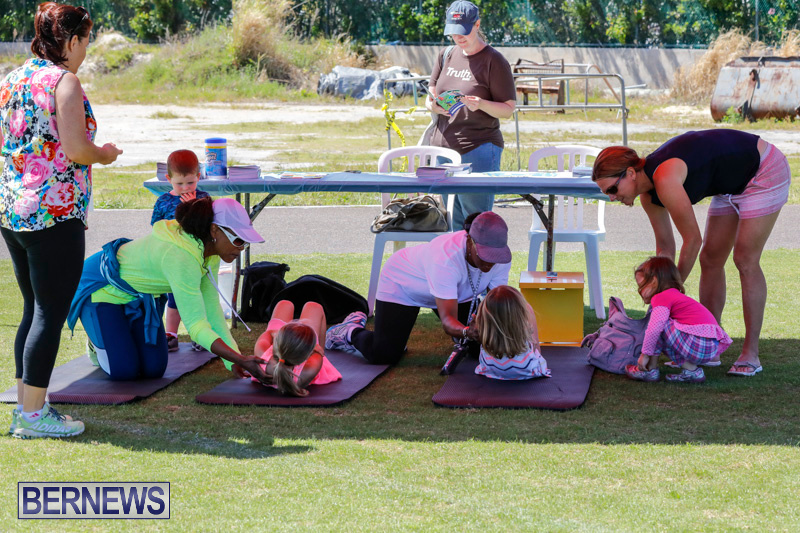 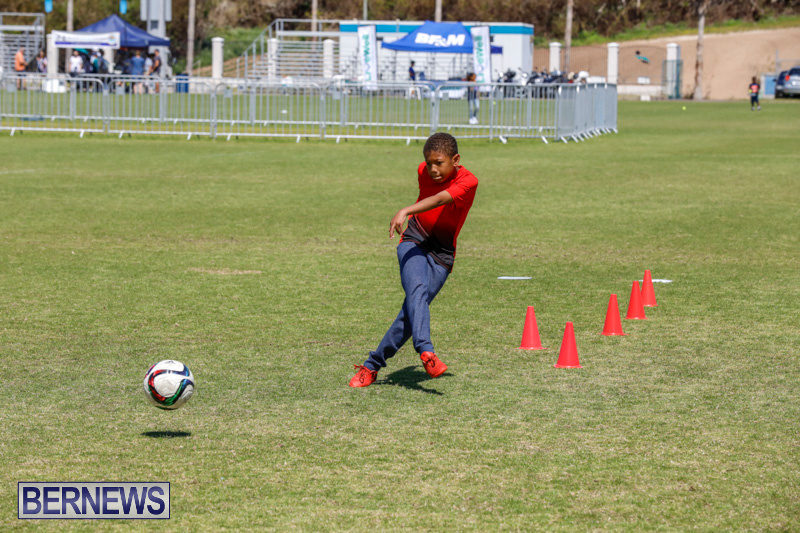 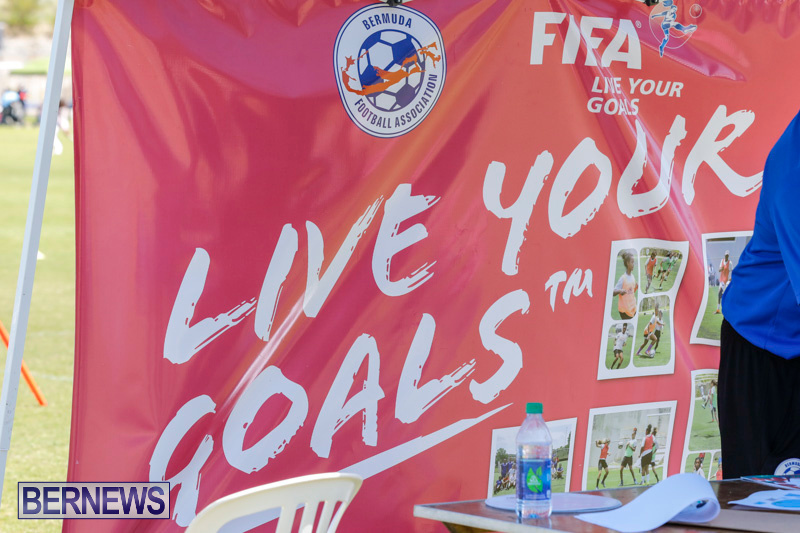 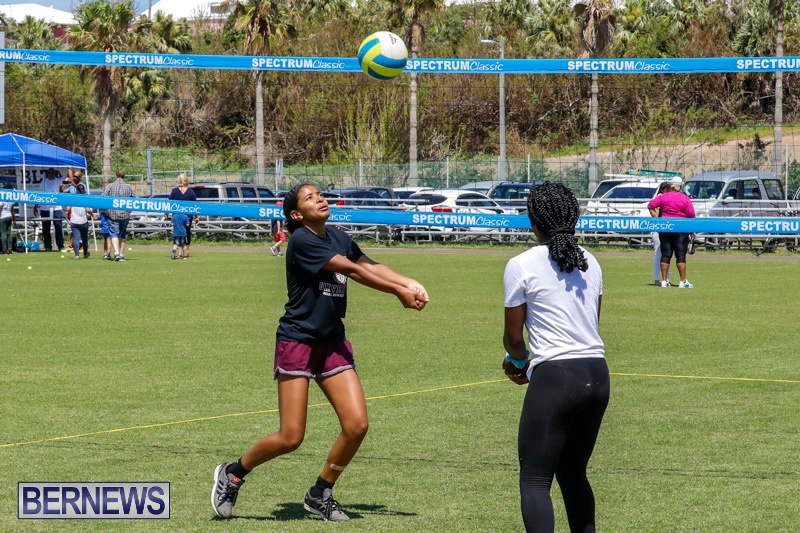 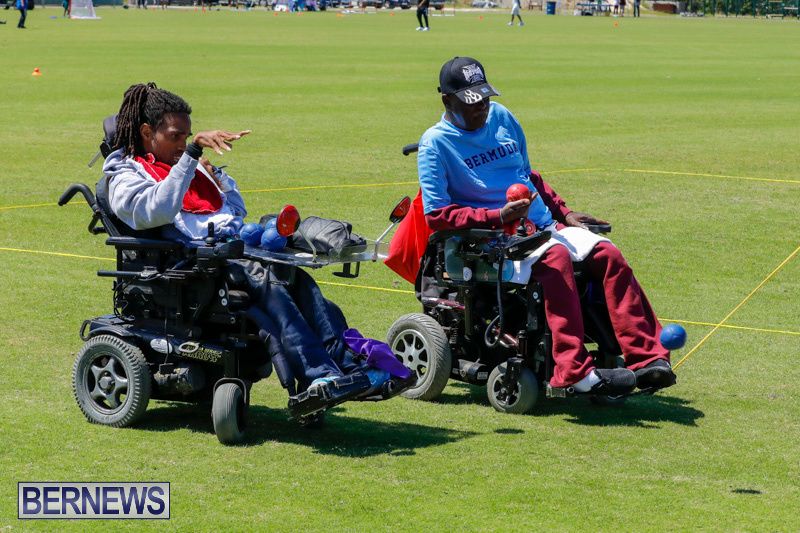 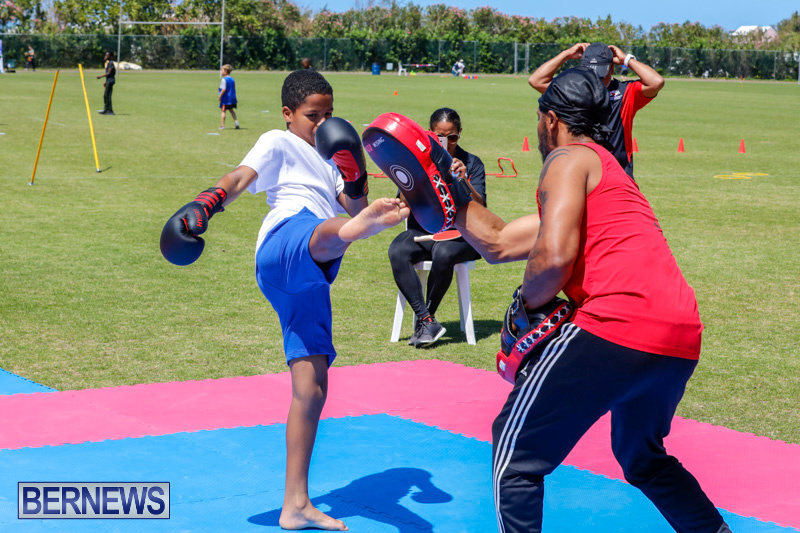 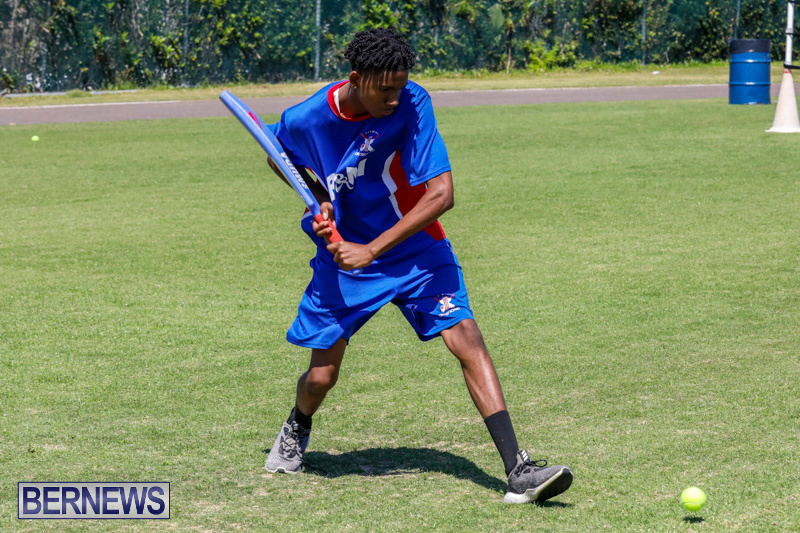 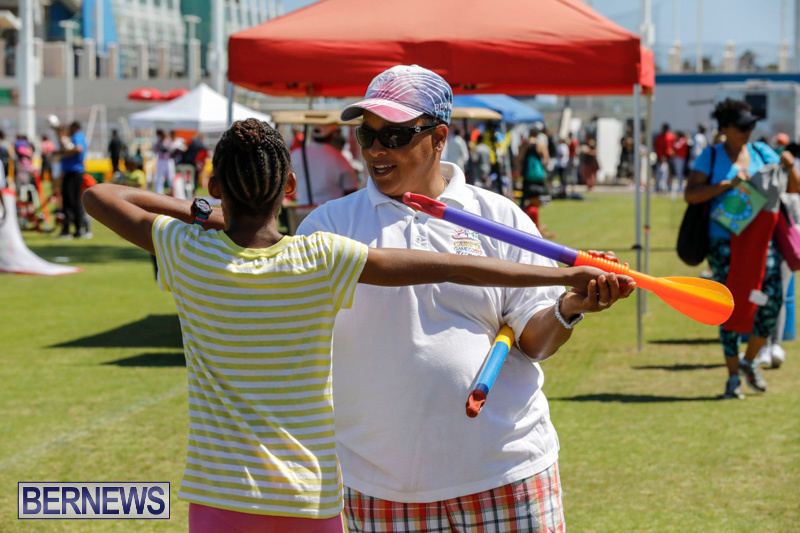 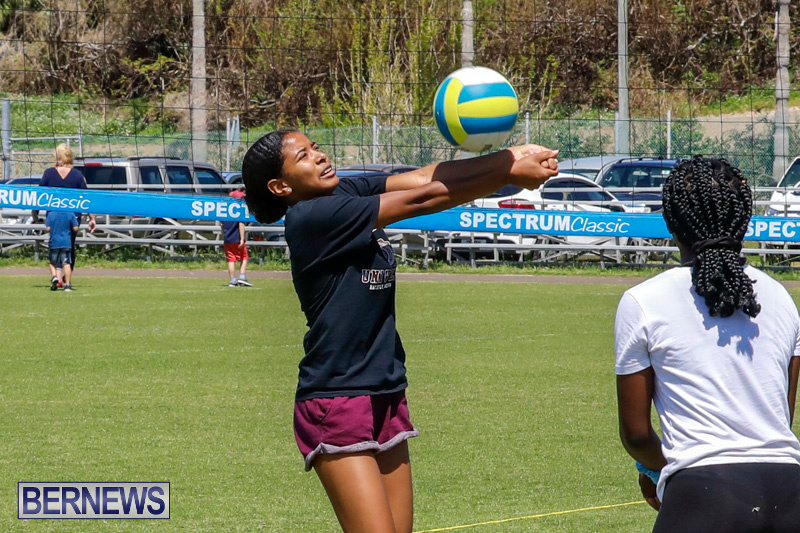 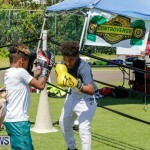 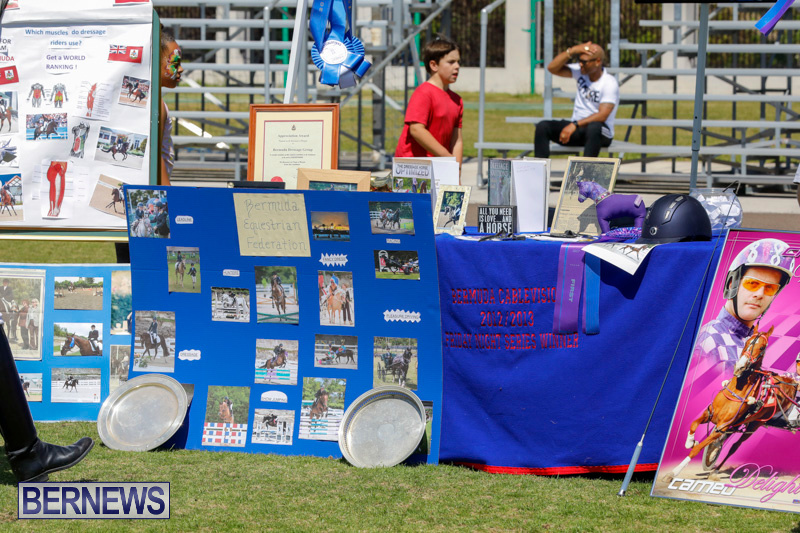 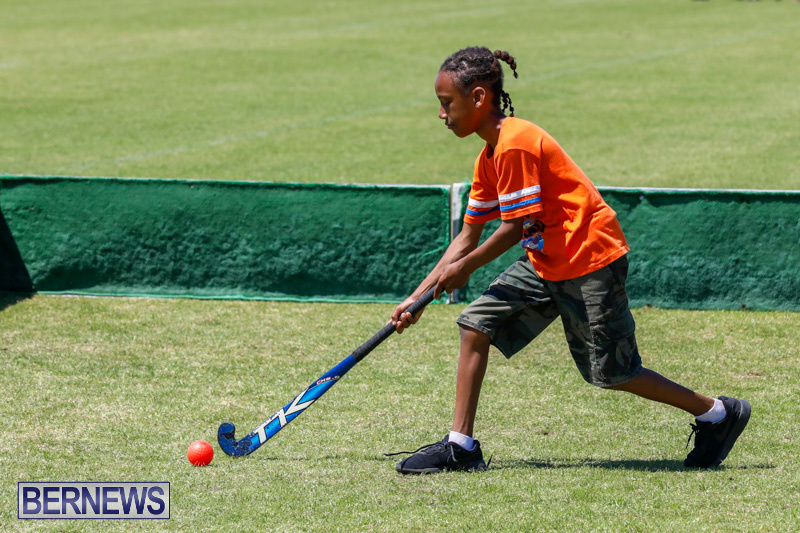 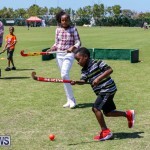 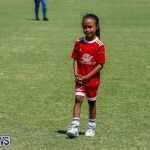 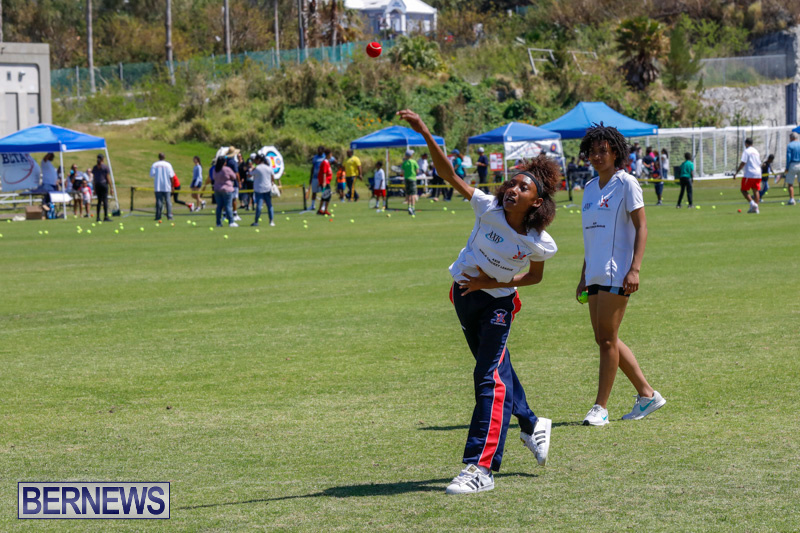 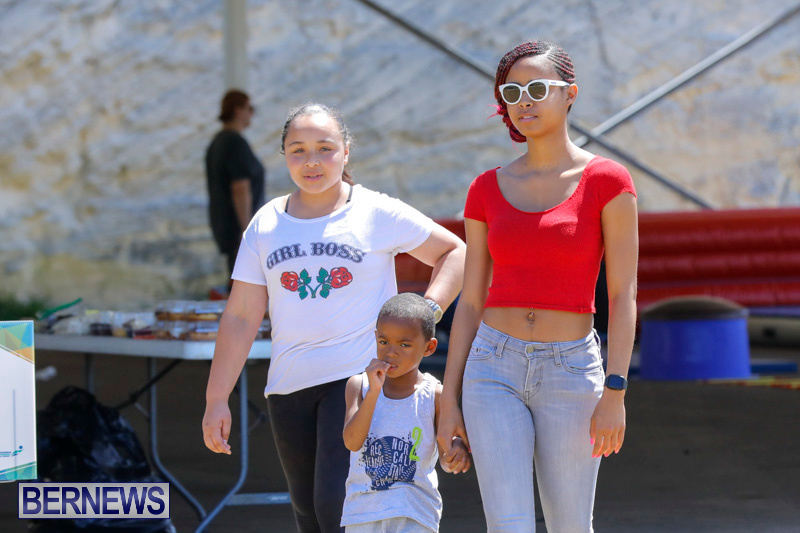 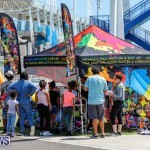 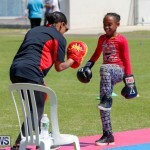 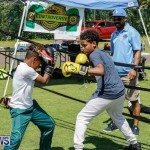 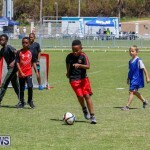 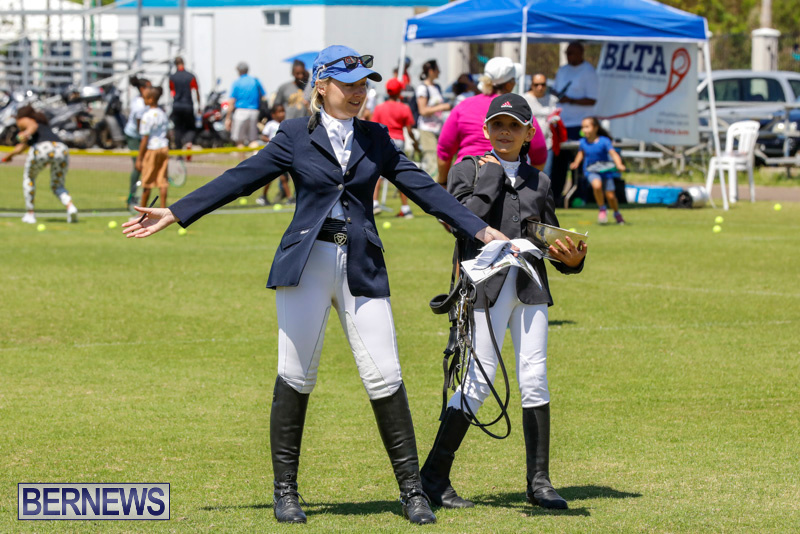 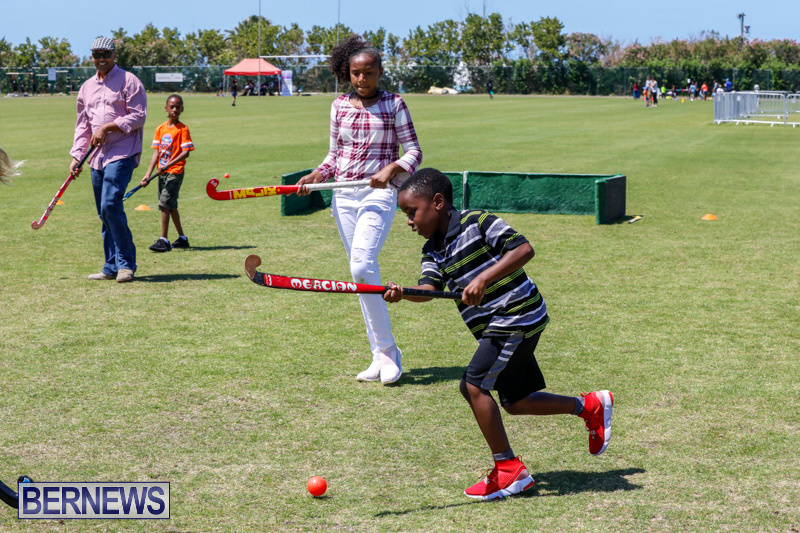 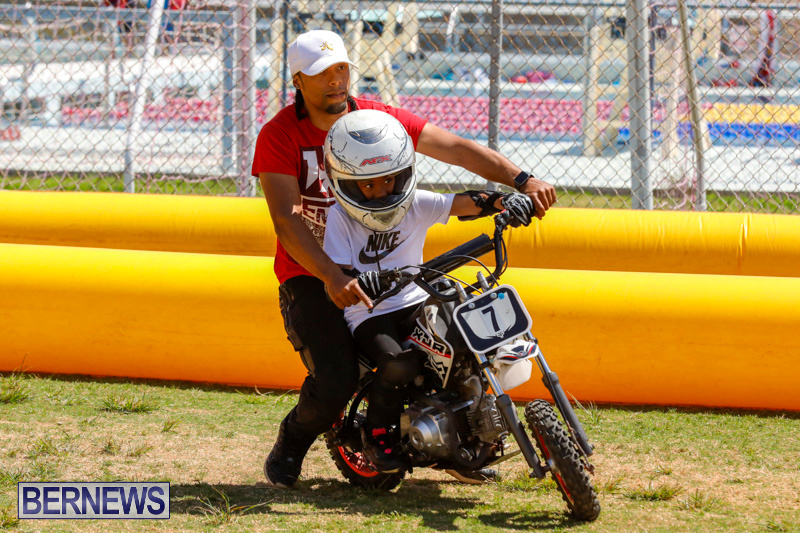 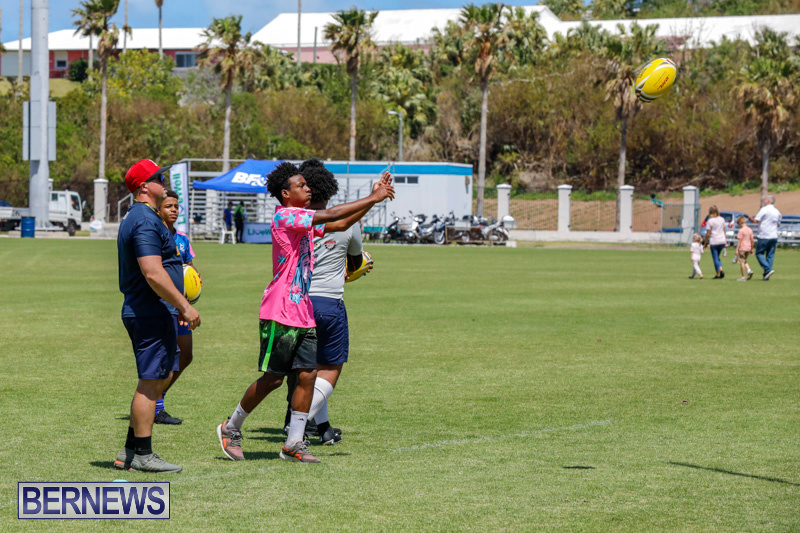 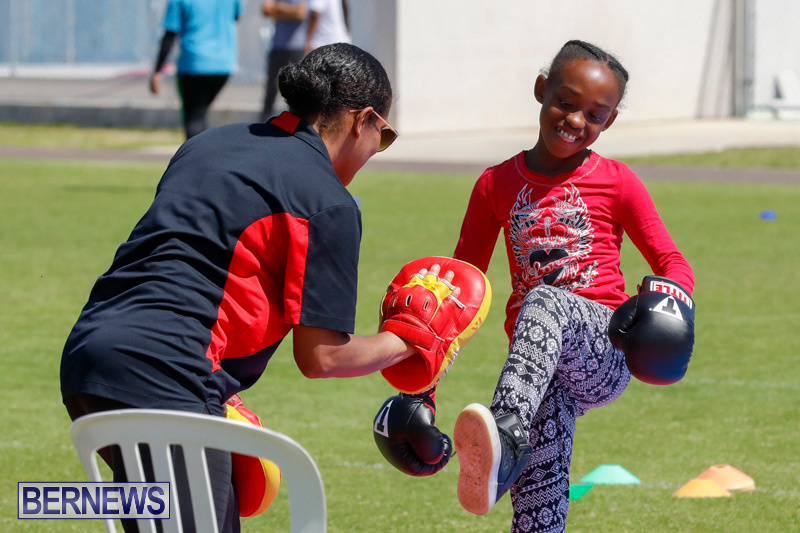 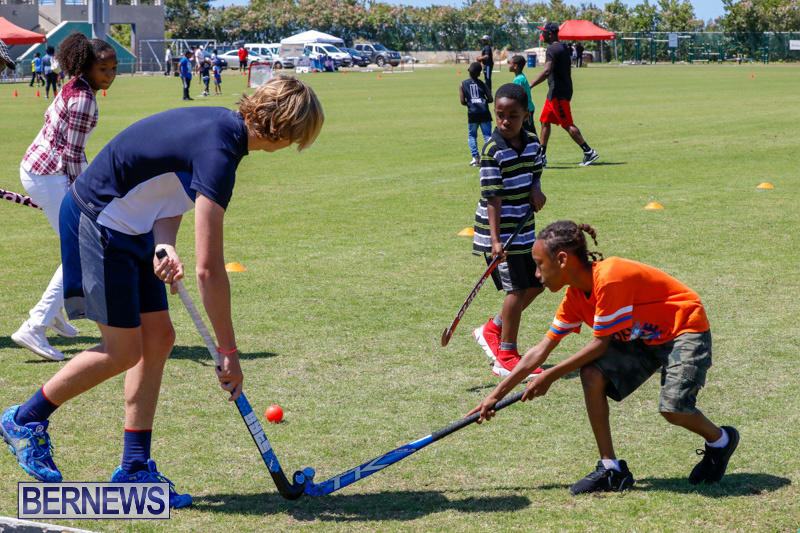 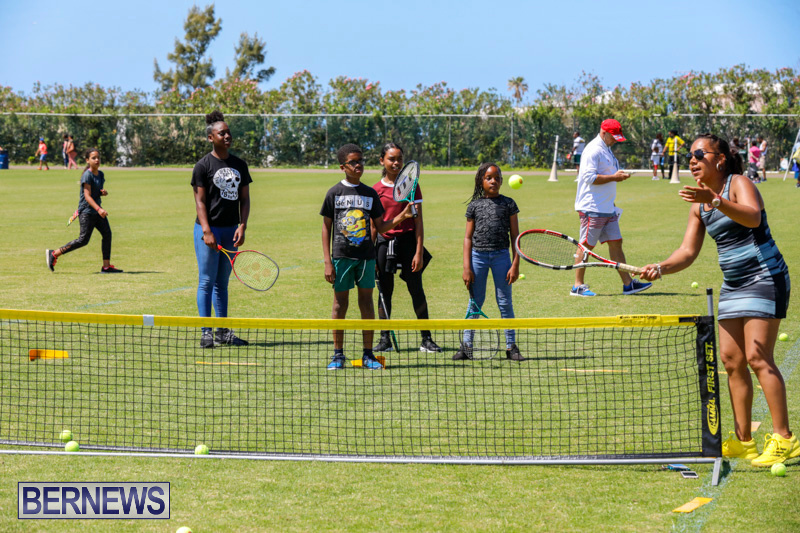 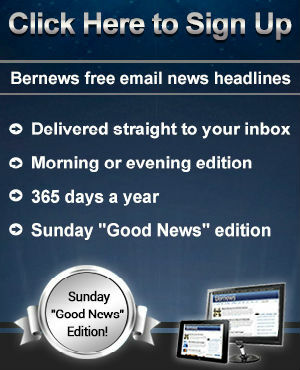 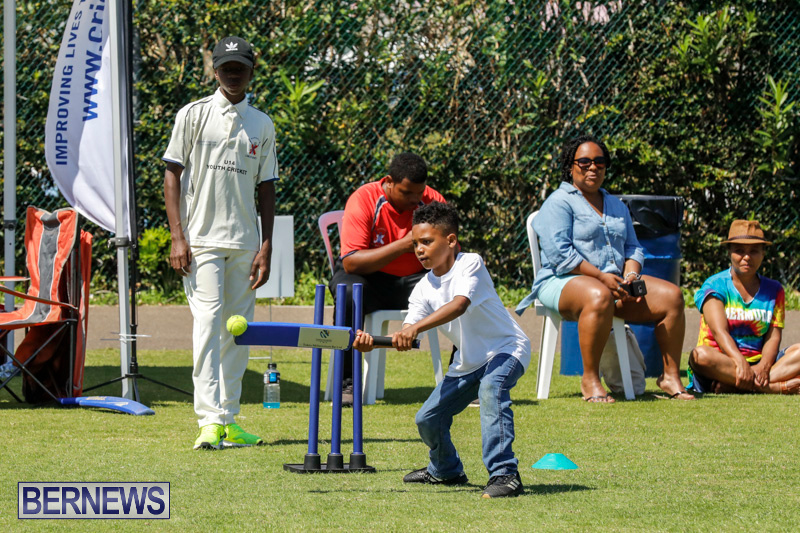 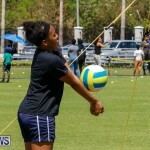 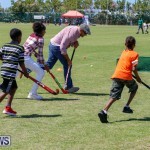 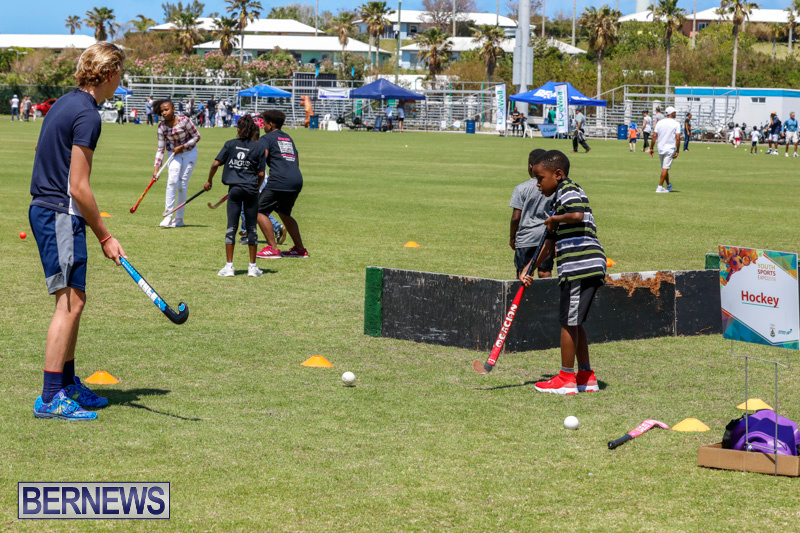 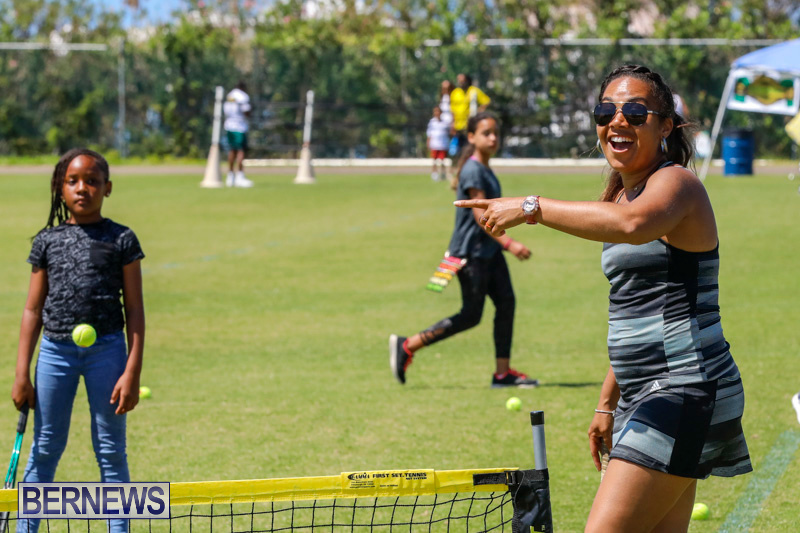 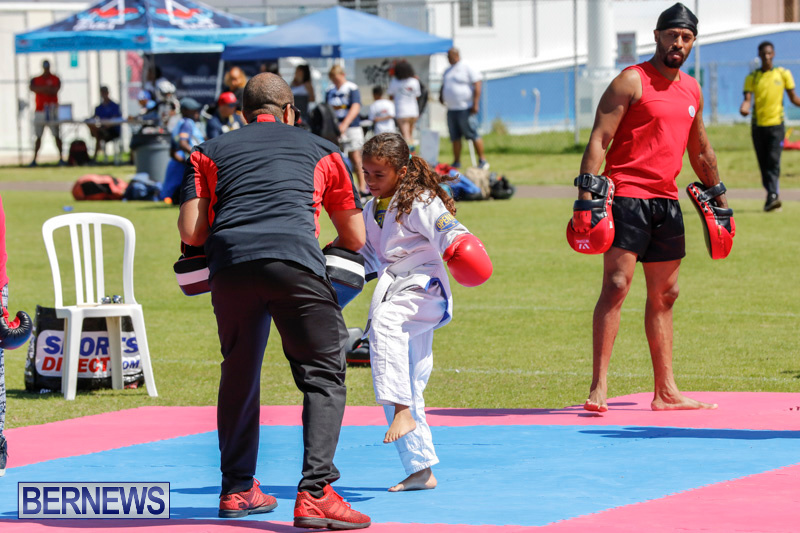 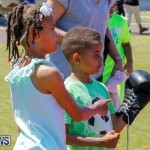 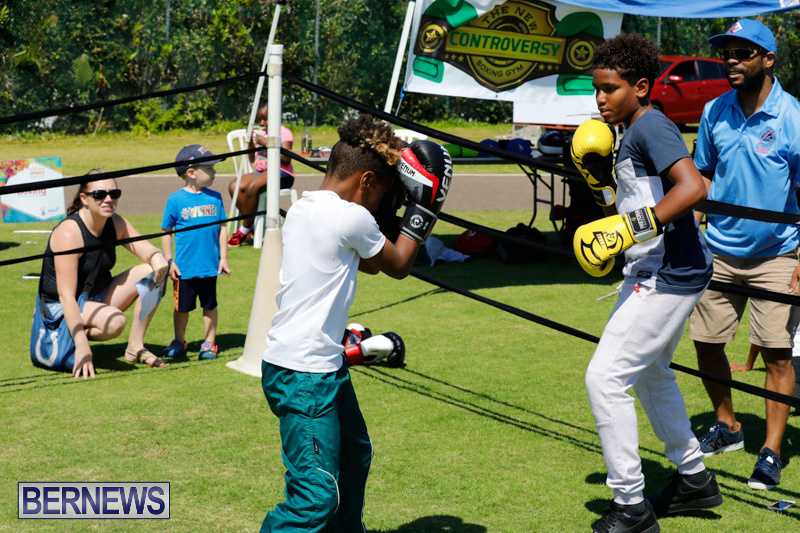 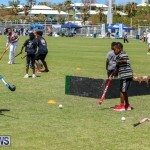 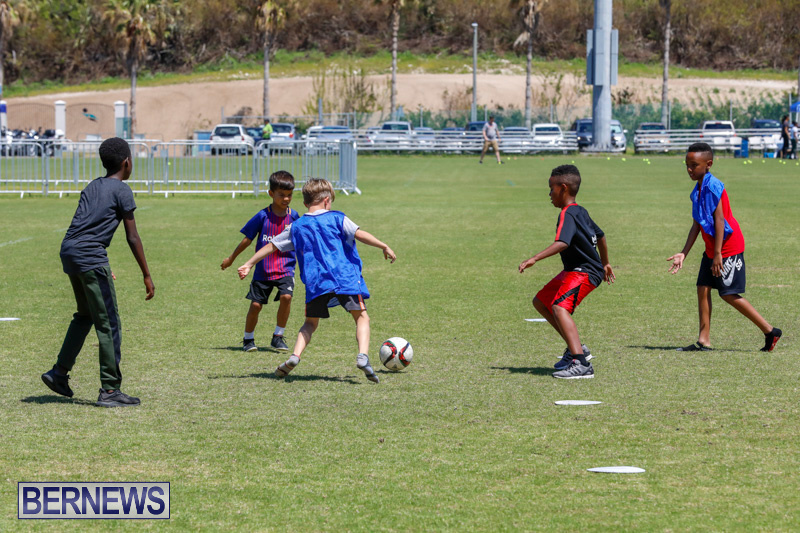 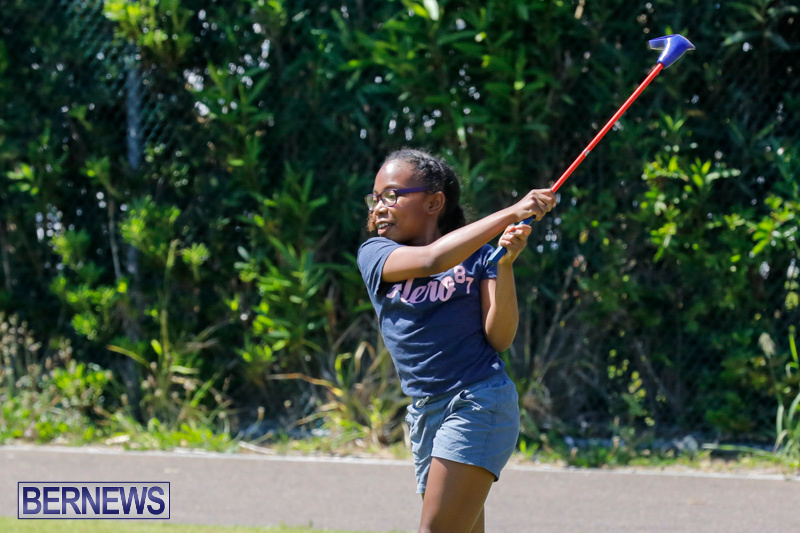 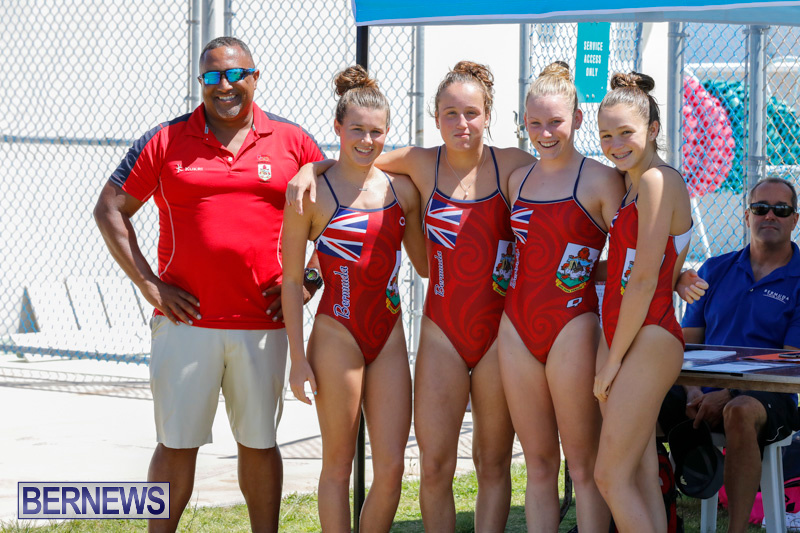 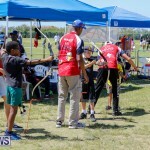 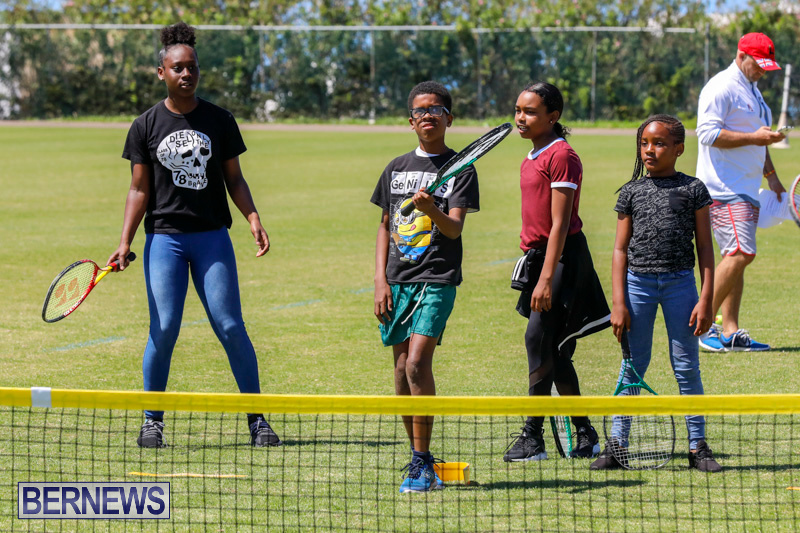 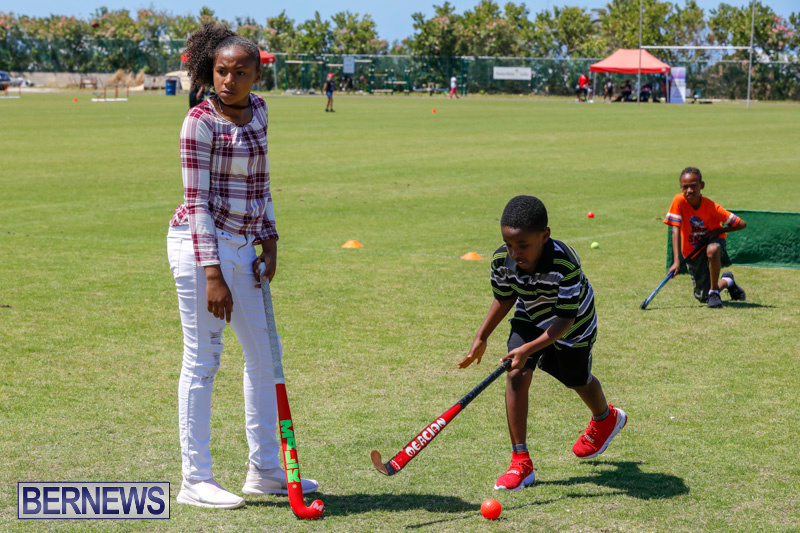 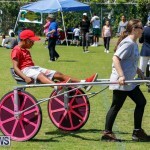 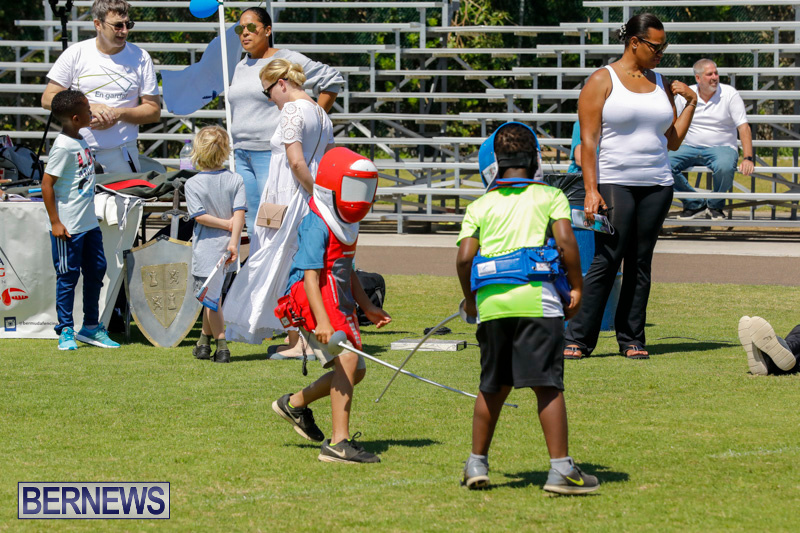 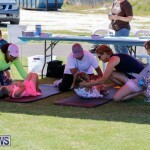 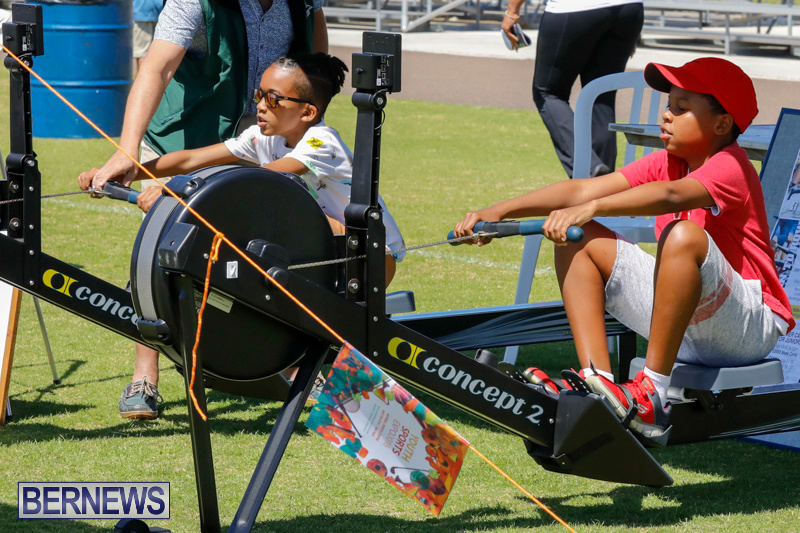 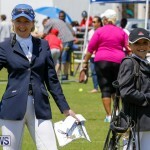 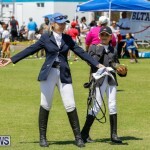 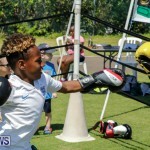 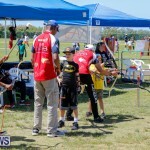 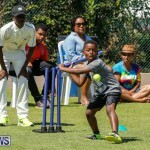 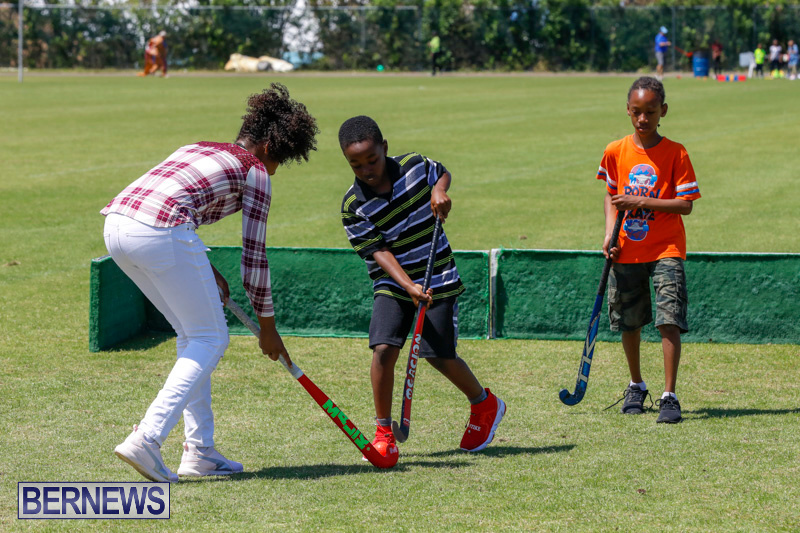 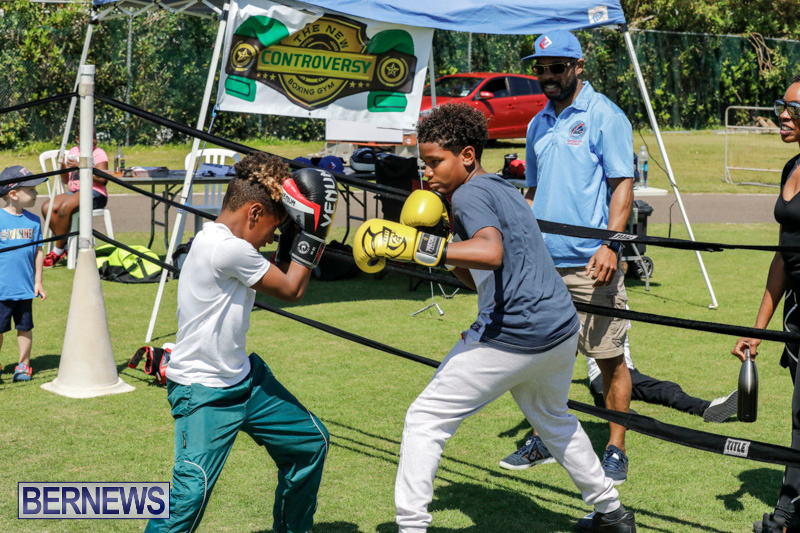 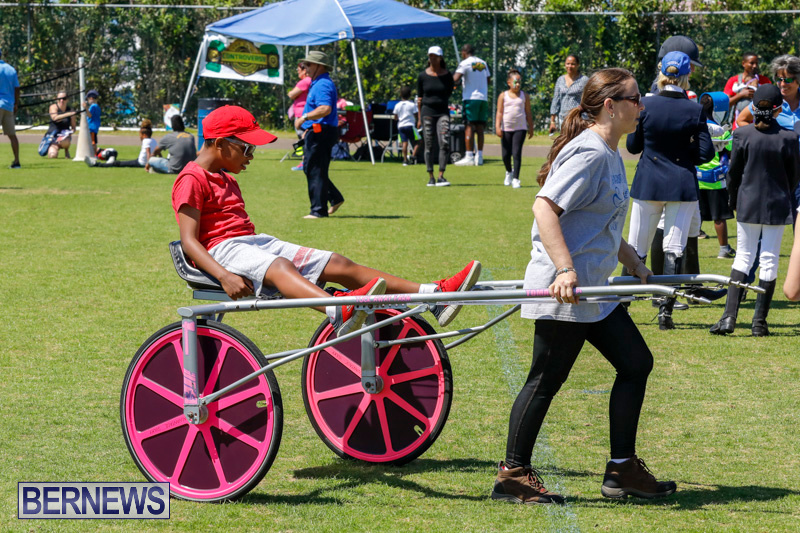 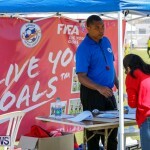 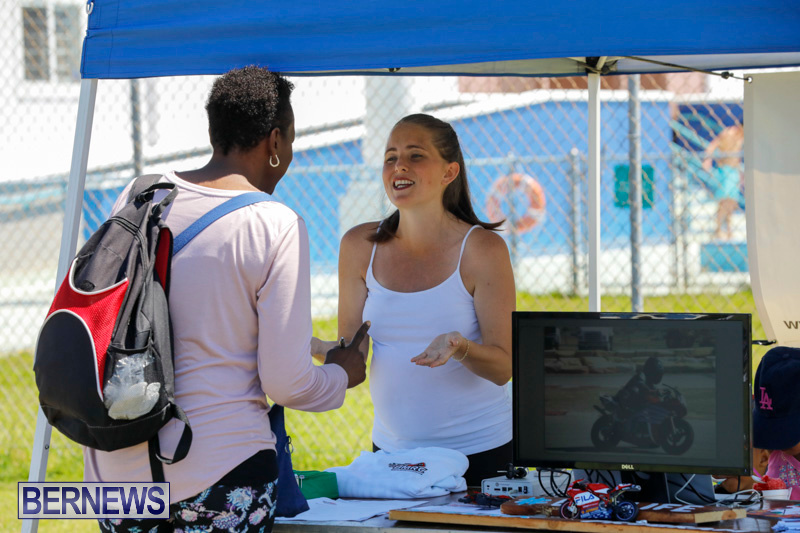 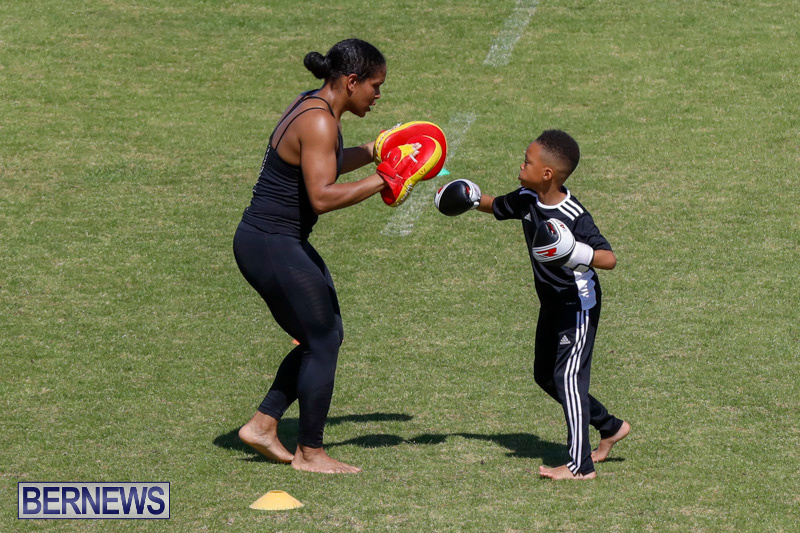 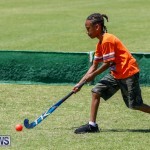 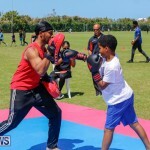 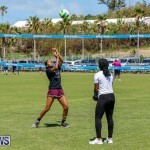 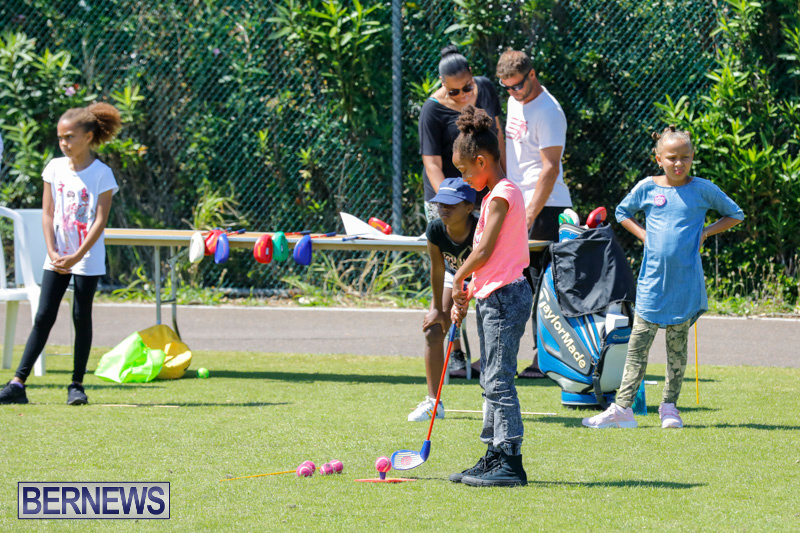 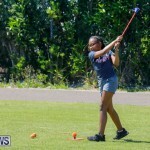 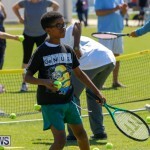 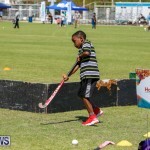 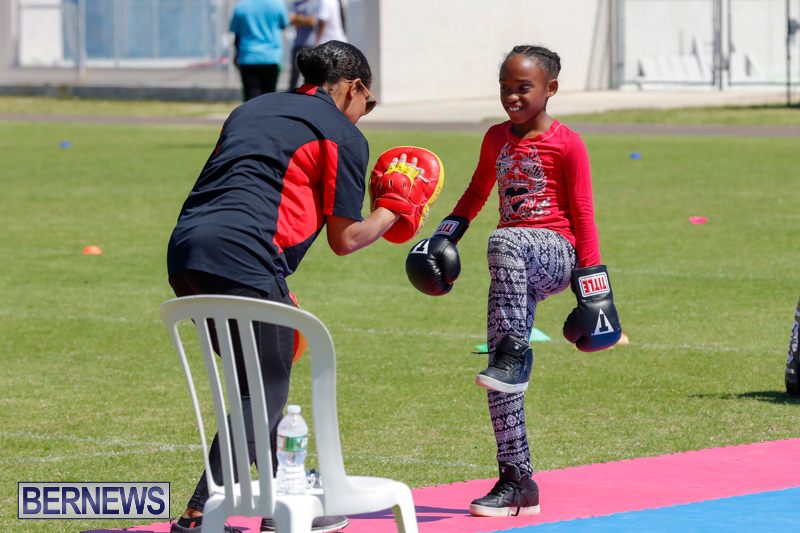 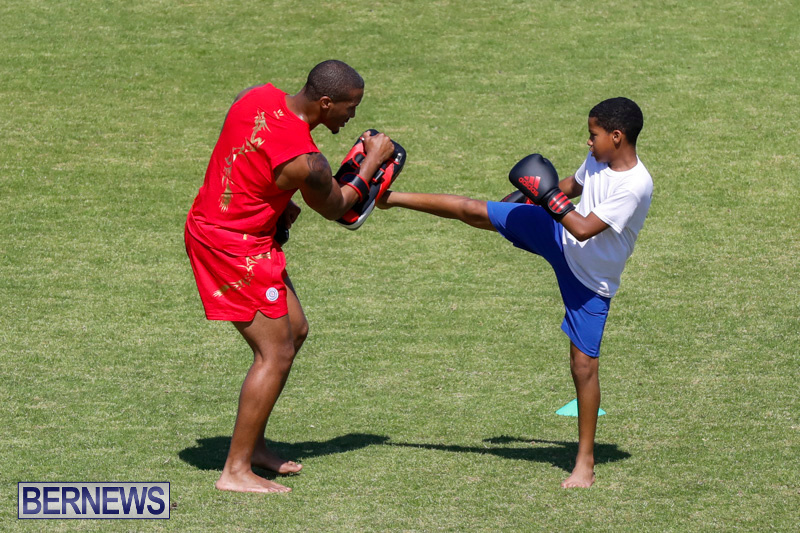 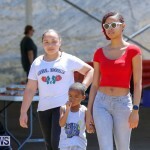 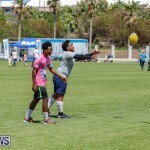 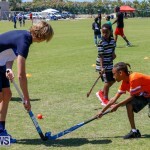 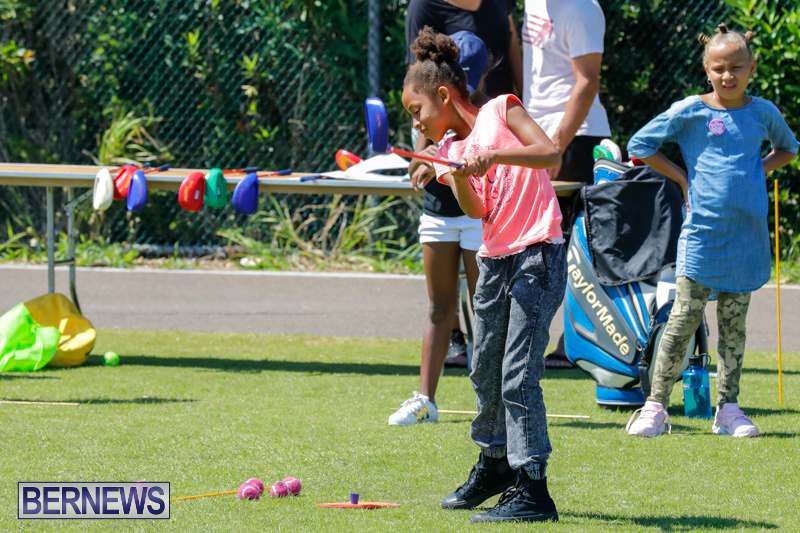 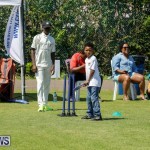 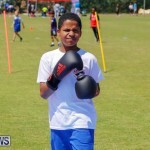 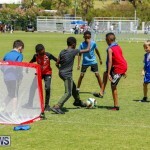 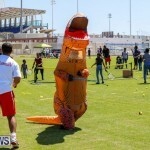 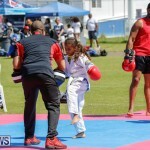 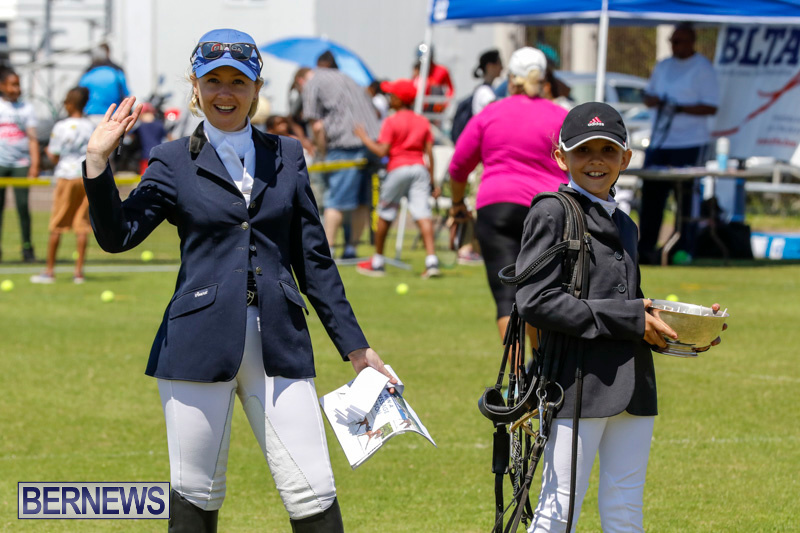 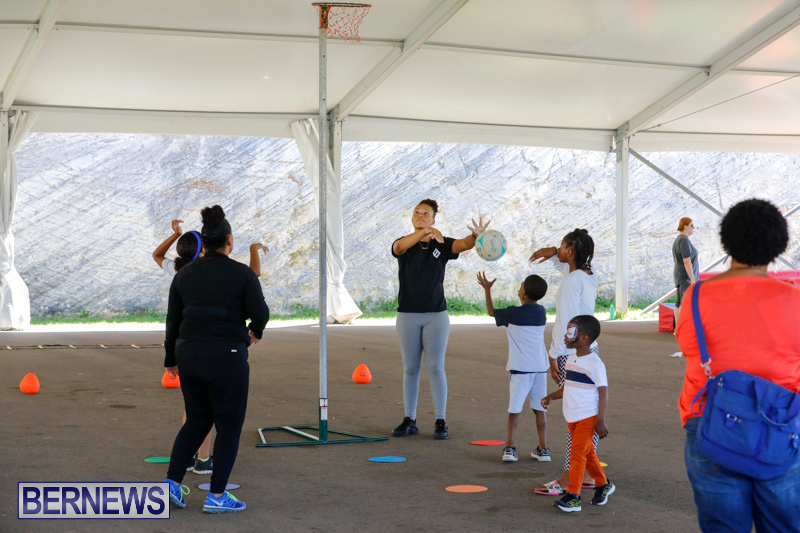 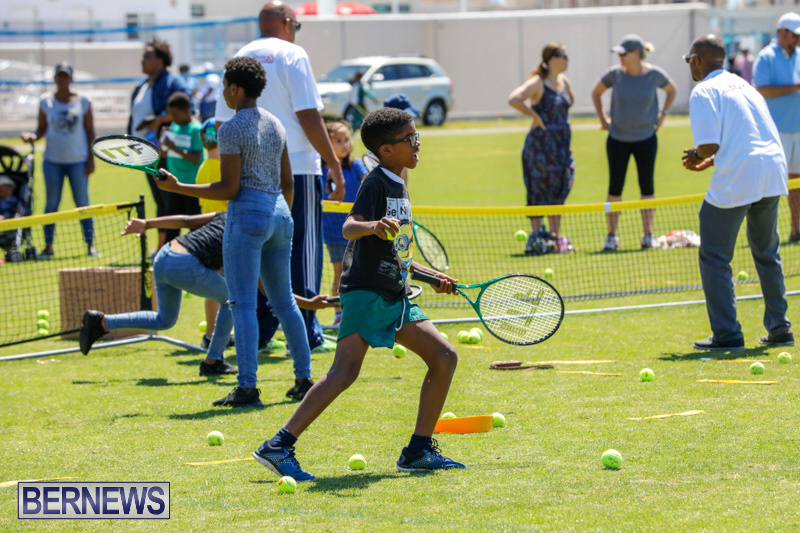 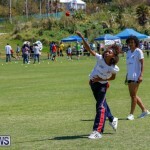 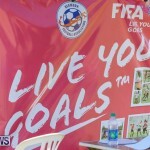 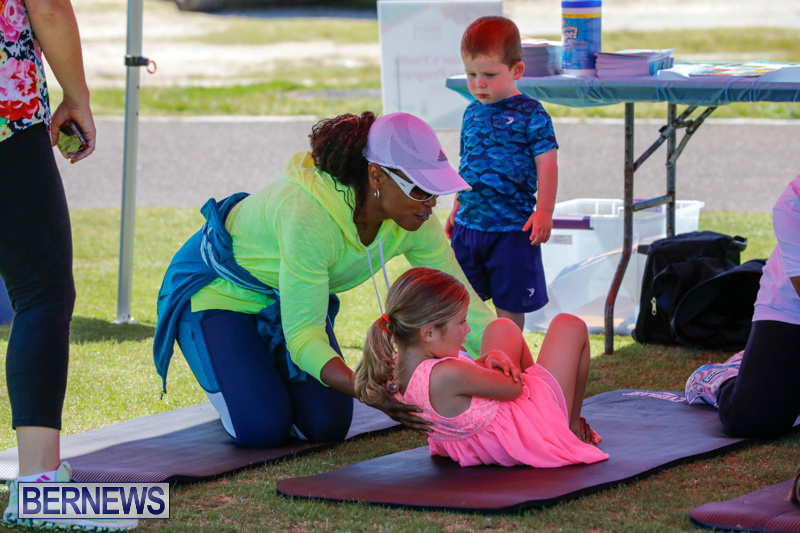 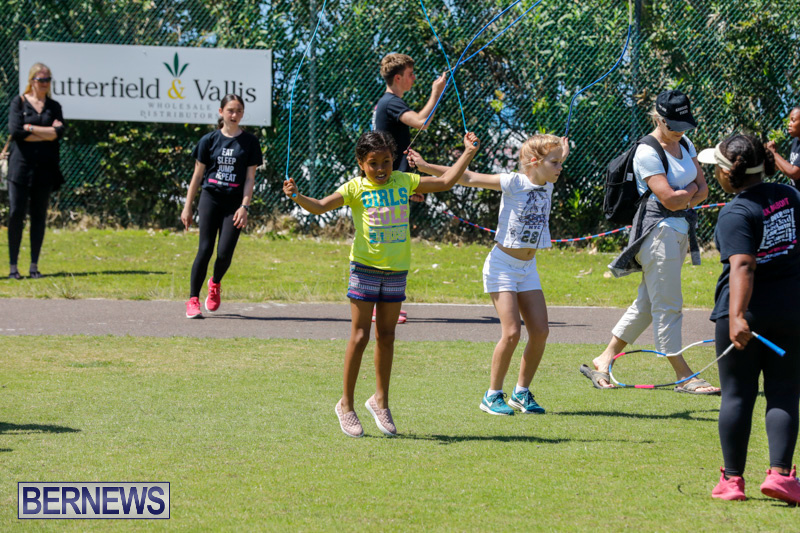 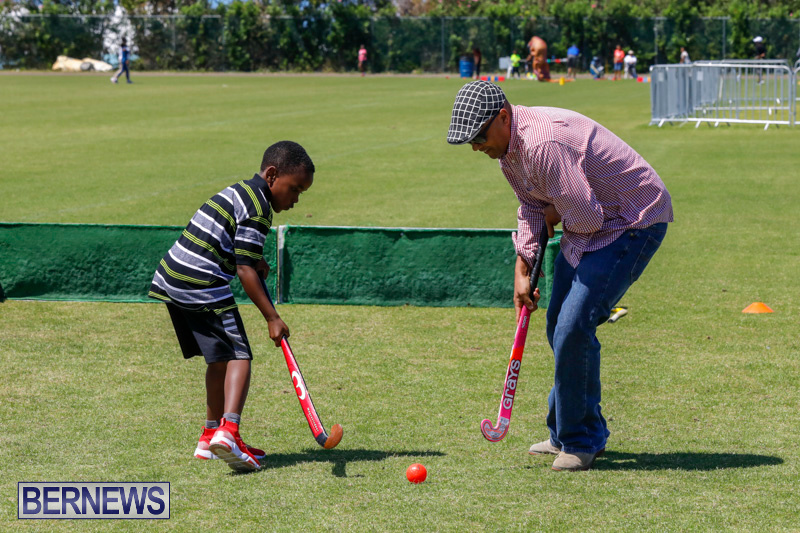 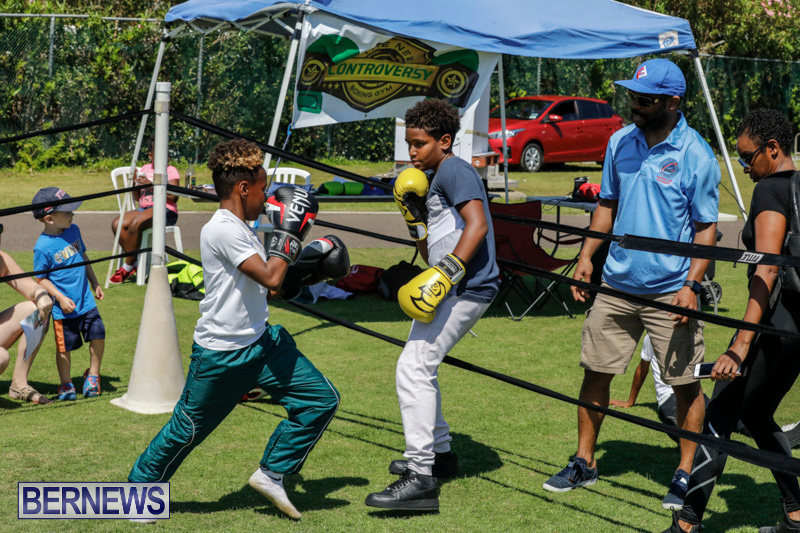 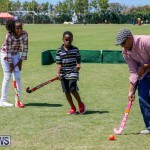 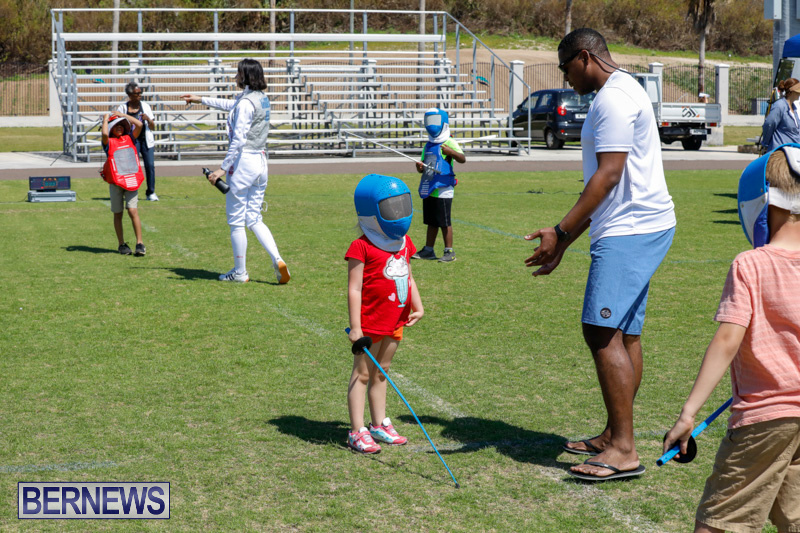 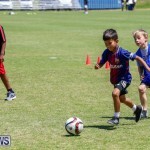 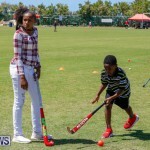 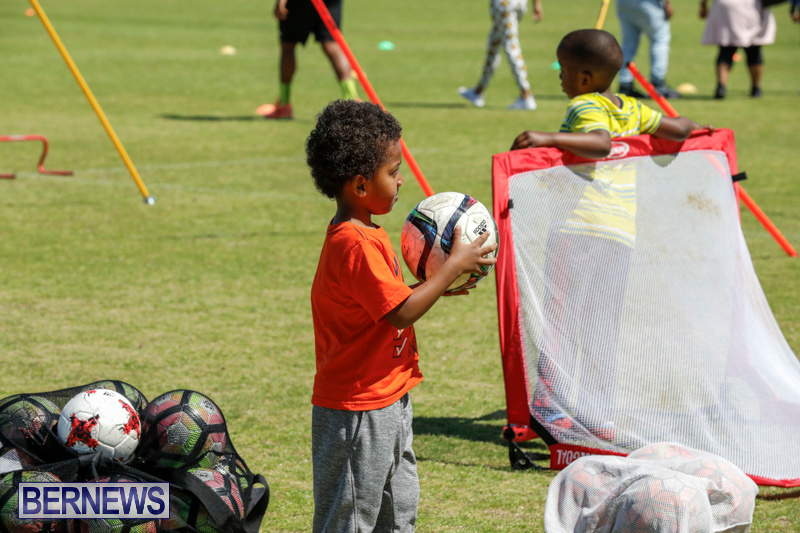 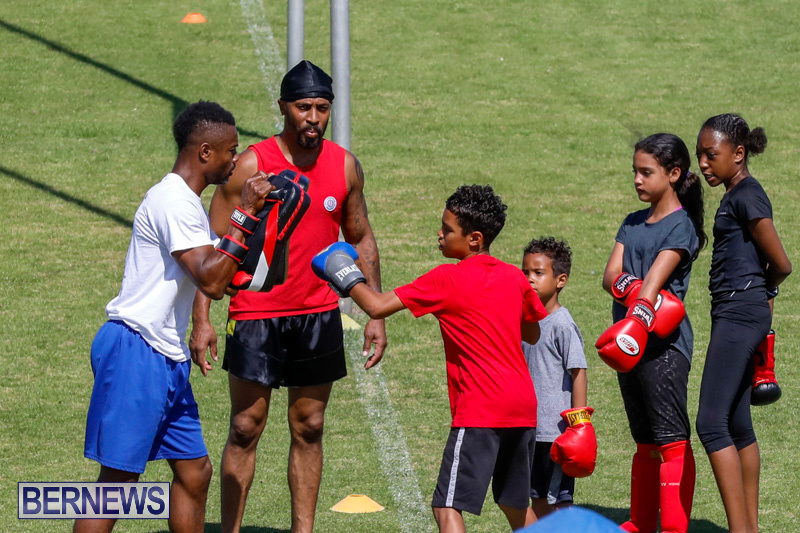 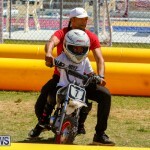 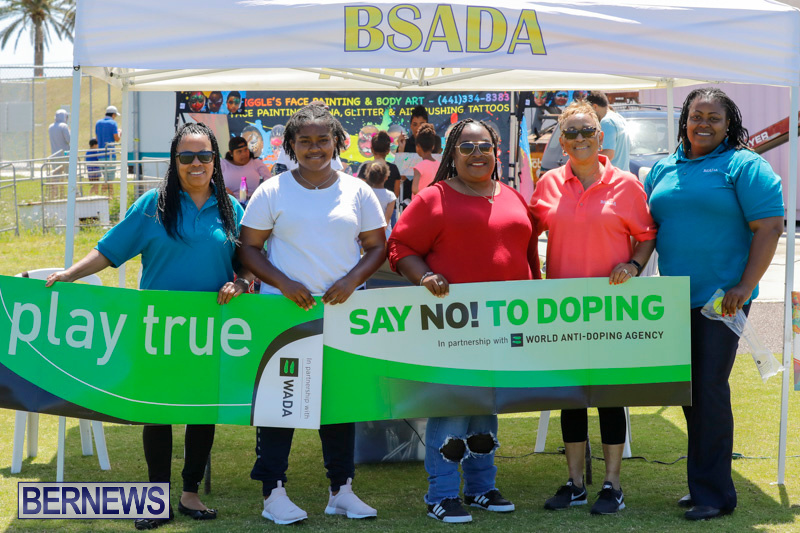 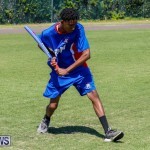 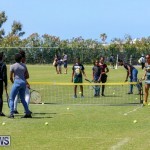 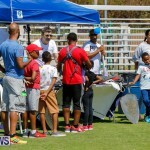 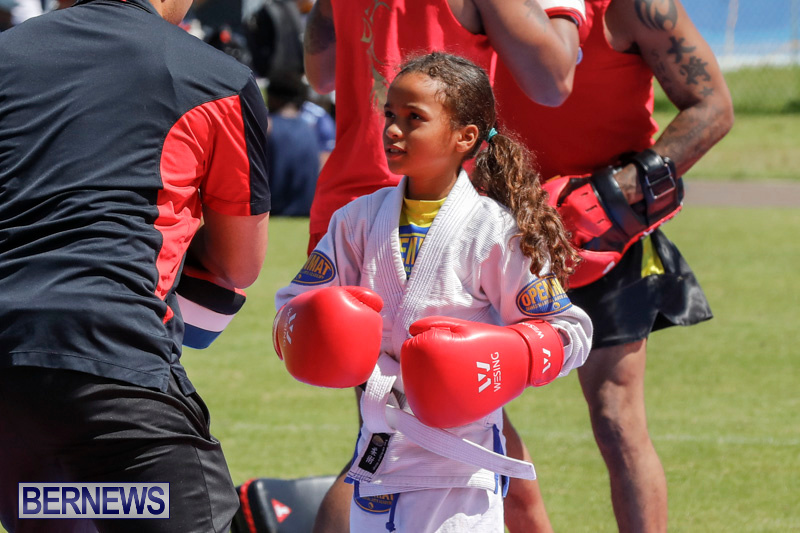 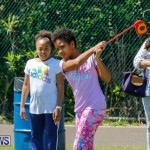 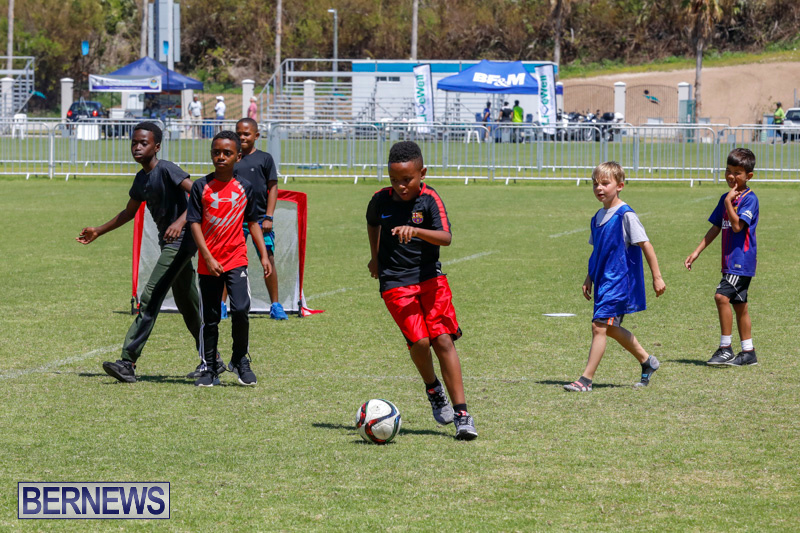 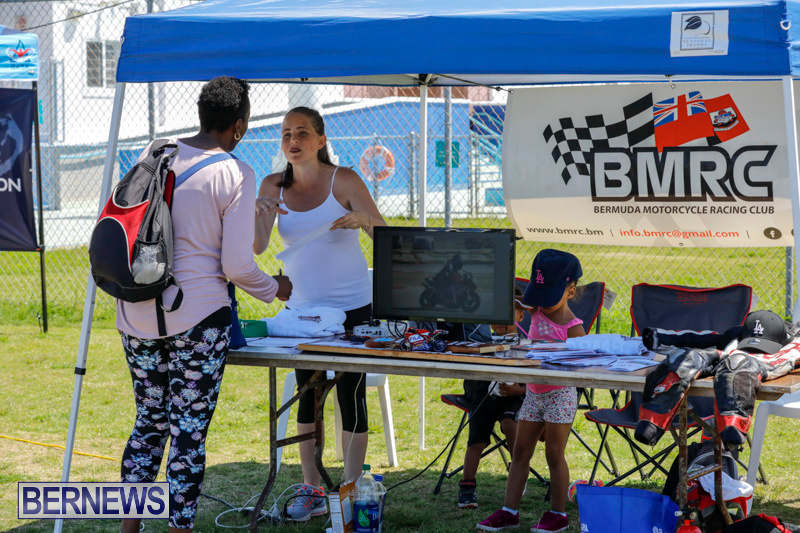 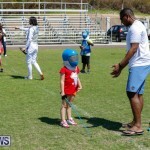 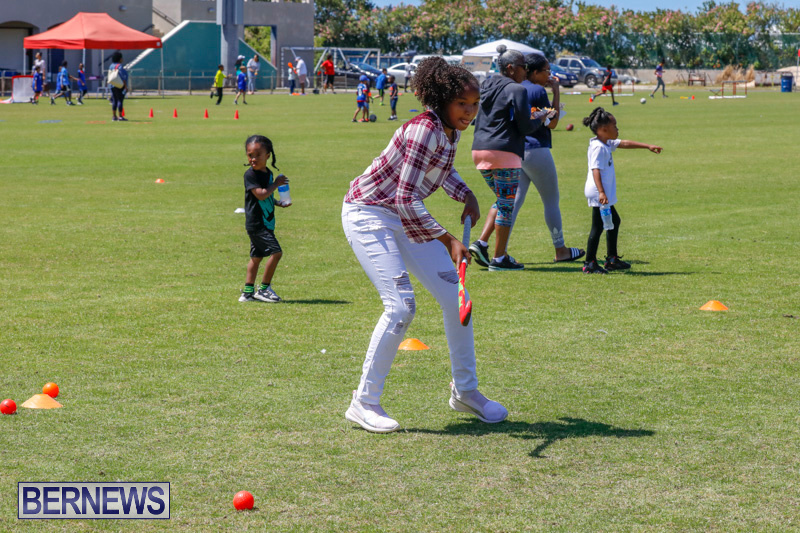 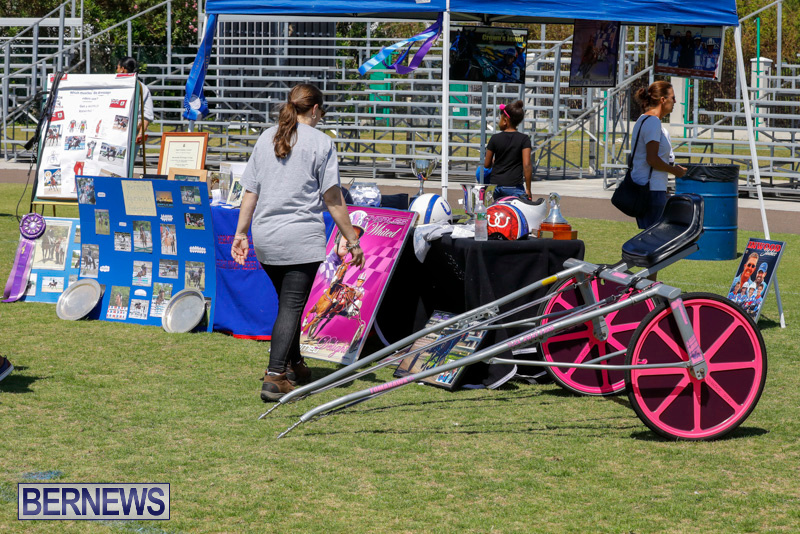 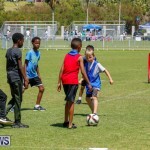 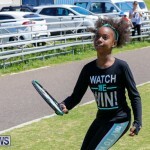 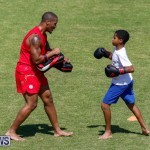 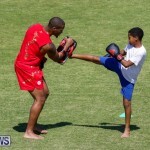 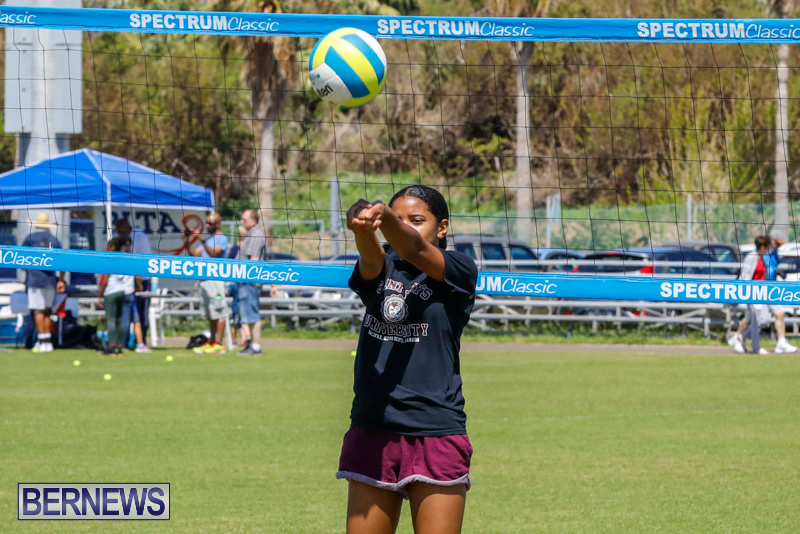 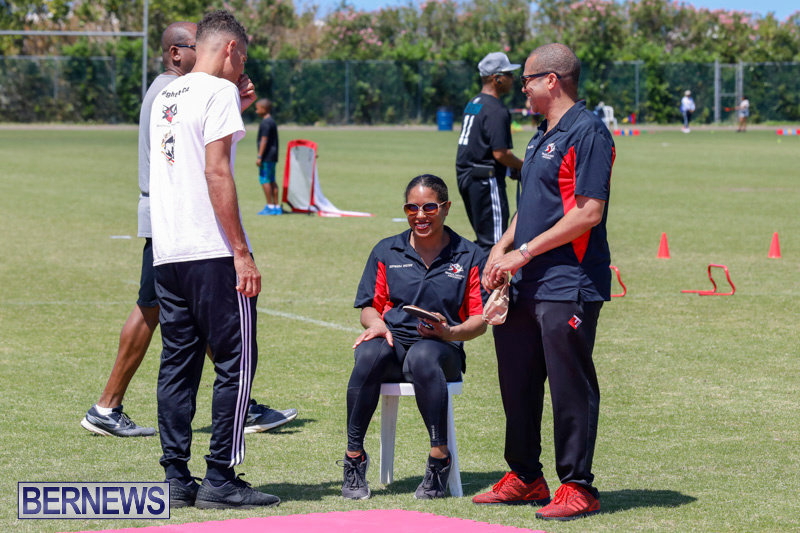 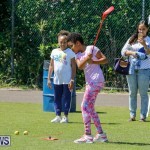 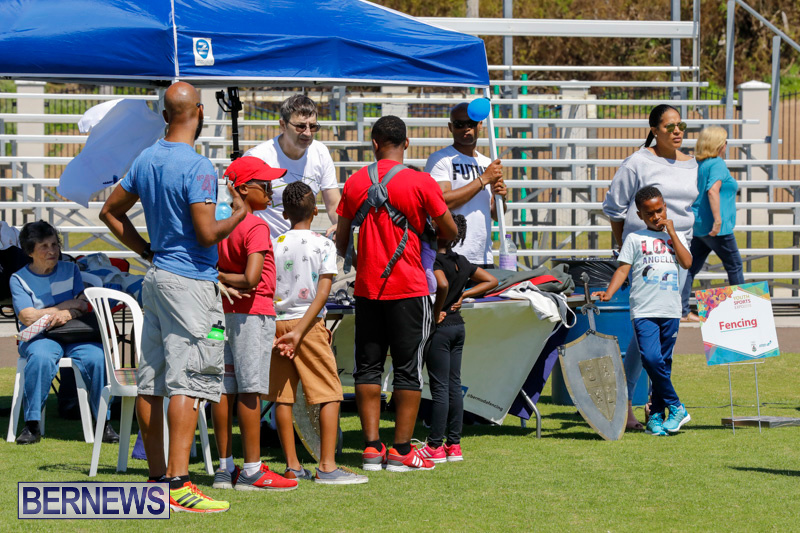 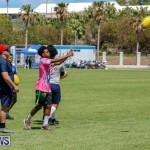 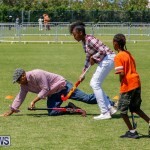 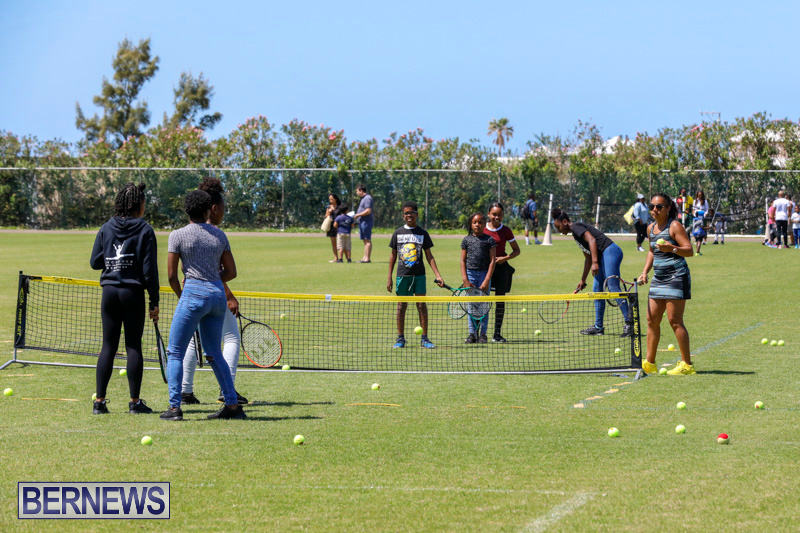 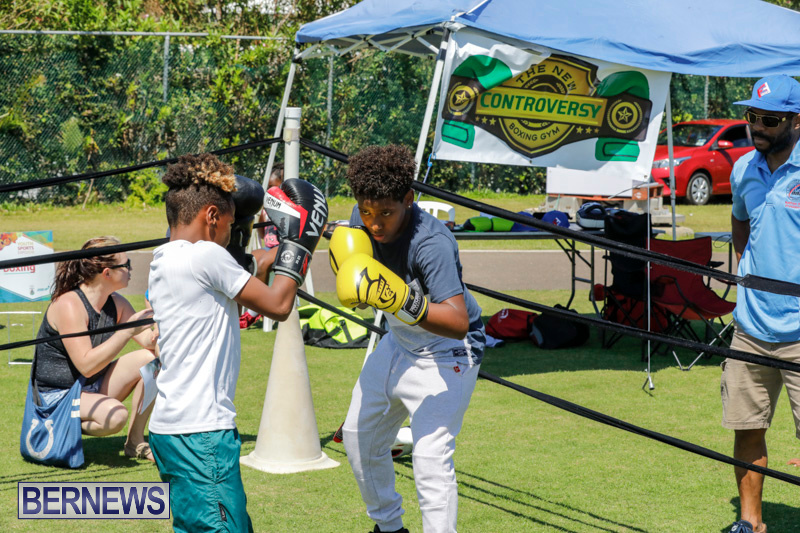 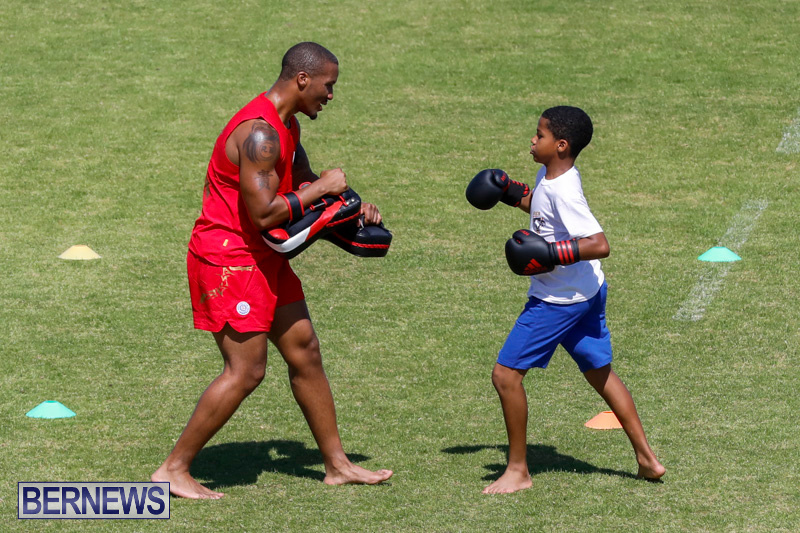 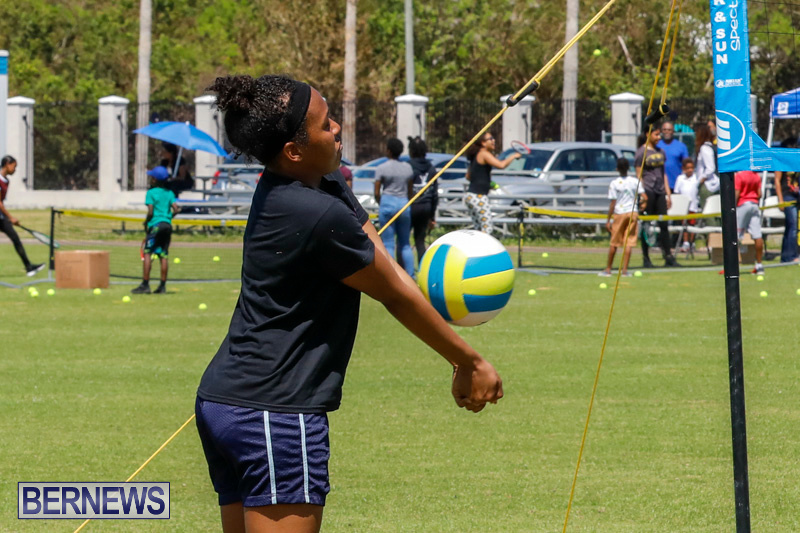 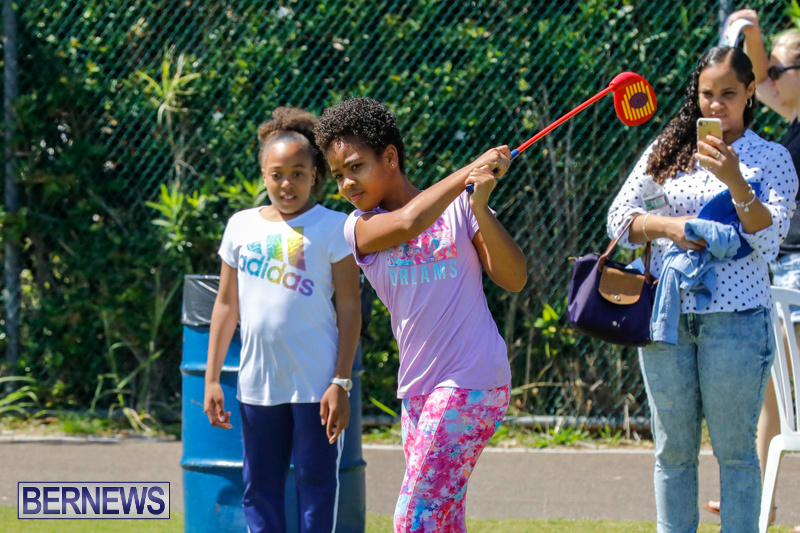 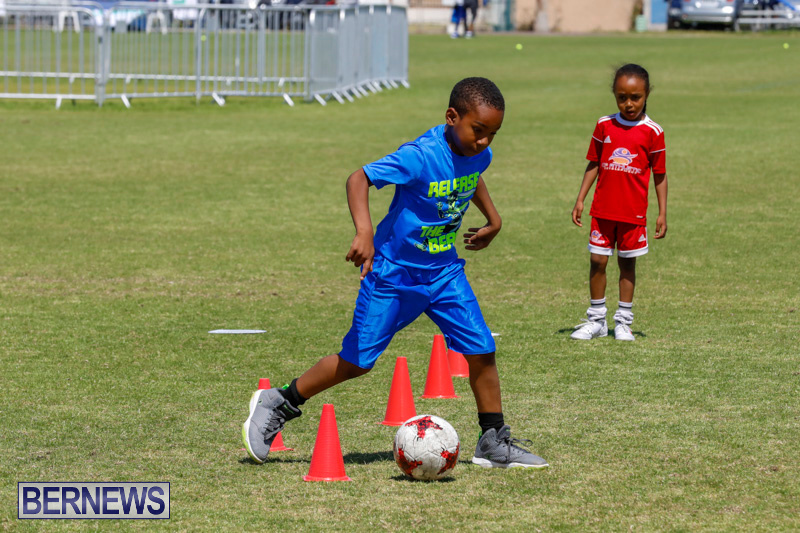 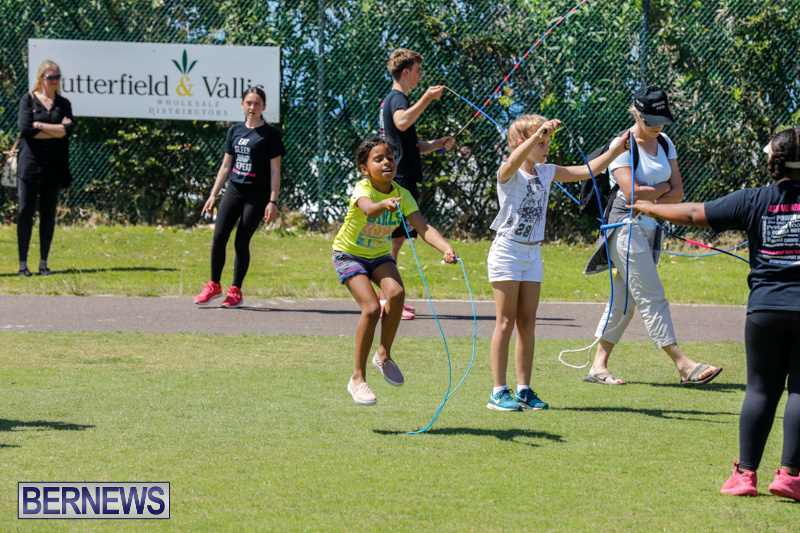 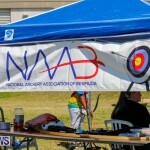 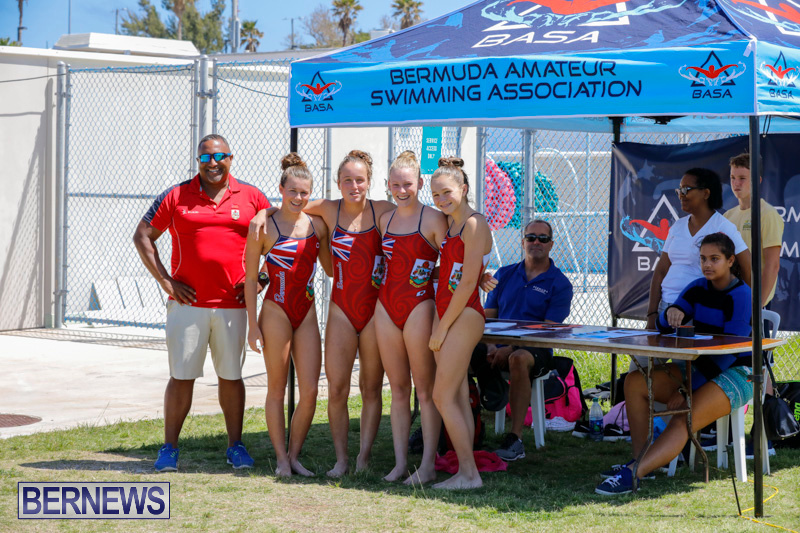 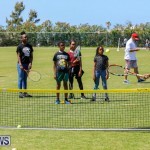 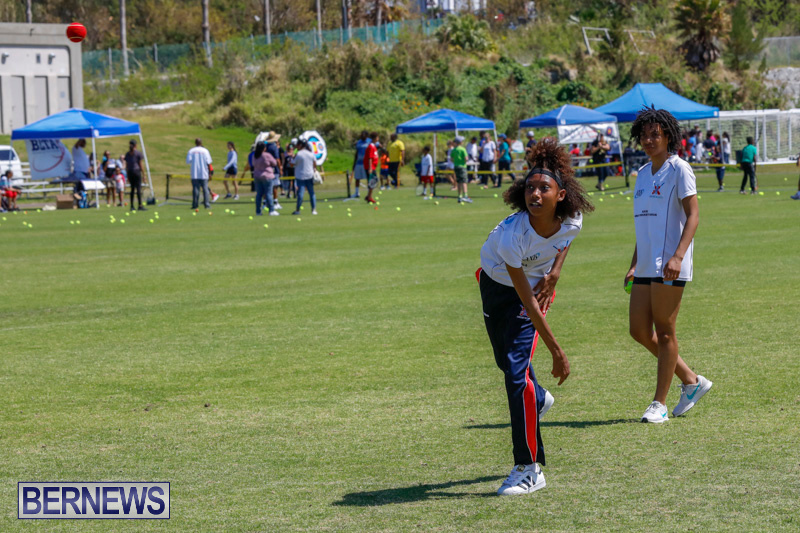 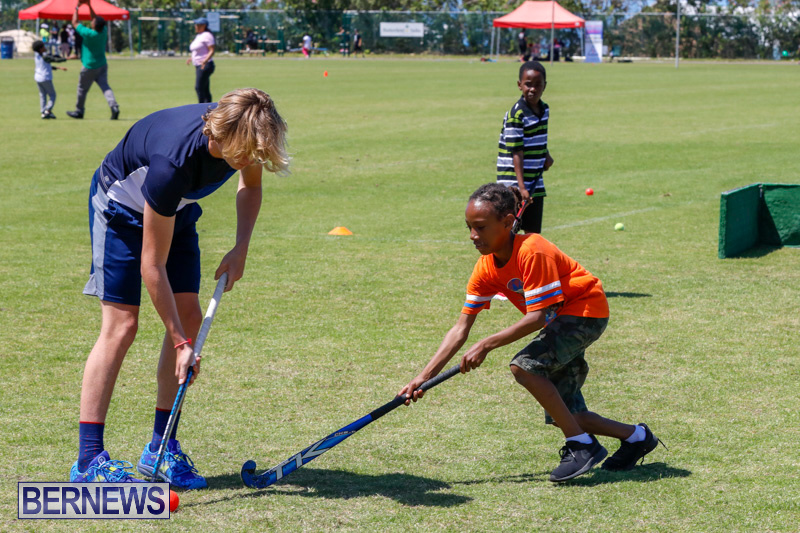 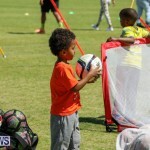 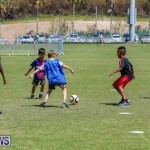 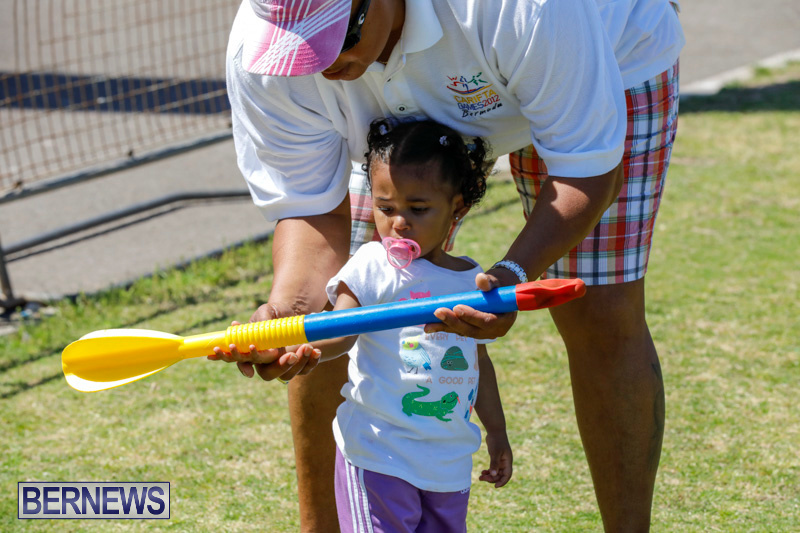 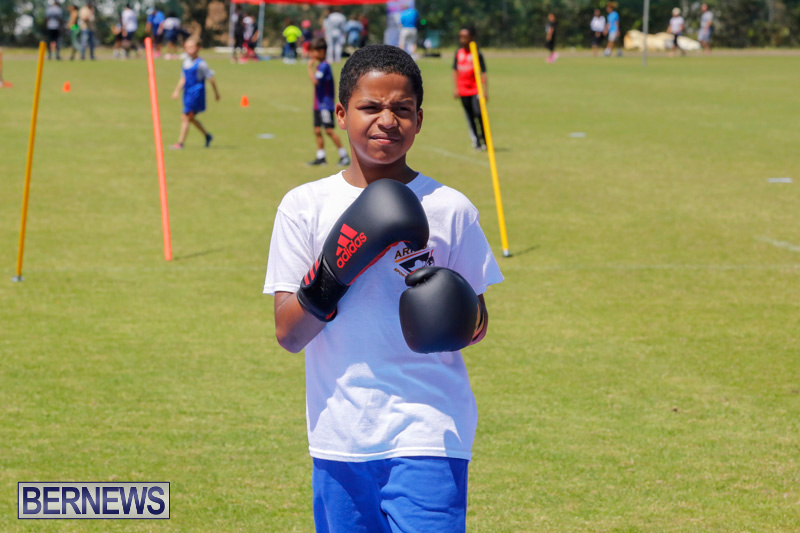 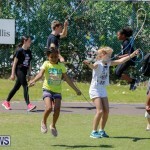 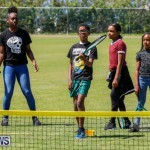 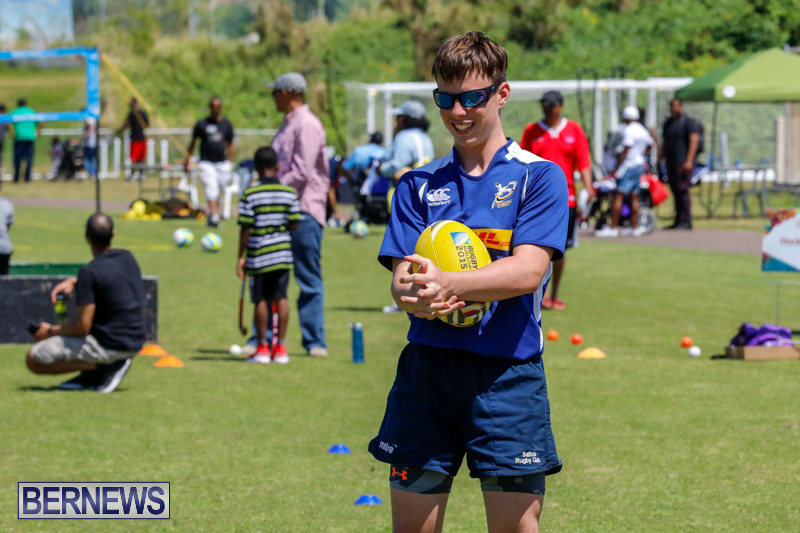 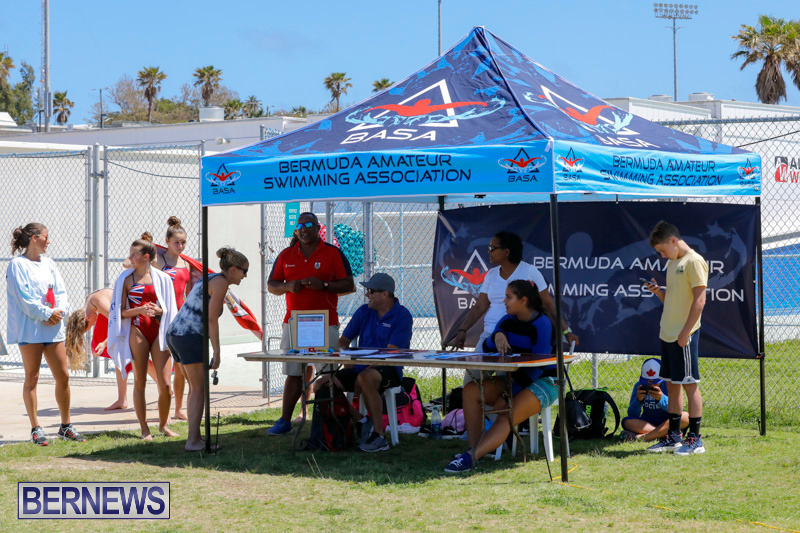 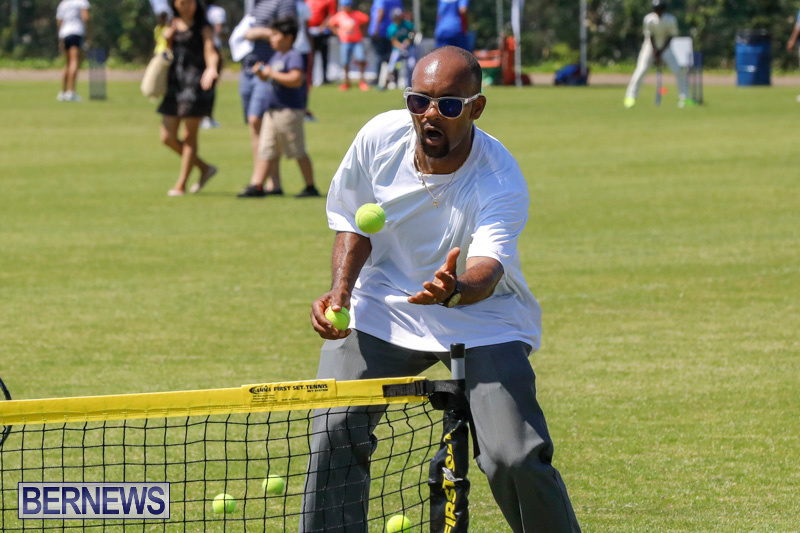 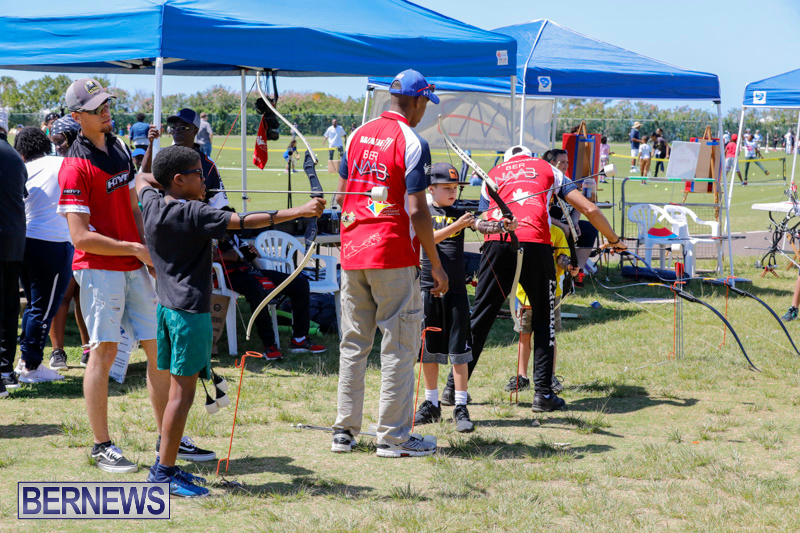 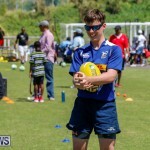 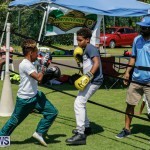 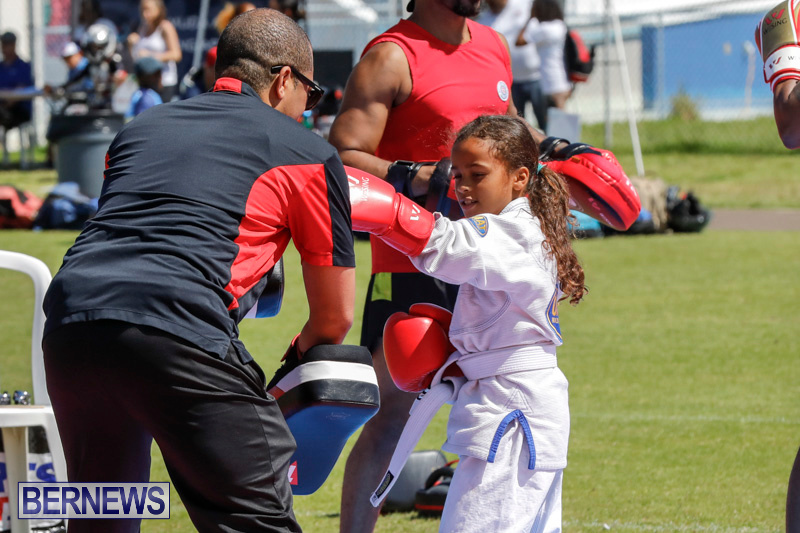 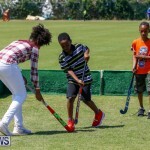 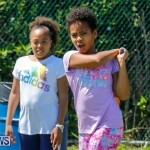 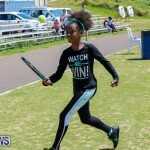 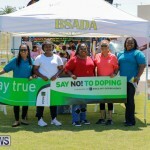 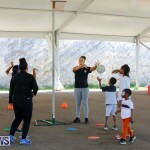 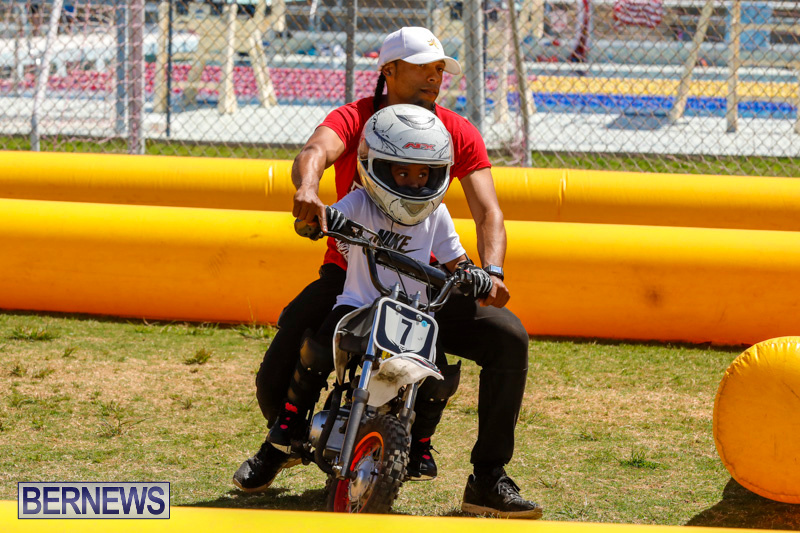 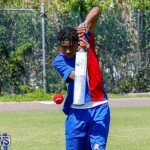 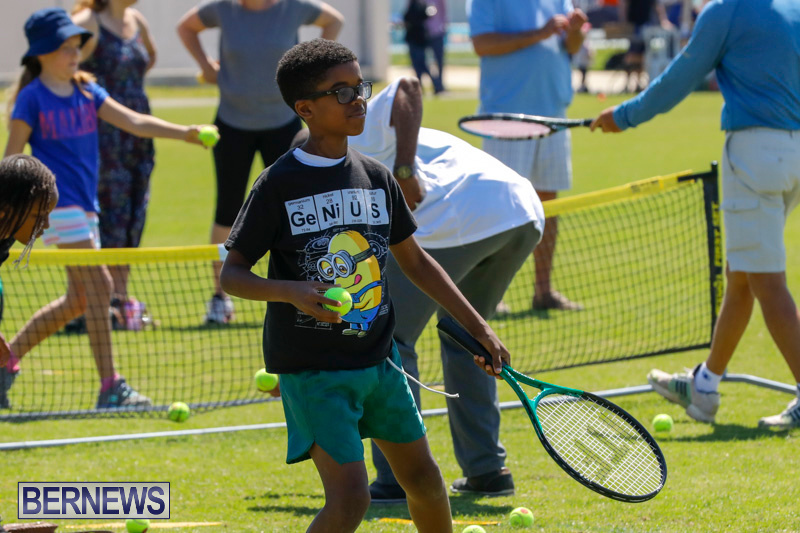 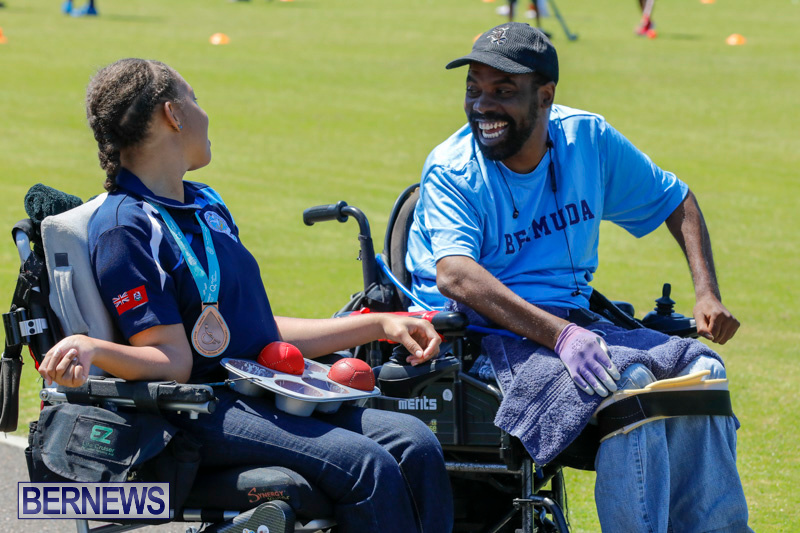 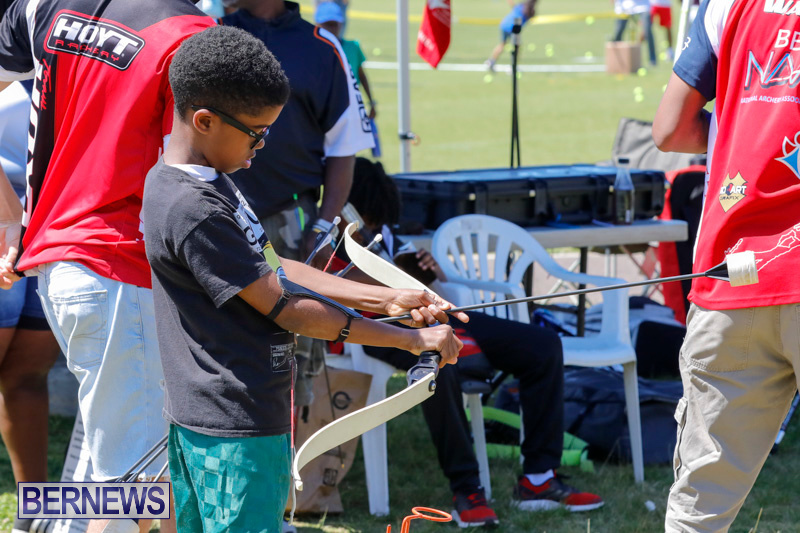 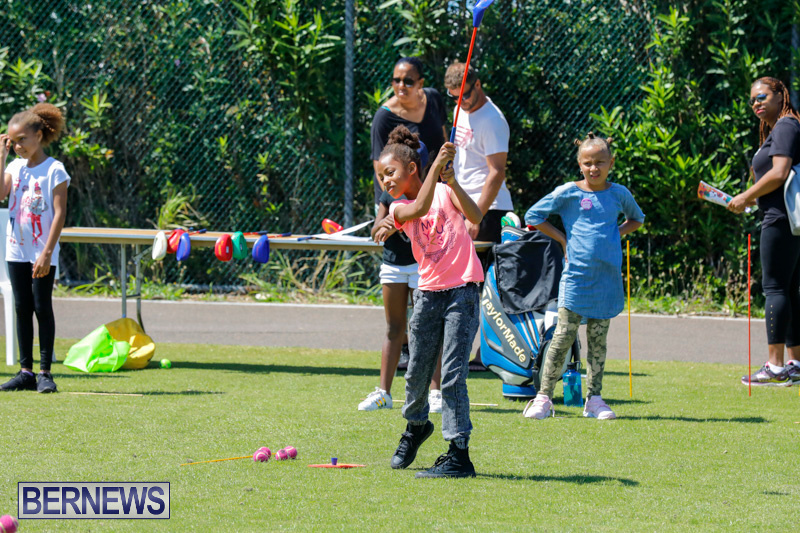 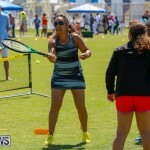 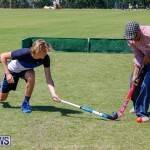 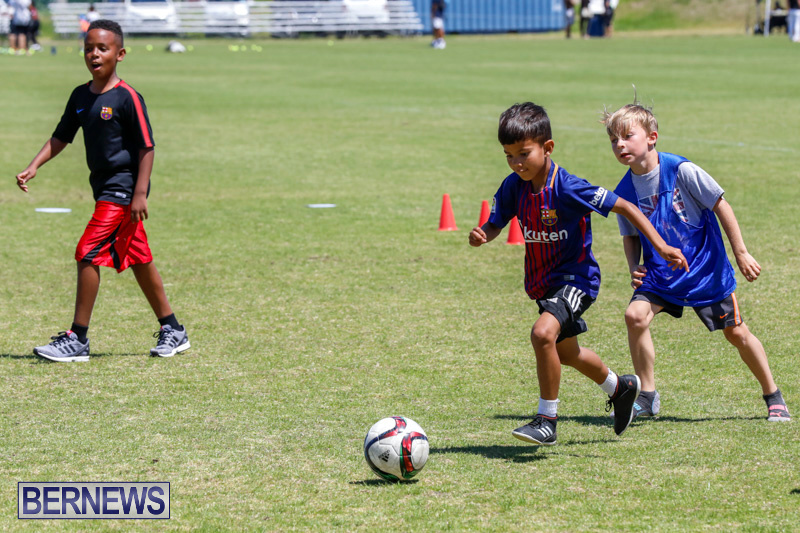 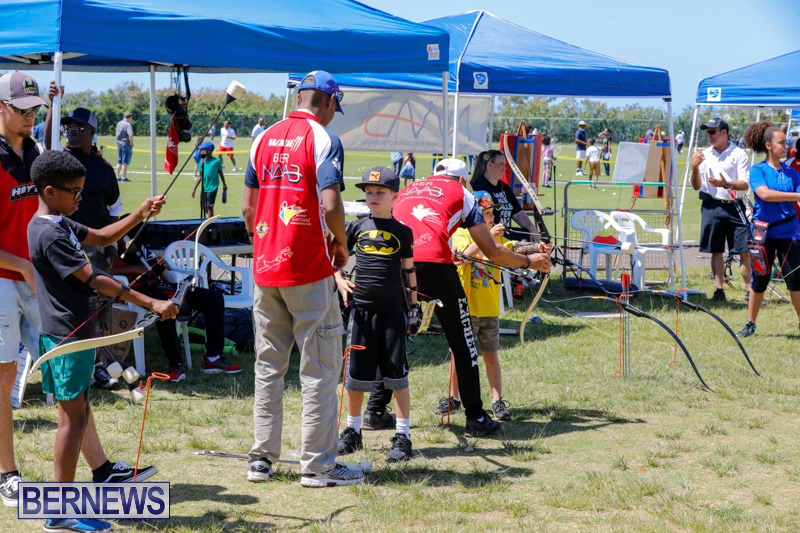 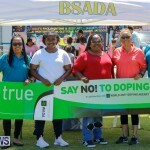 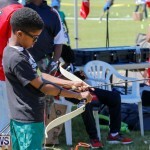 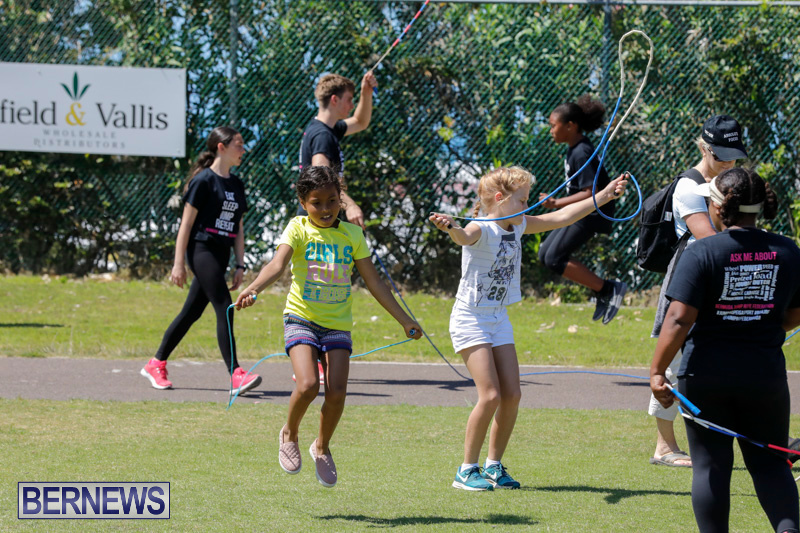 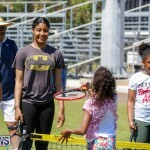 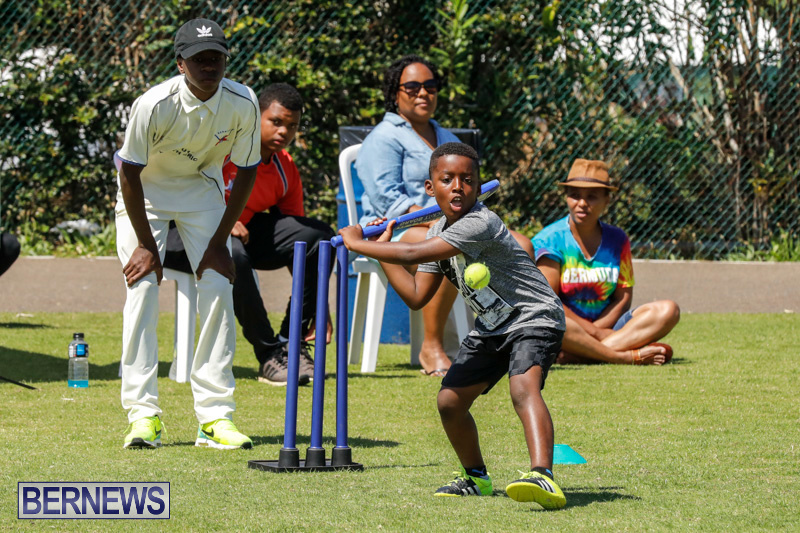 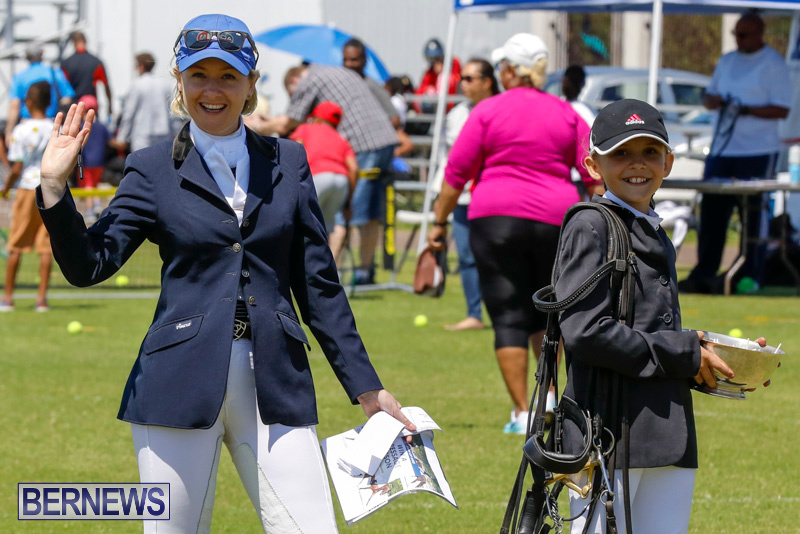 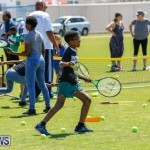 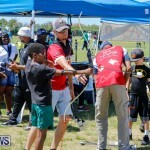 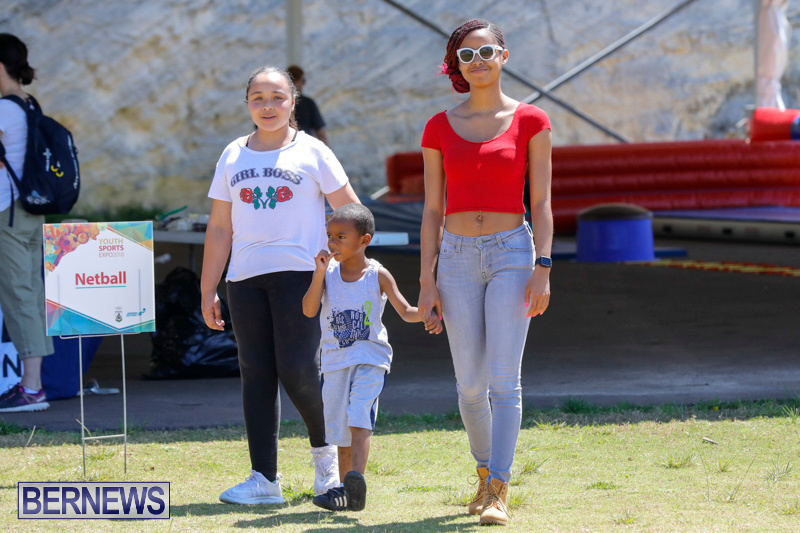 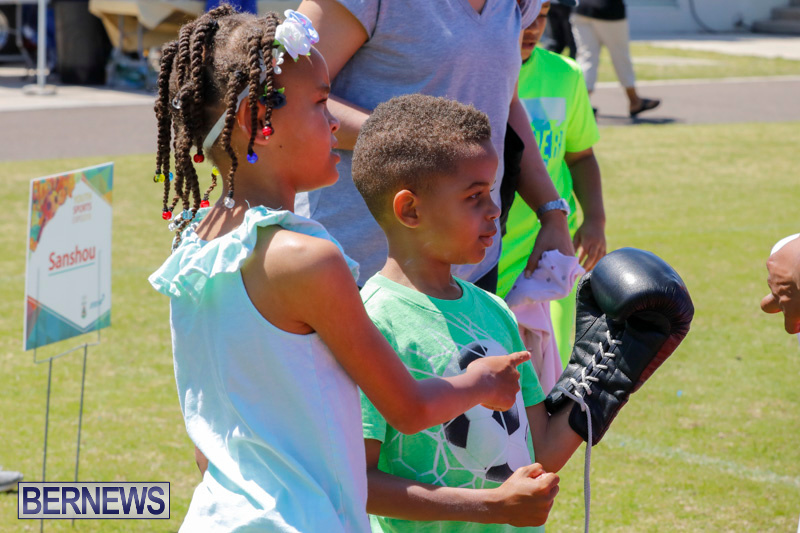 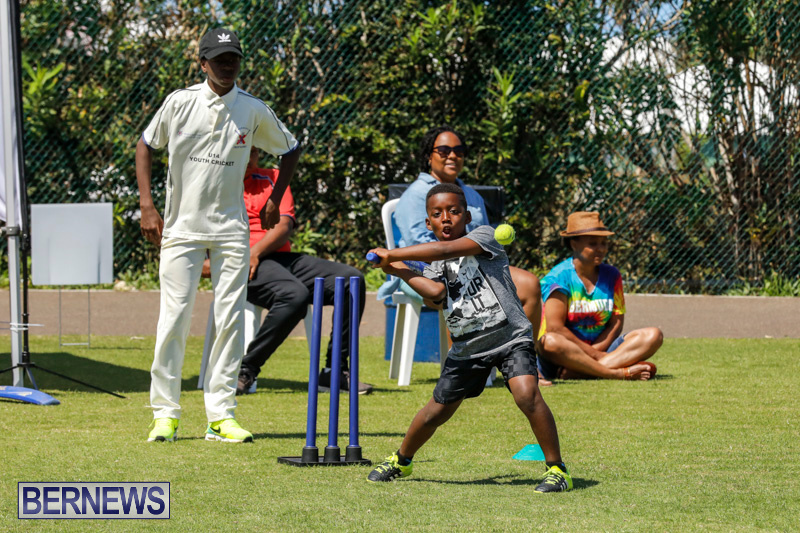 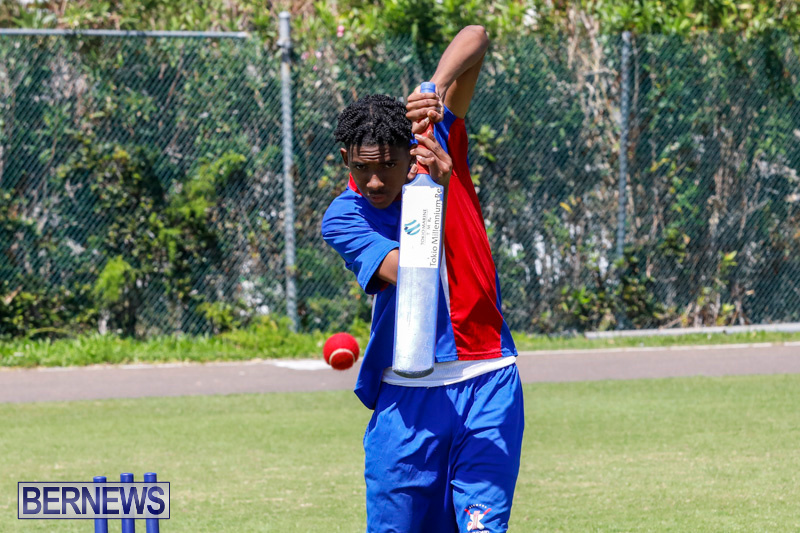 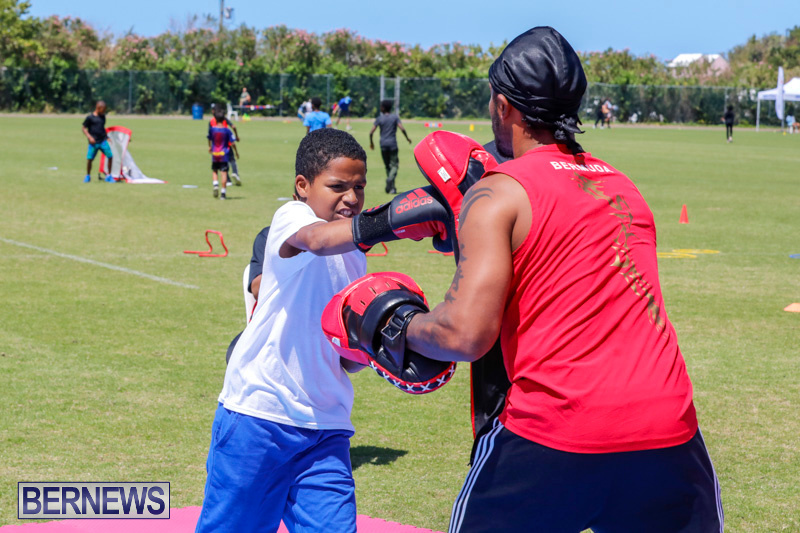 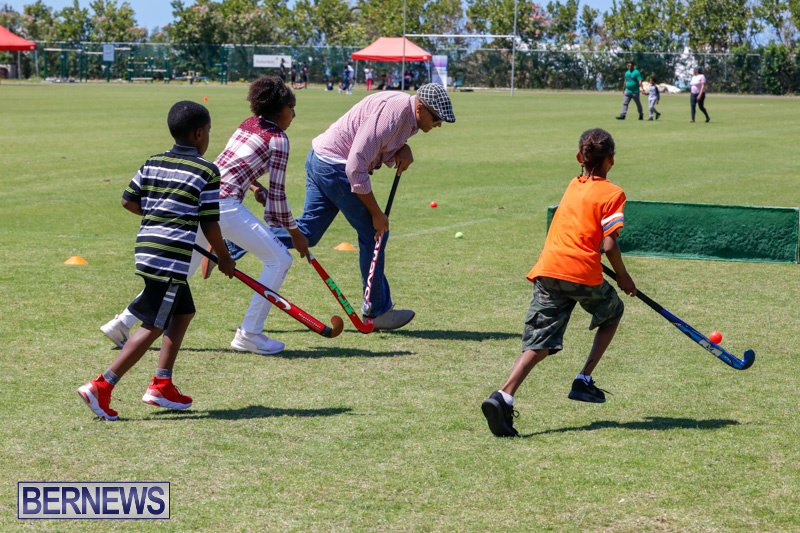 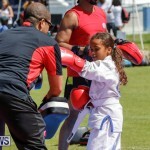 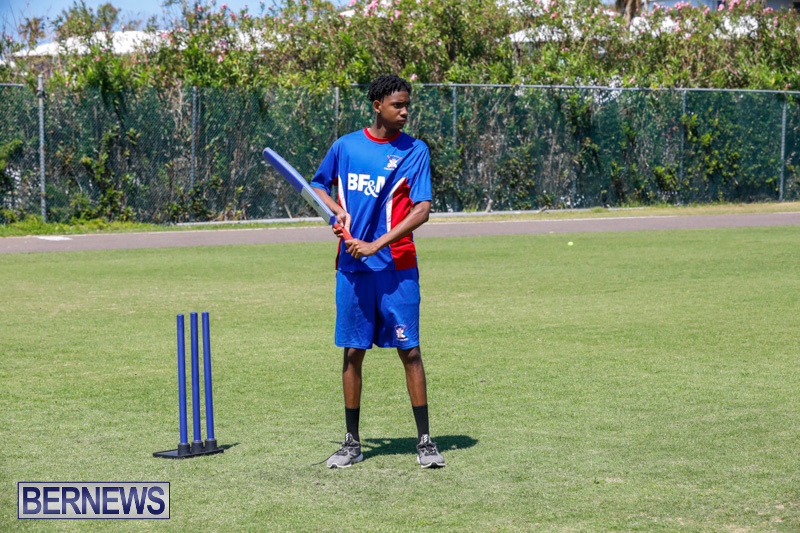 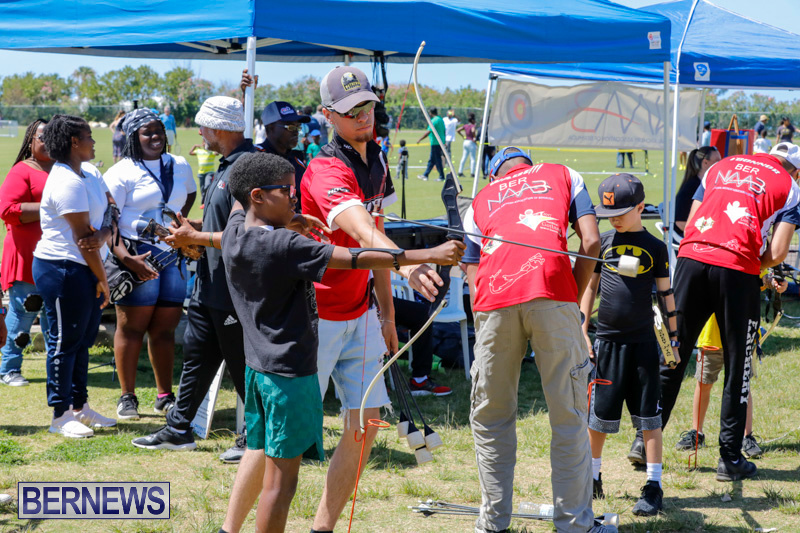 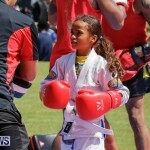 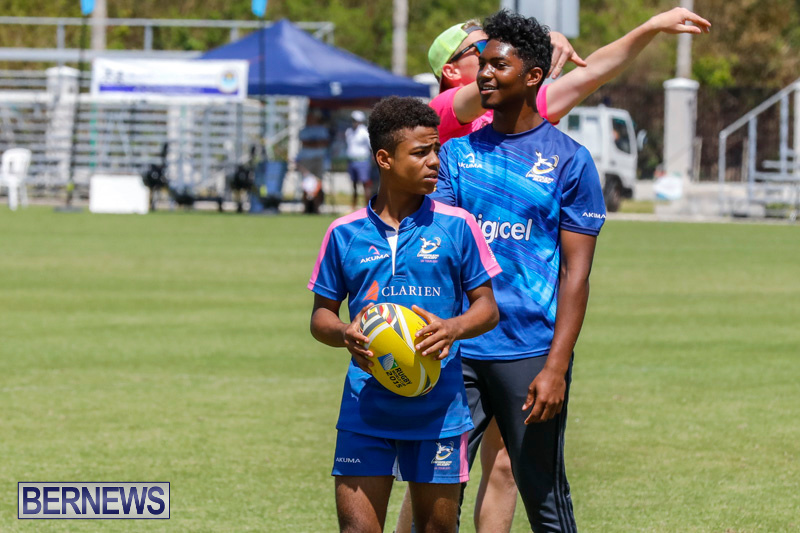 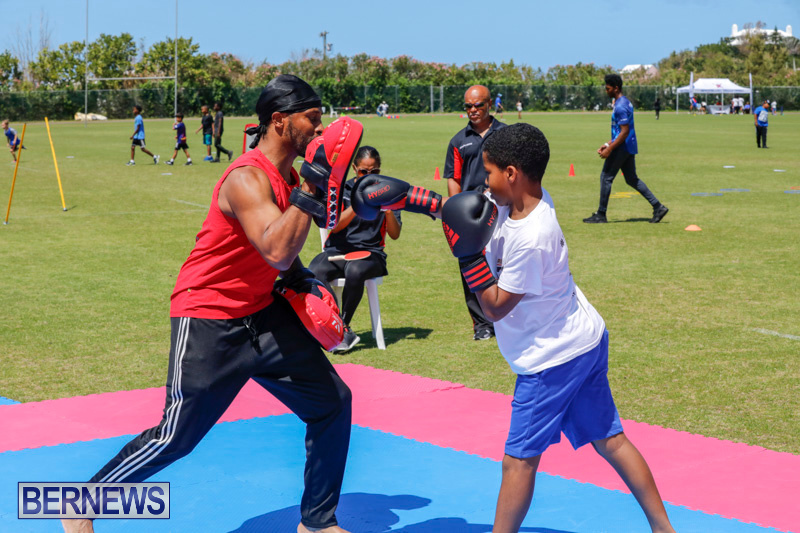 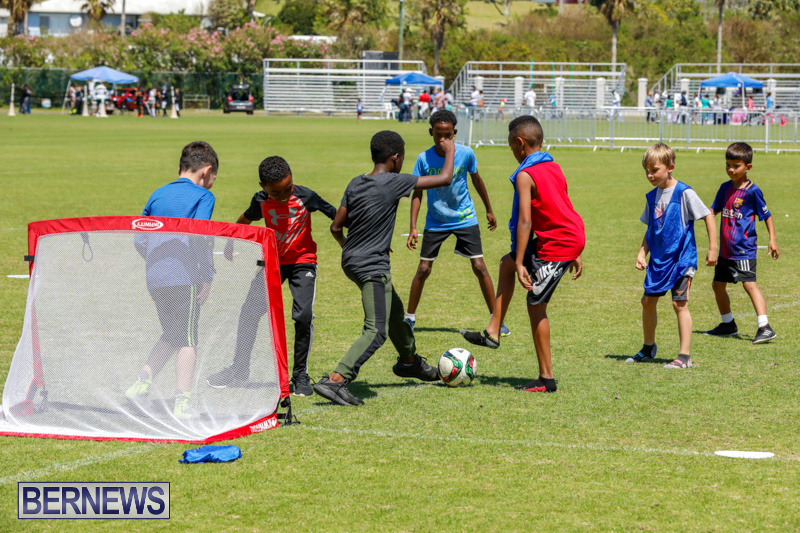 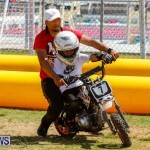 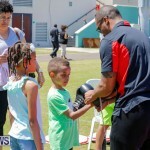 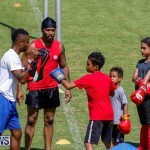 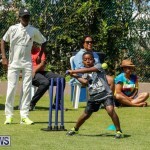 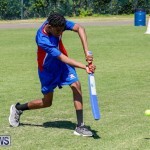 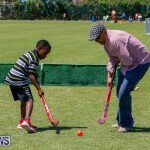 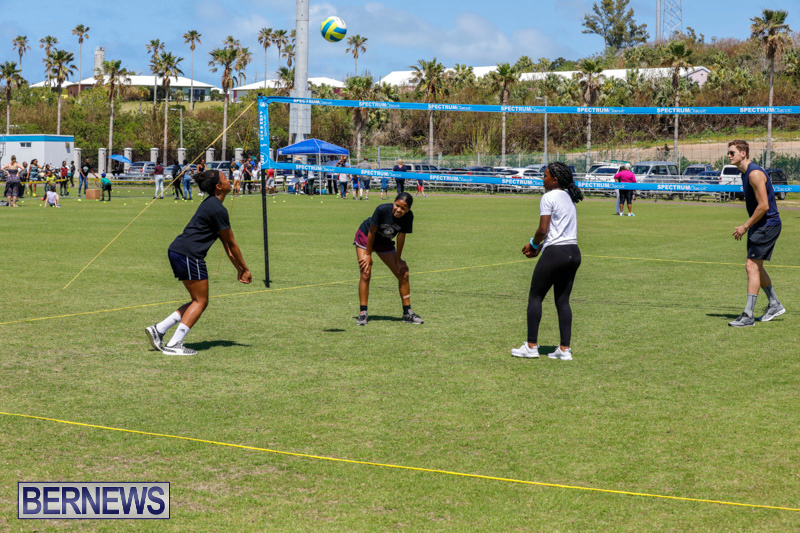 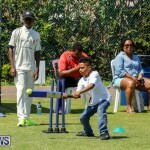 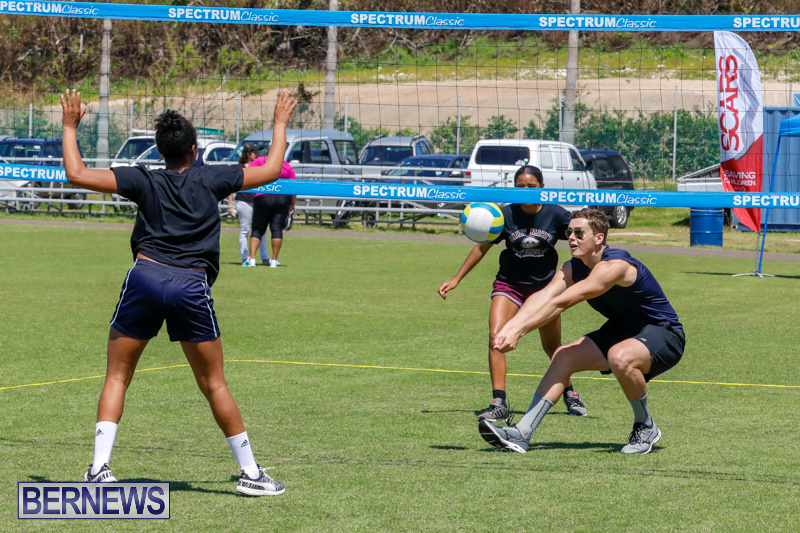 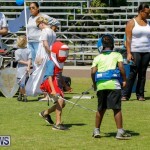 [Updated with photos] The National Sports Centre and the Bermuda Olympic Association hosted the Youth Sports Expo today [April 15], with the event aimed at children aged from five to 16. 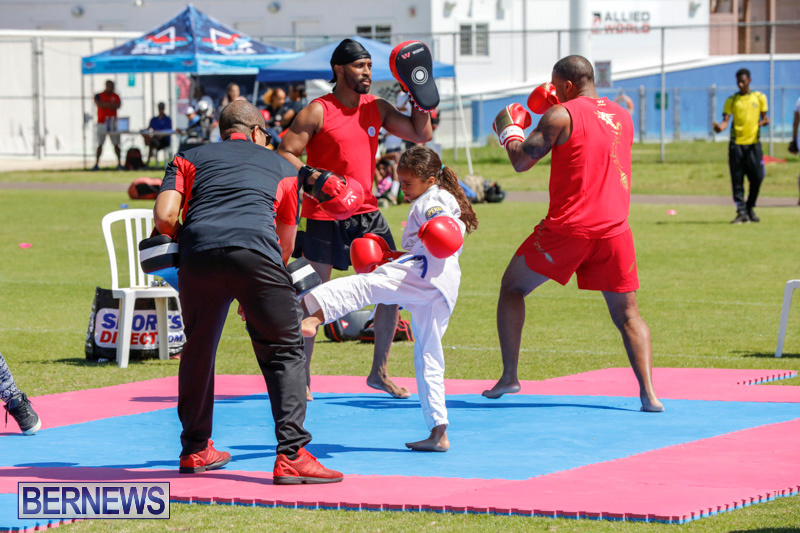 The sports being represented by their national bodies were scheduled to include Equestrian, Archery, Volleyball, Sailing, Netball, Athletics, Tennis, Fencing, Gymnastics, Cricket, Diving, Water Polo, Motor Sports, Swimming, Sanshou, Rugby, Boxing, Golf, Basketball, Rugby, Rowing and Football. 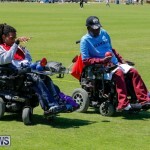 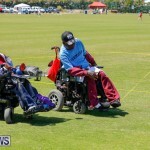 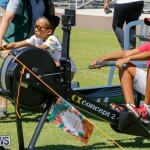 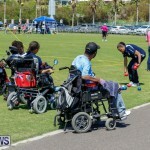 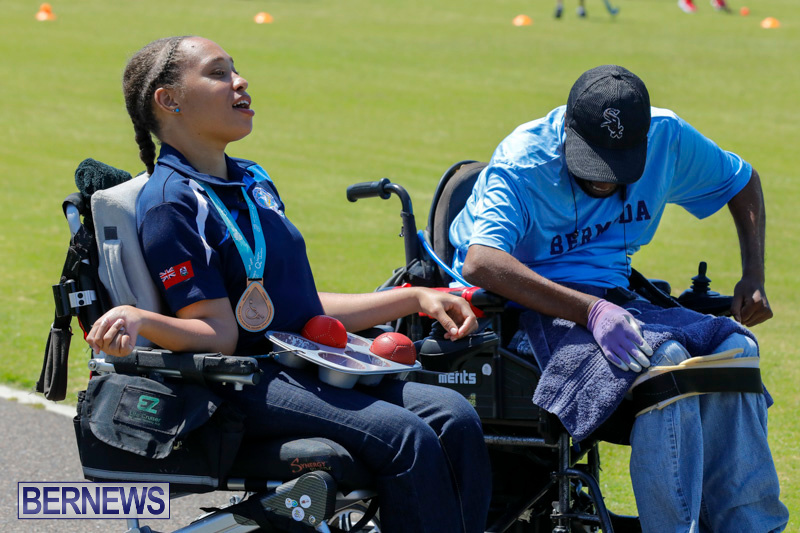 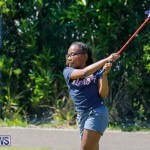 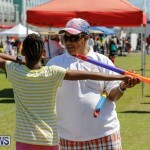 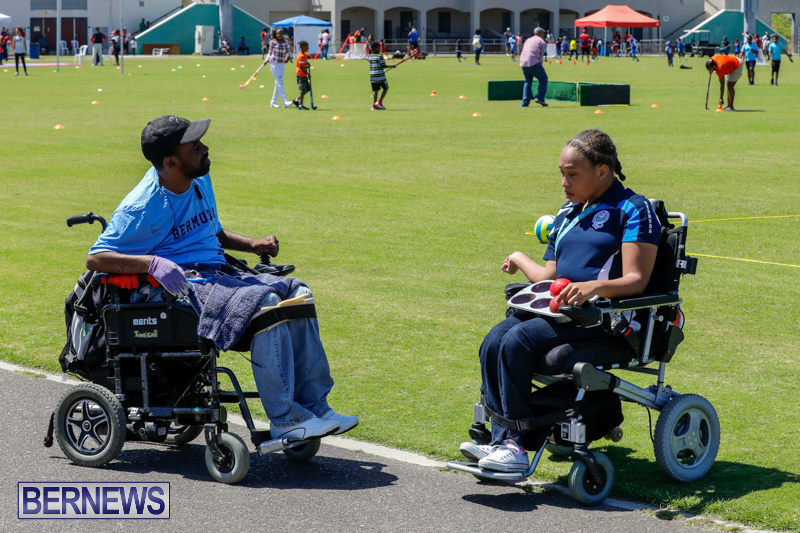 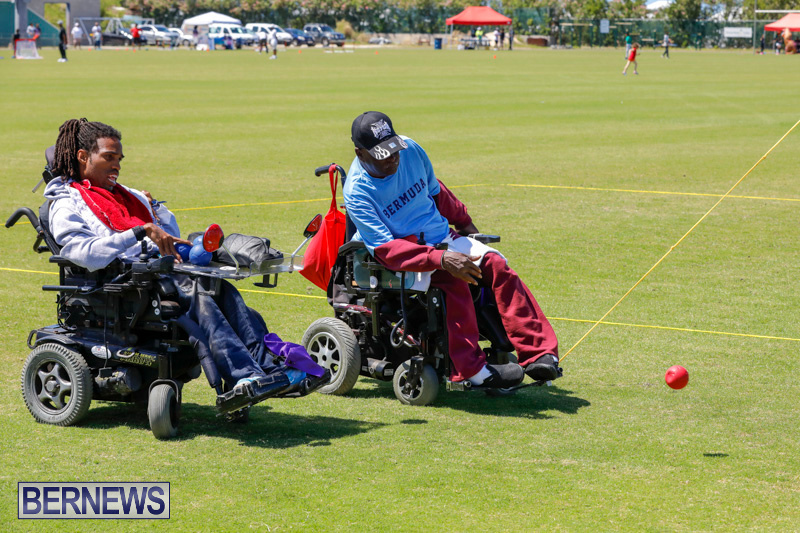 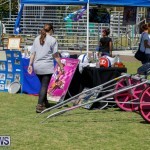 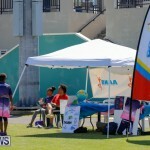 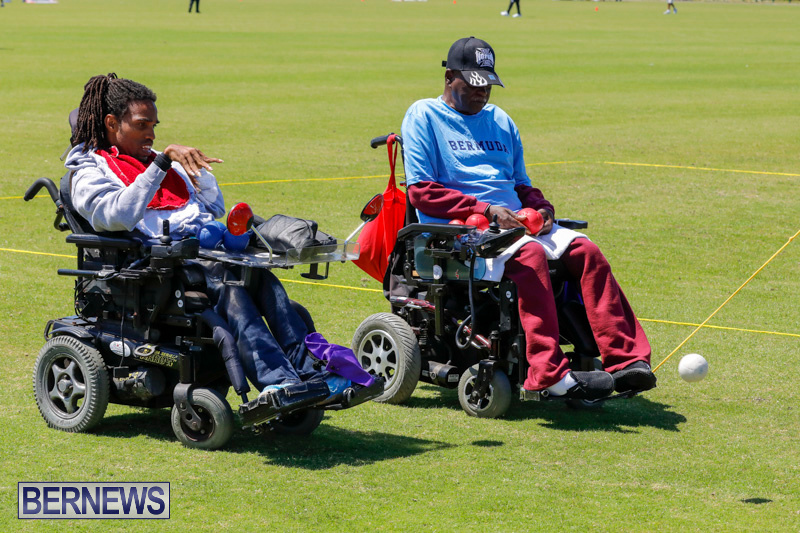 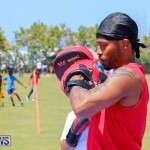 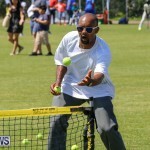 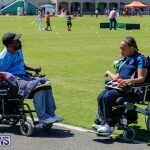 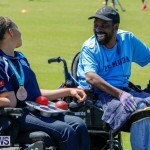 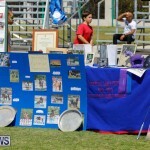 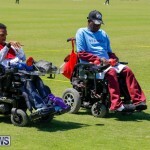 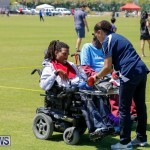 There was also representation from the Bermuda Physically Challenged Association, Jump Rope and the Ambidexterity Games.